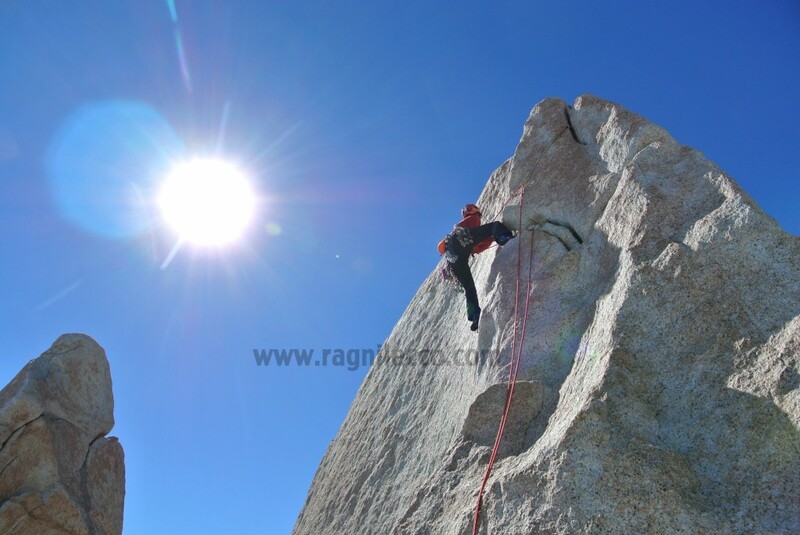 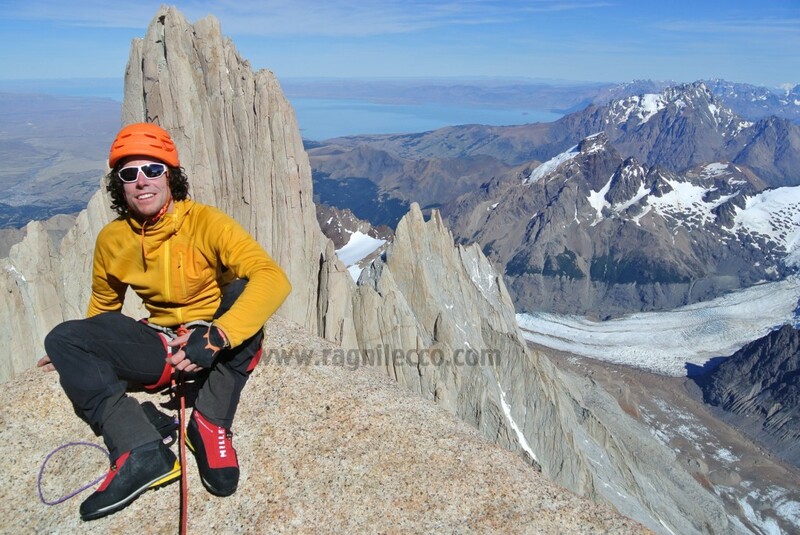 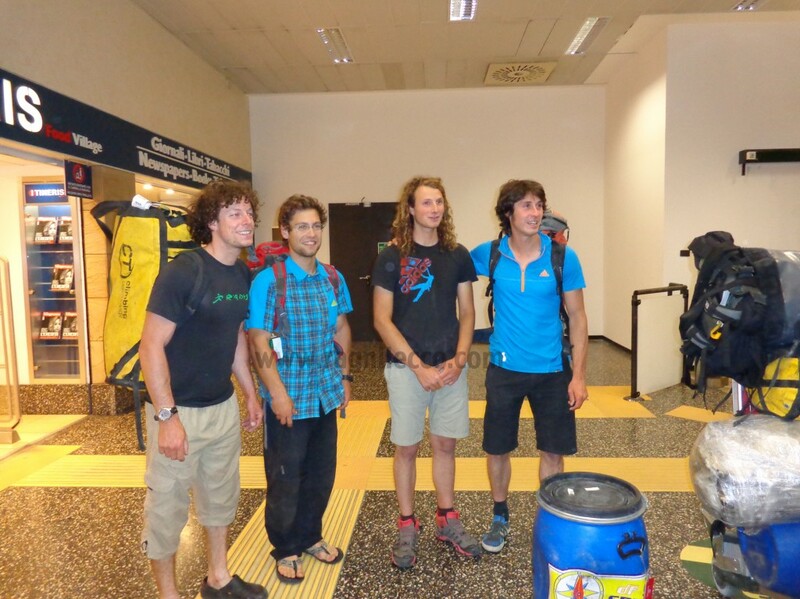 The group “Ragni della Grignetta” is one of the most prestigious climbing team in the international scene and has a history of more then 70 years, made up of top level mountain ascents all over the world. 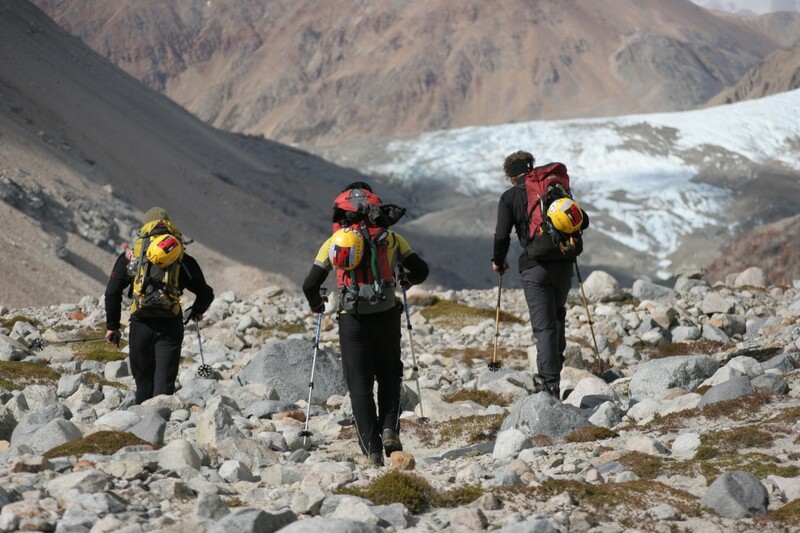 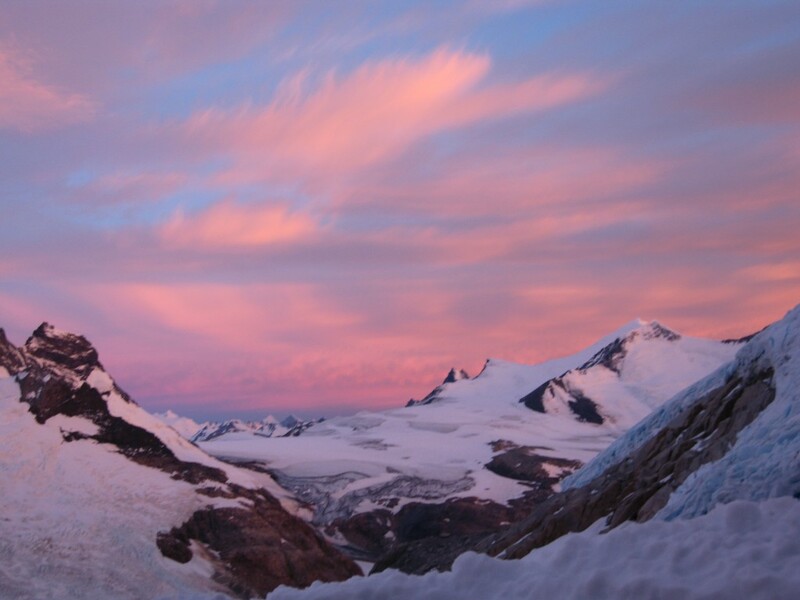 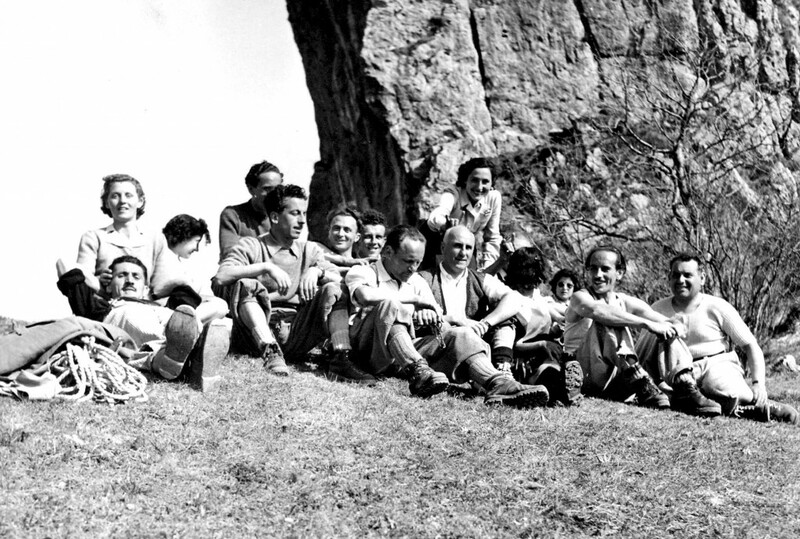 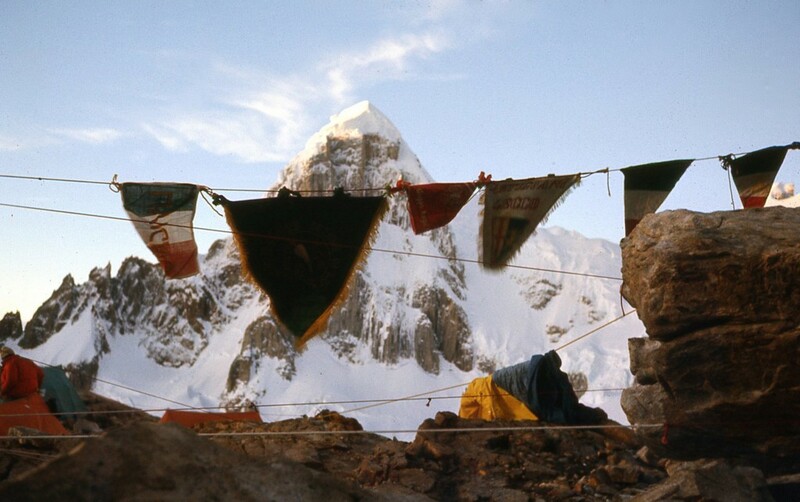 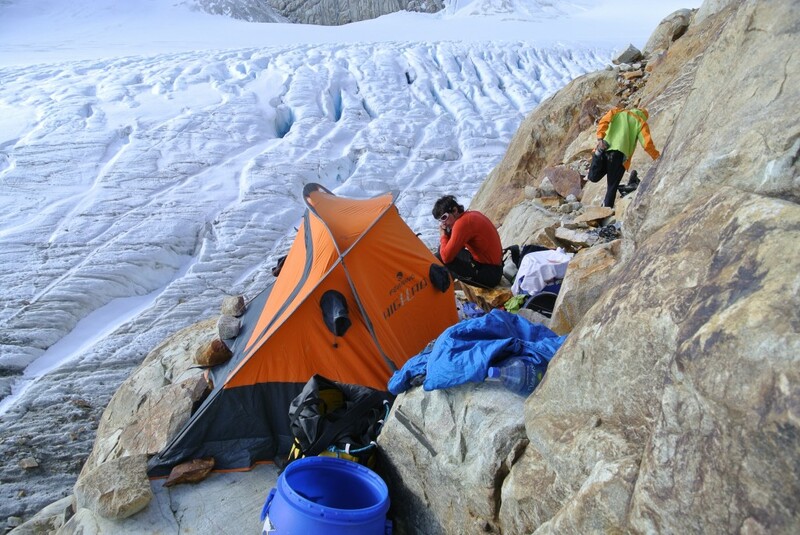 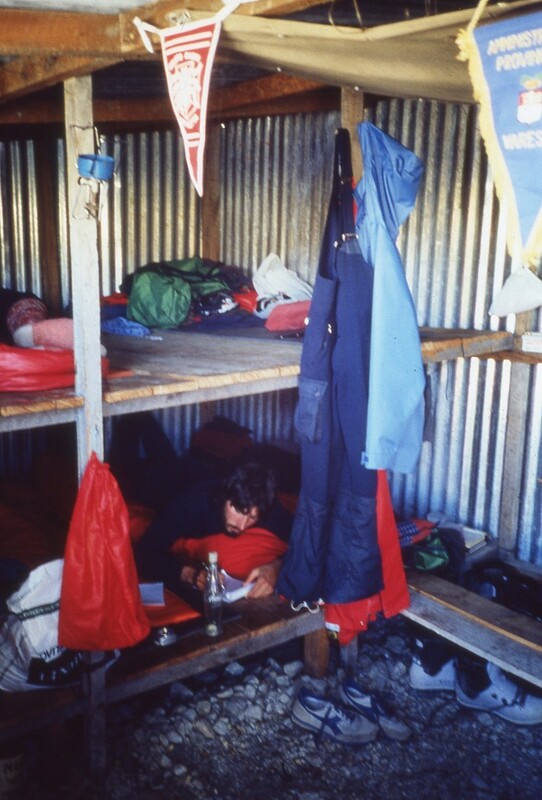 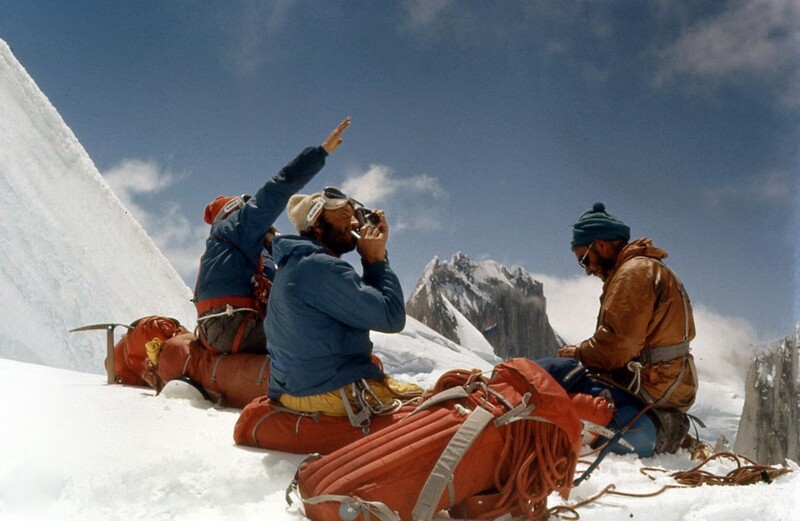 Even though there have been changes through society and the mountaineering world since the foundation of the group, its continuing dialogue (sometimes anything but peaceful…) and the connection to its history are still the distinctive imprint in their activity. 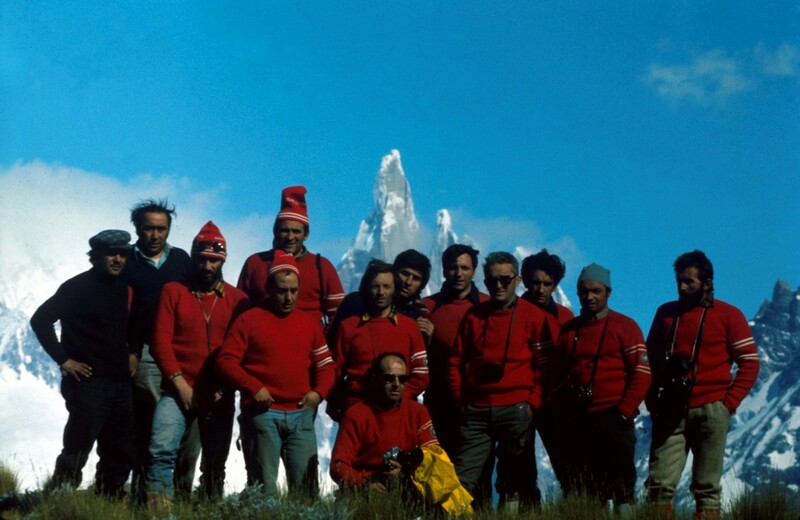 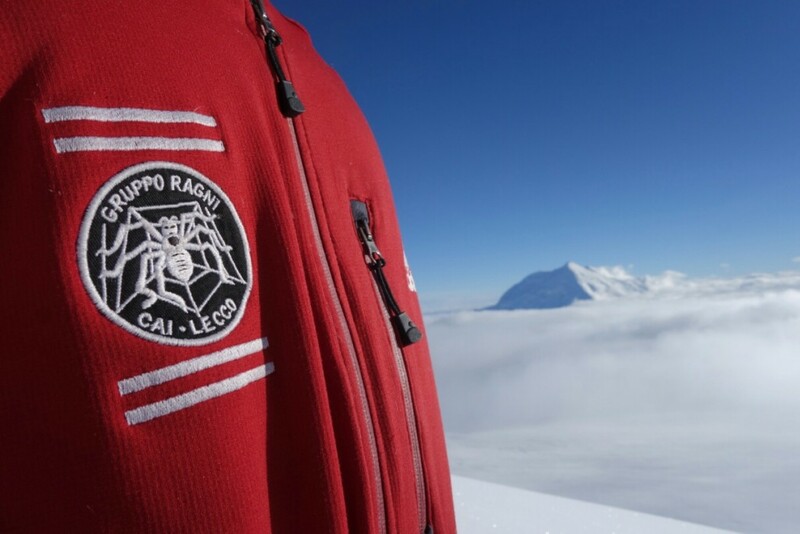 Unfortunately, many of the climbers who have made the history of our group have let us, but their legacy lives on in the activity of all those who proudly wear the red sweater with the symbol of the seven-legged spider. 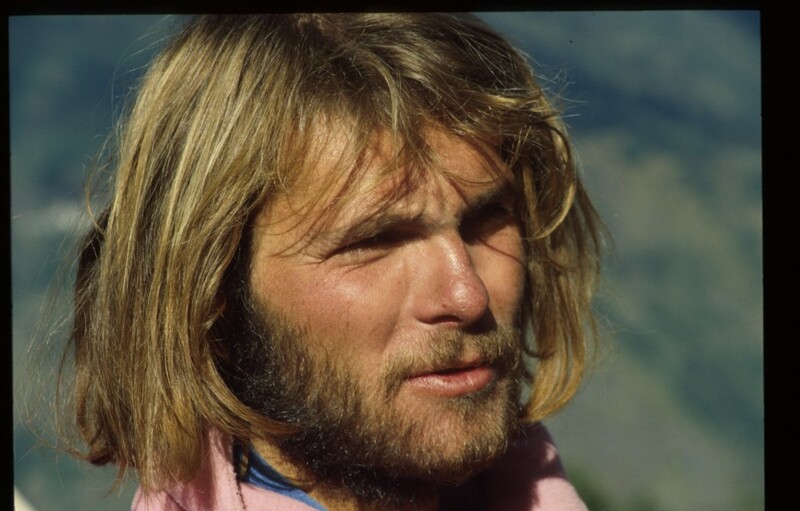 In a few years the group become famous all over the world, because the technical skill of some of the members increased rapidly also because influenced by meeting some foreign legends like Herman Buhl. 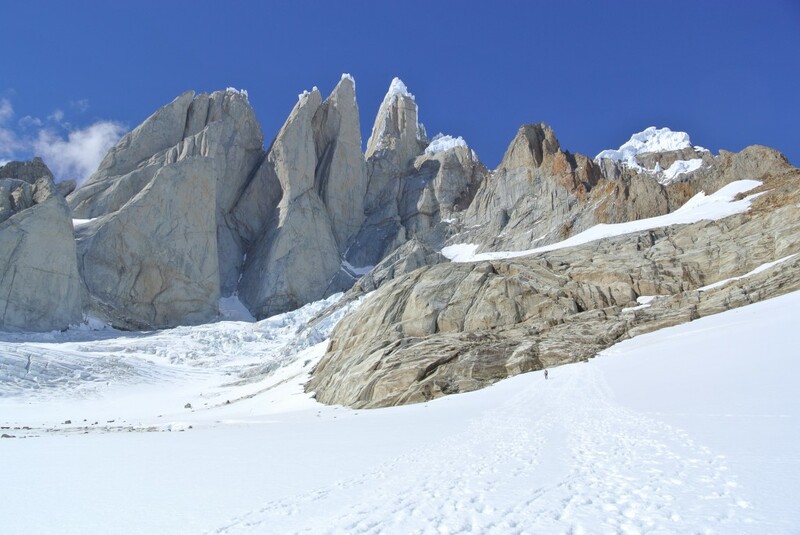 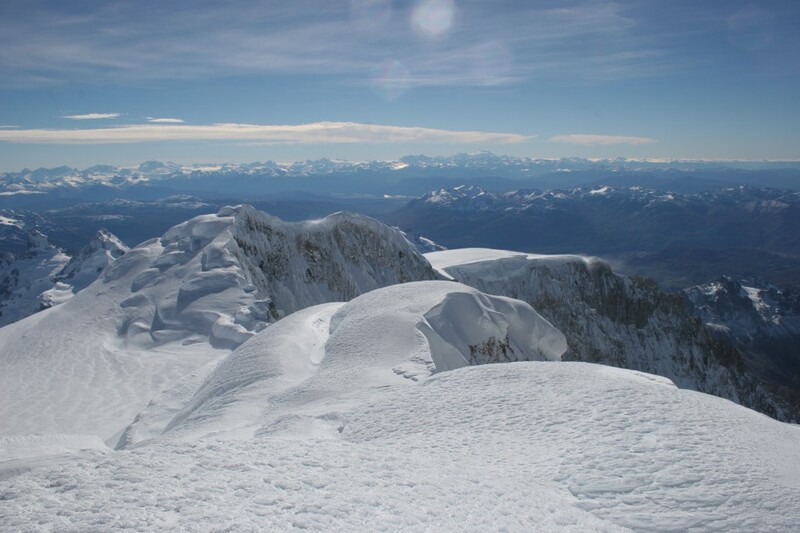 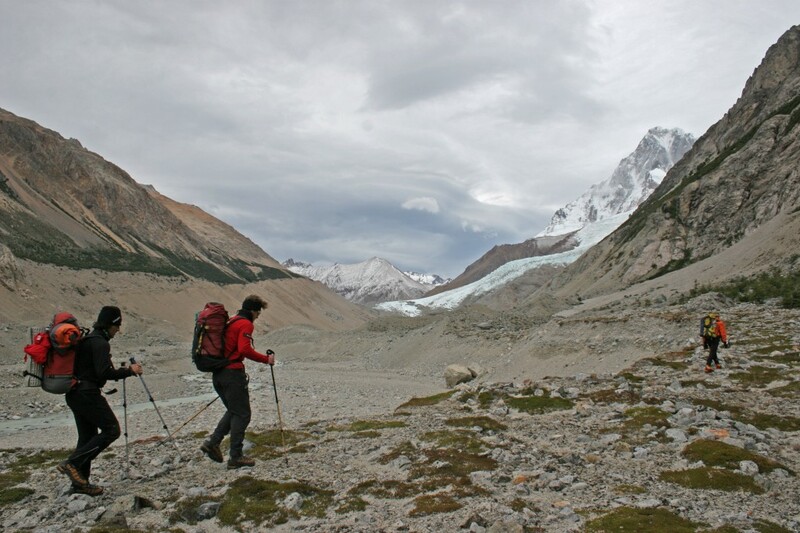 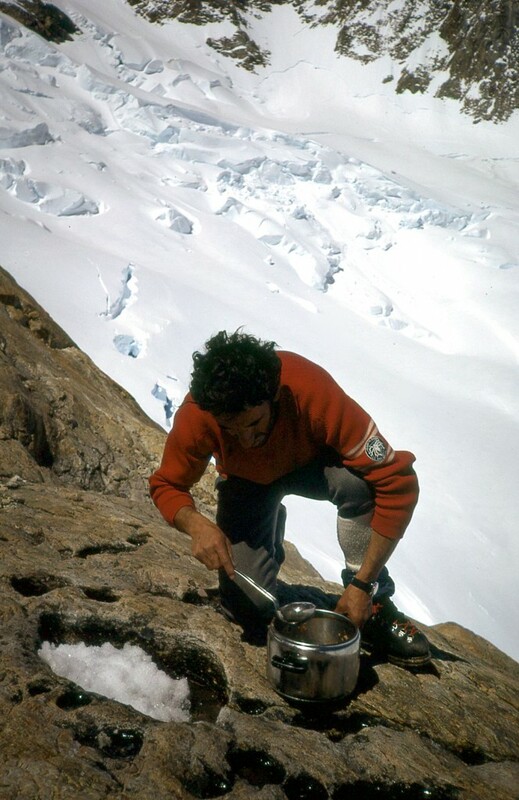 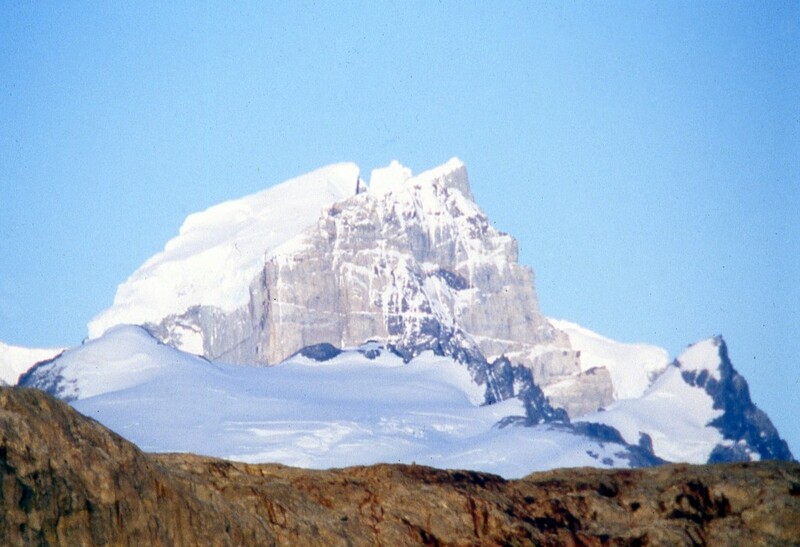 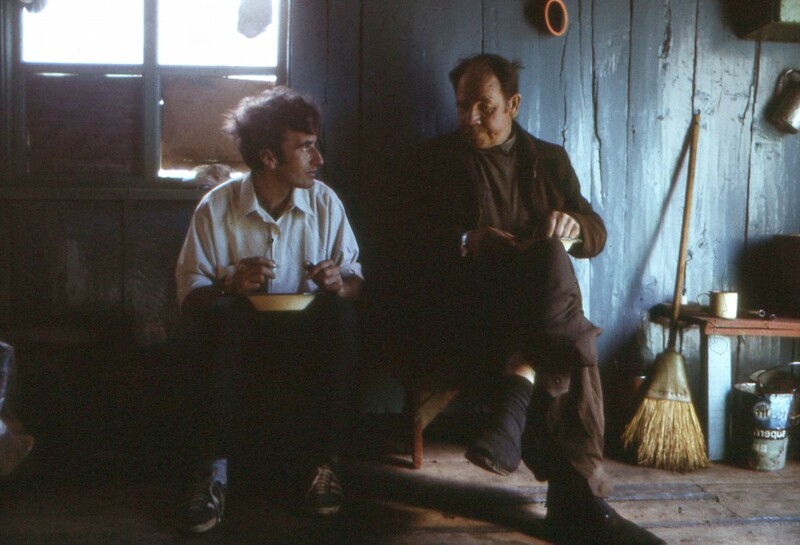 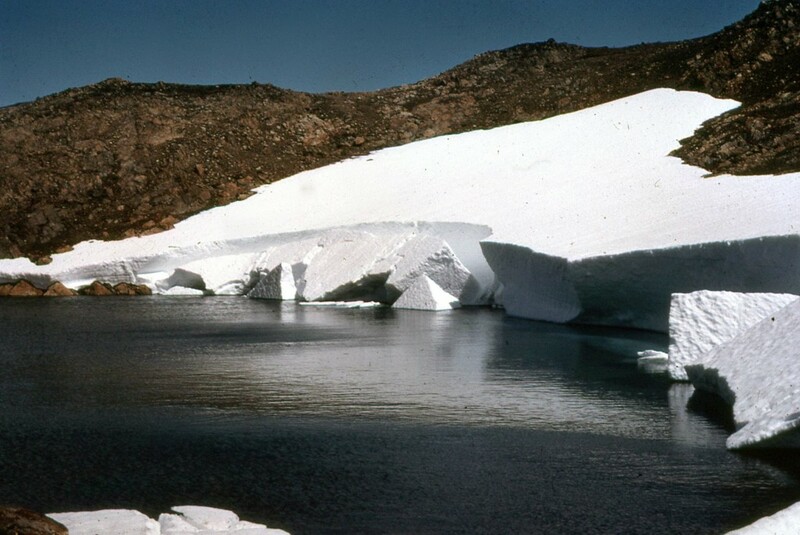 In december 1956 Carlo Mauri left Italy for Mount Sarmiento, in Tierra del Fuego, Argentina, and climbed the summit in march. 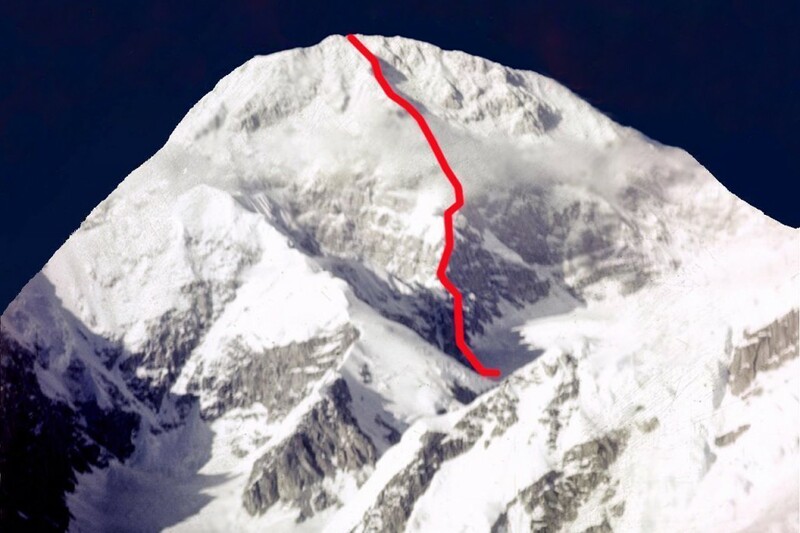 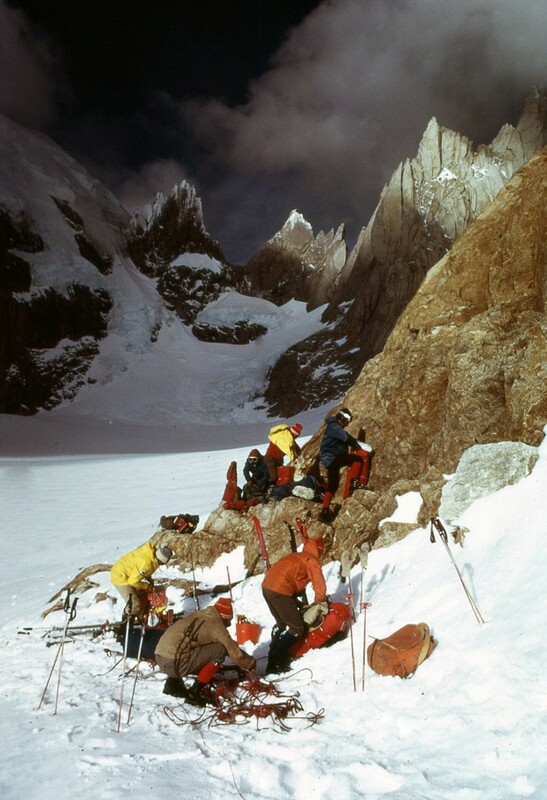 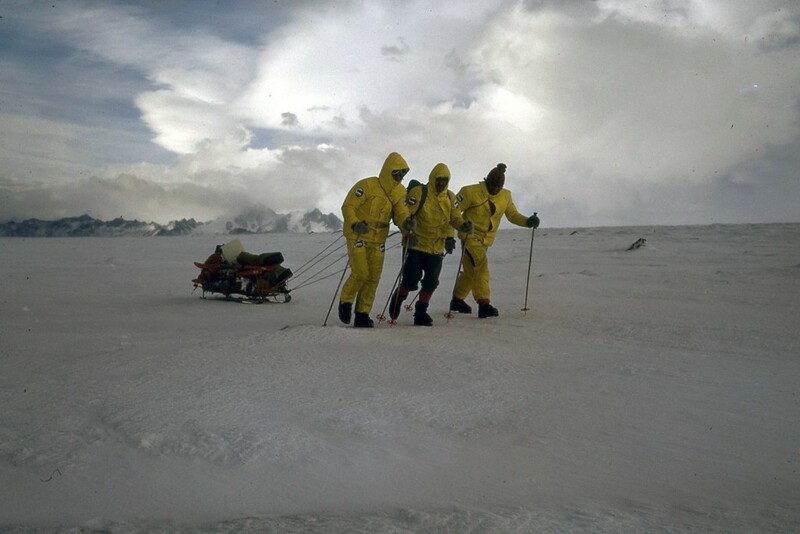 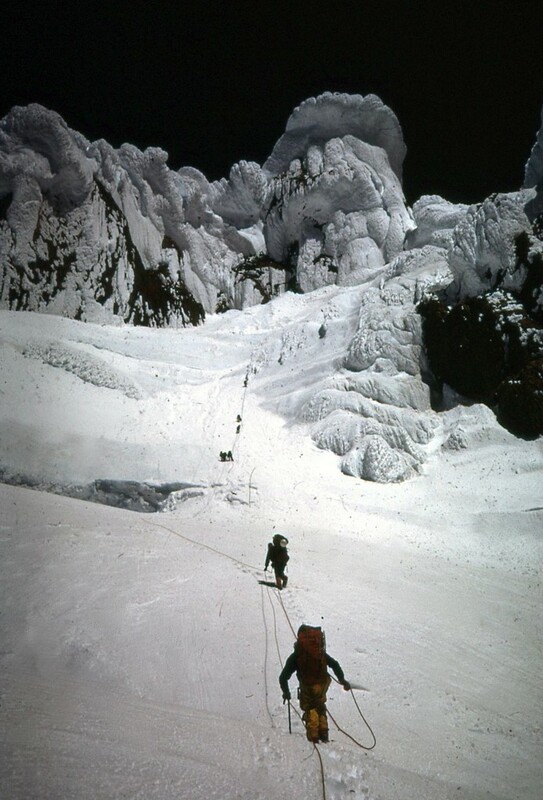 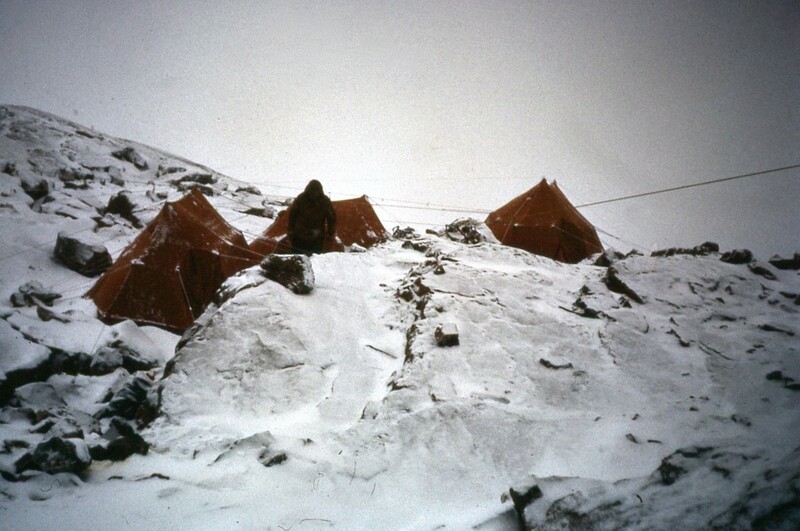 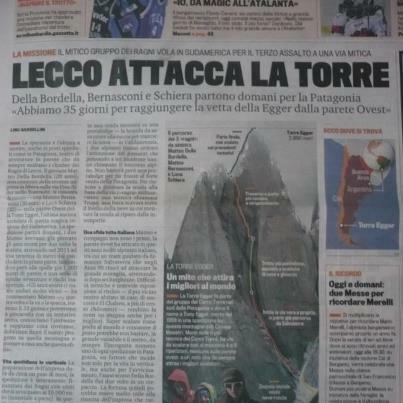 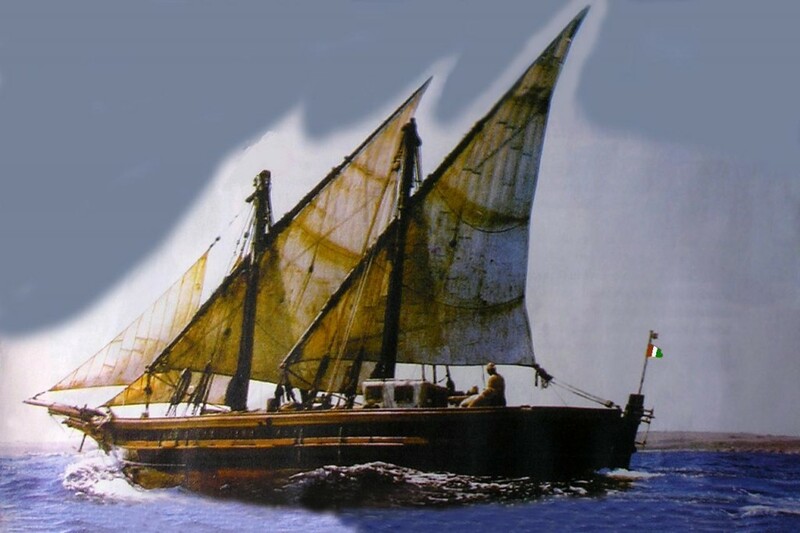 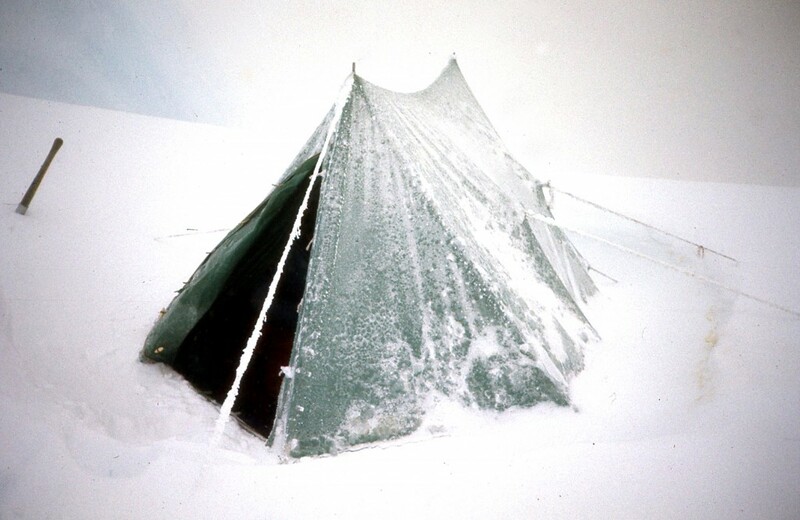 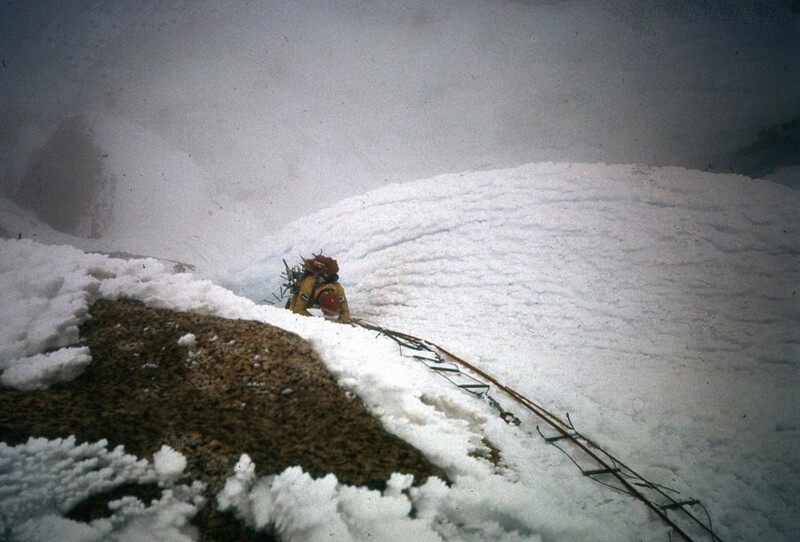 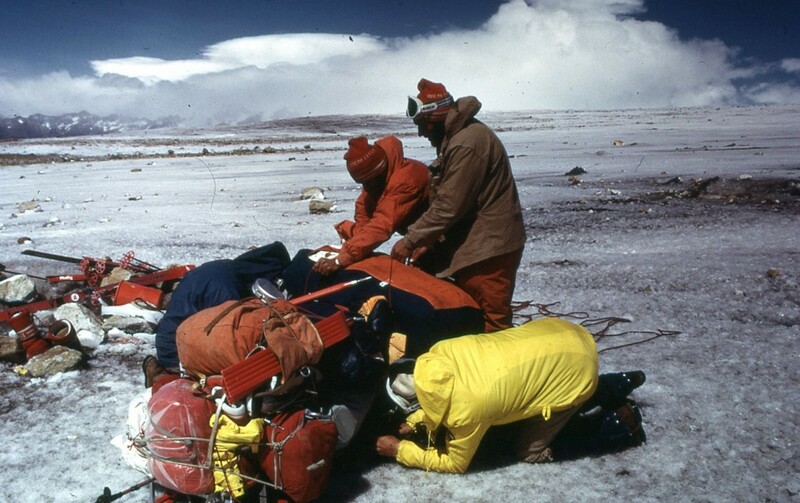 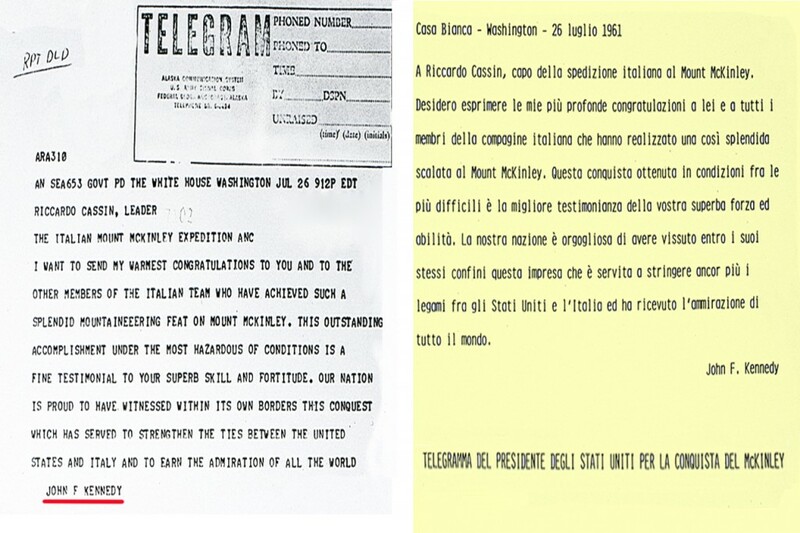 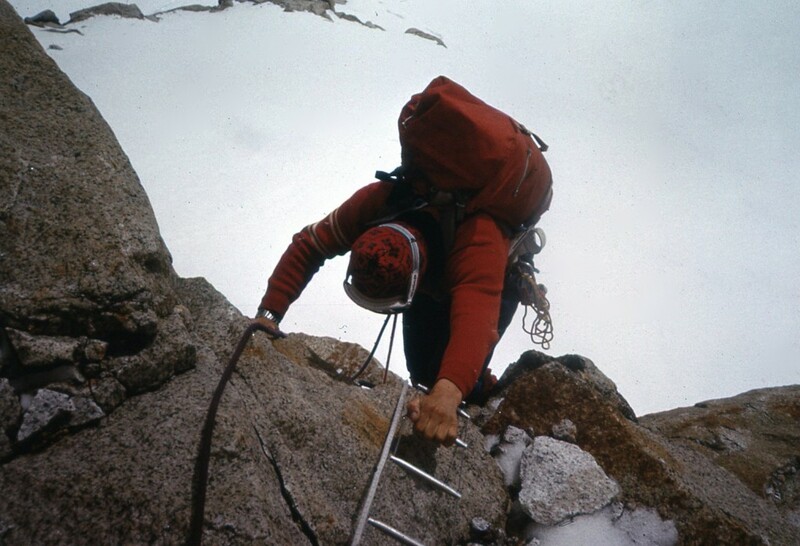 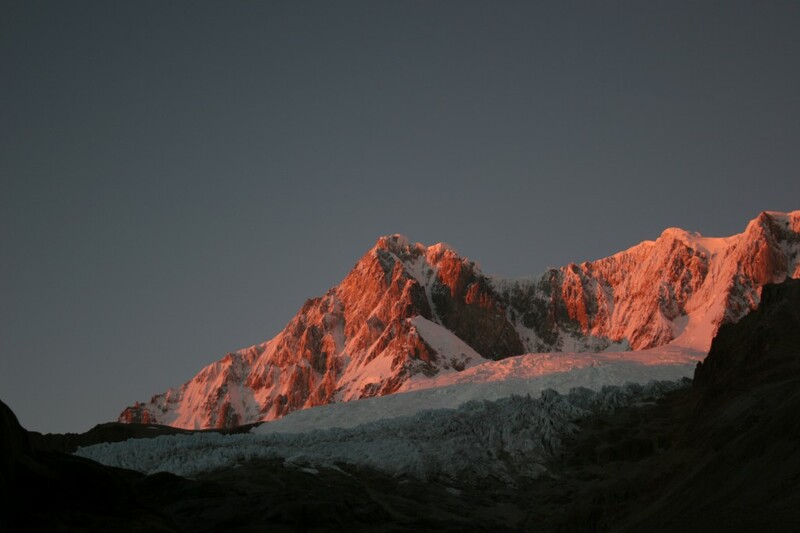 This is an historical step, soon followed by other international ascents, whose more astonished was the one of Mount Mc Kinley, in 1961, by a team including Riccardo Cassin and moreover composed by strong and young Gigi Alippi, Annibale Zucchi, Luigino Airoldi, Jack Canali and Romano Perego. 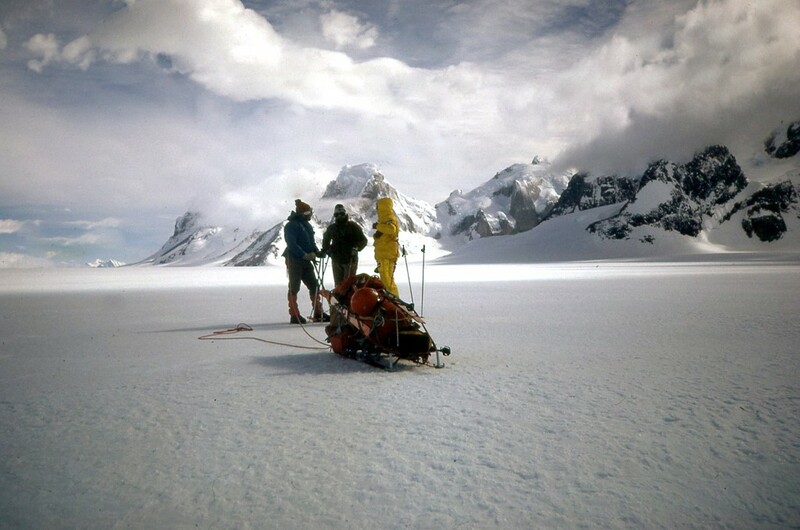 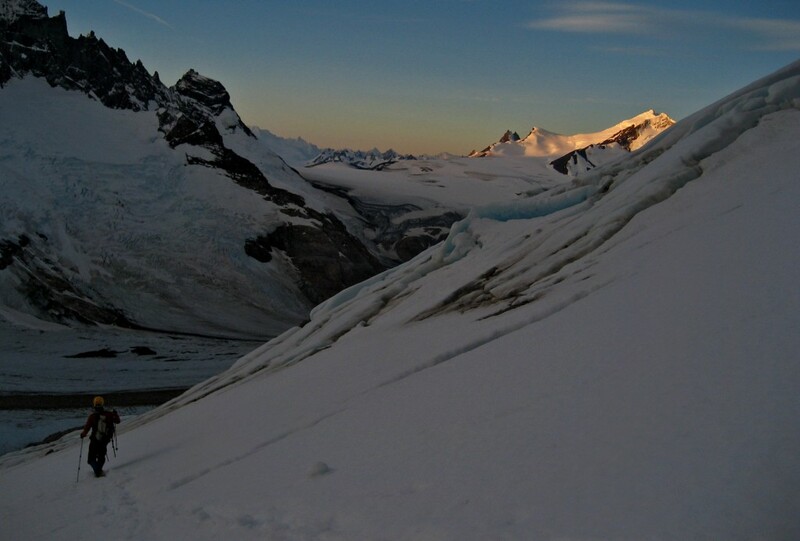 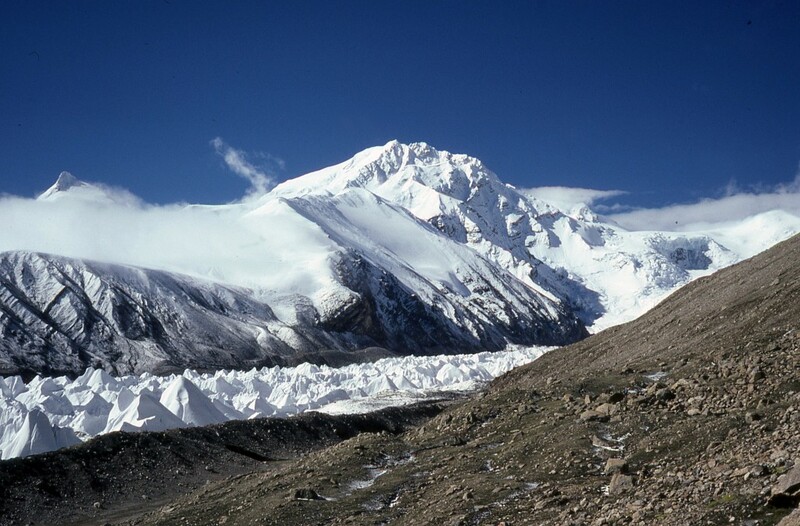 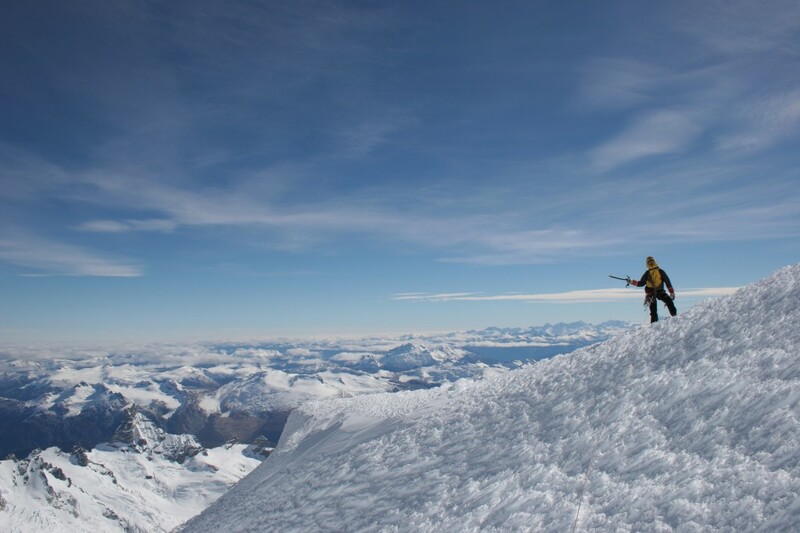 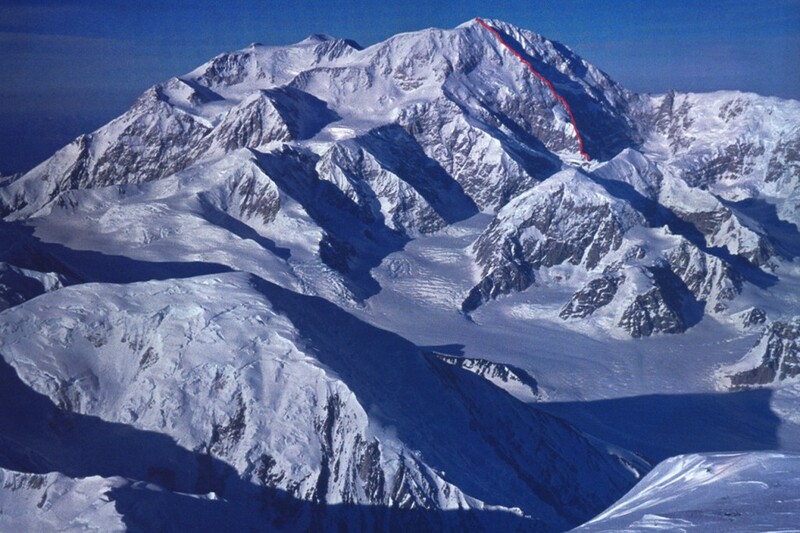 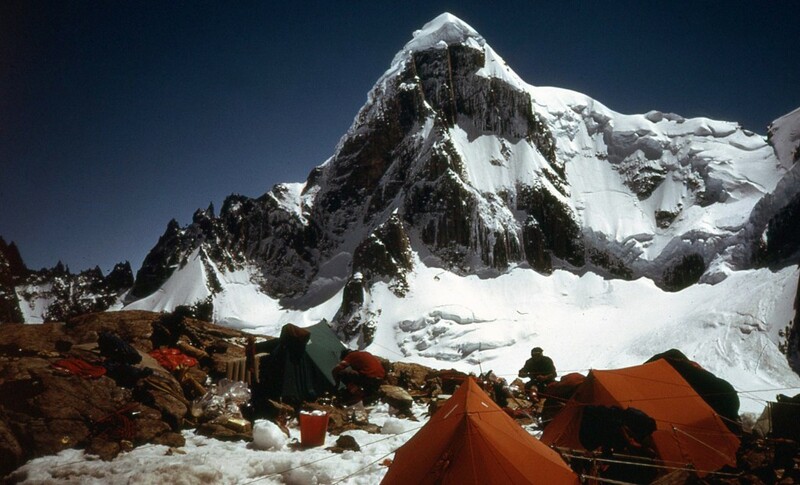 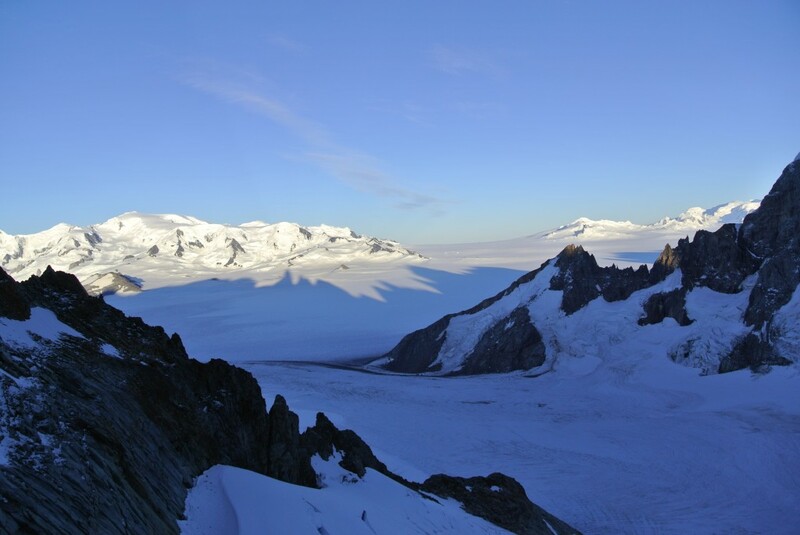 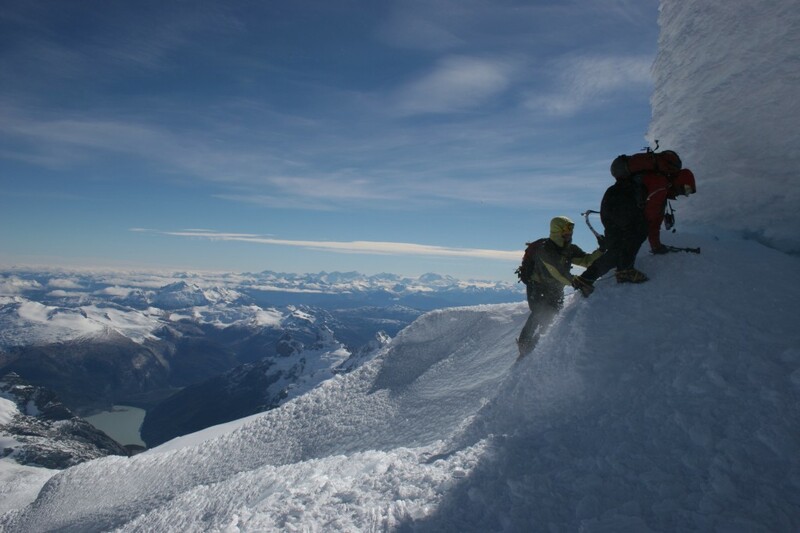 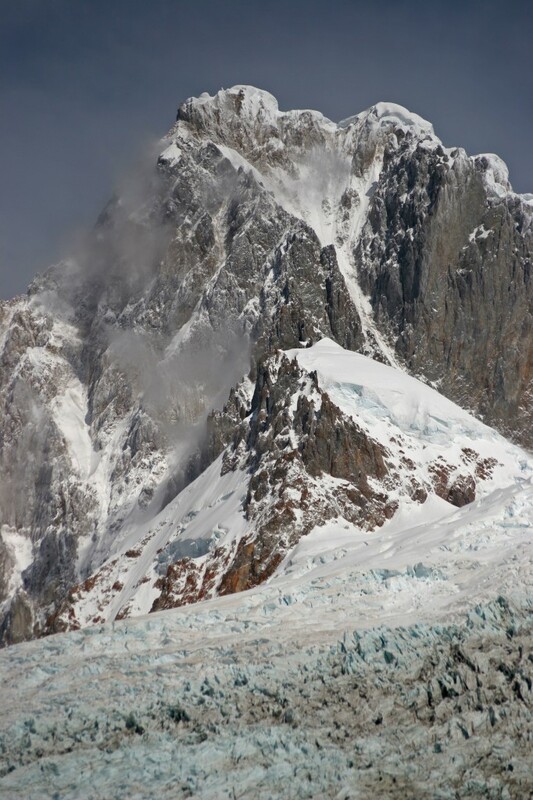 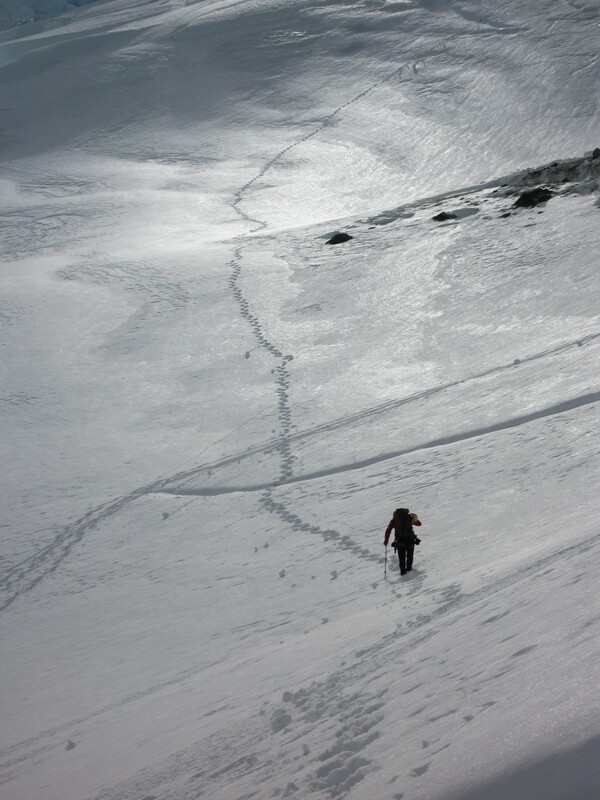 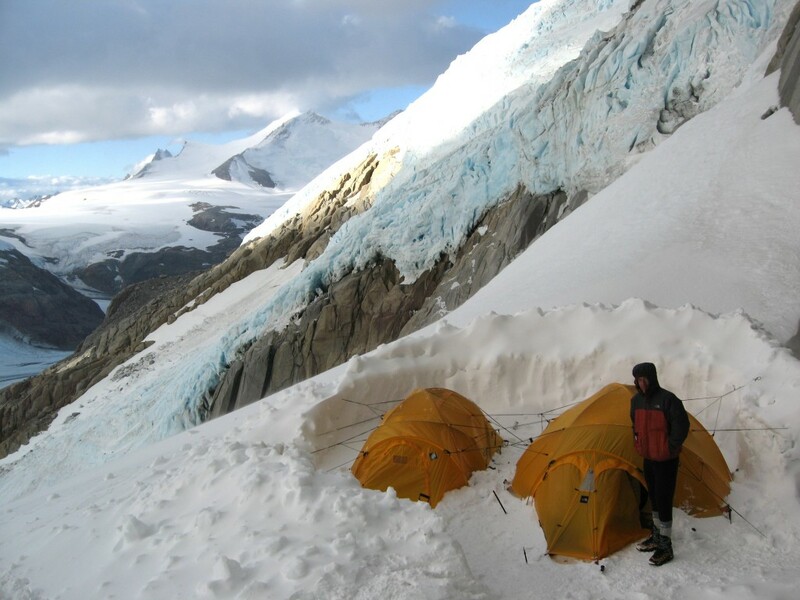 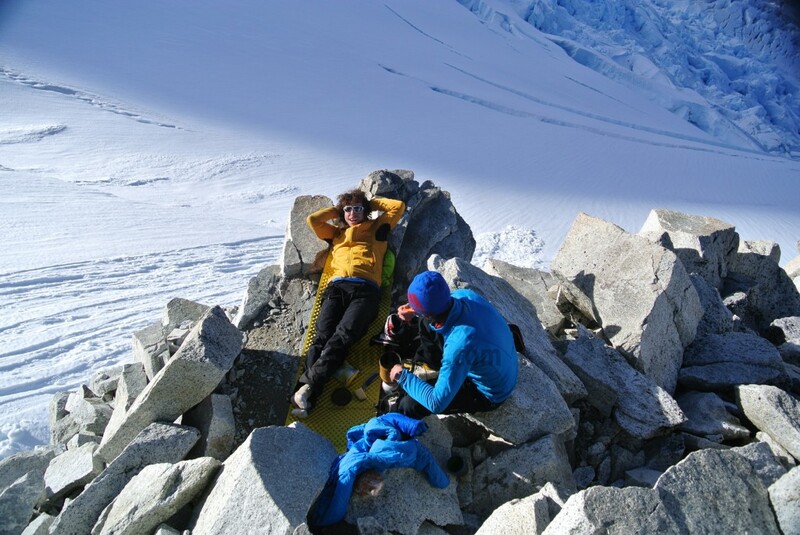 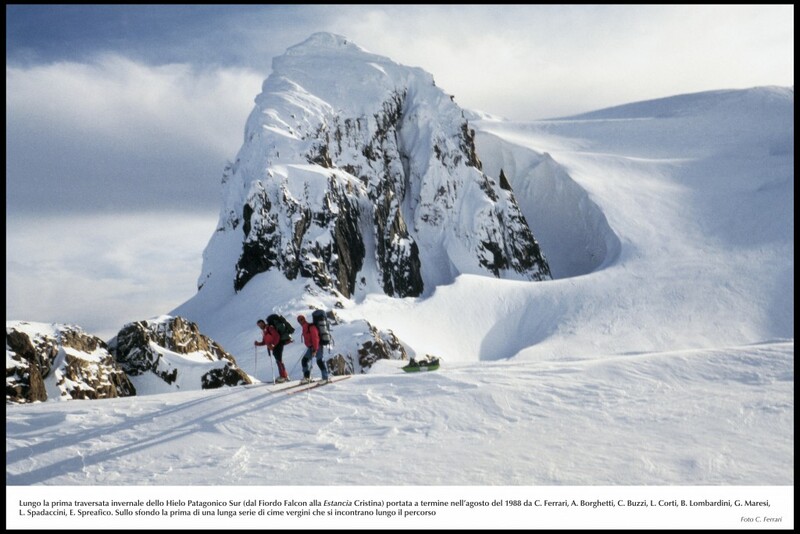 This till then unclimbed summit of Alaska, 6194 mt, got even the personal congratulations by J.F. 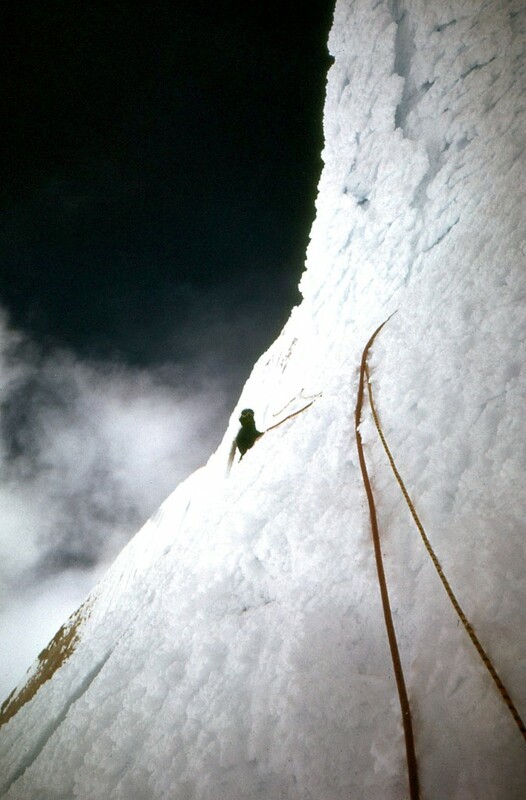 Kennedy. 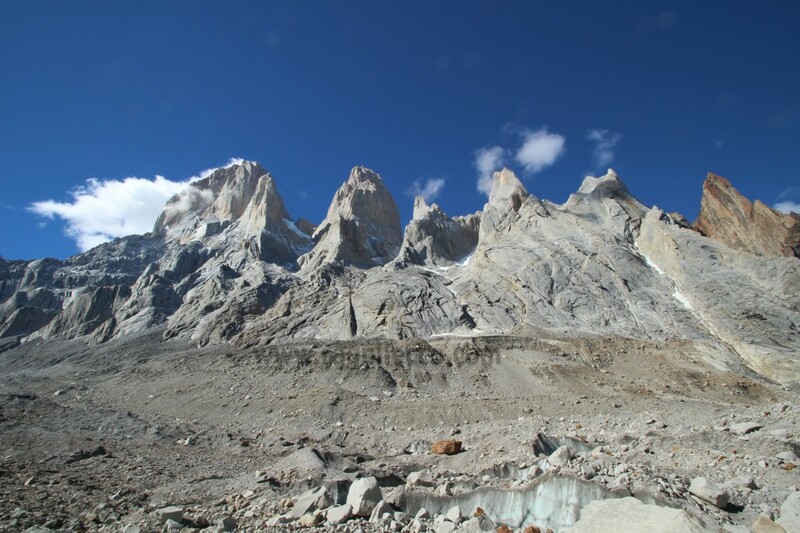 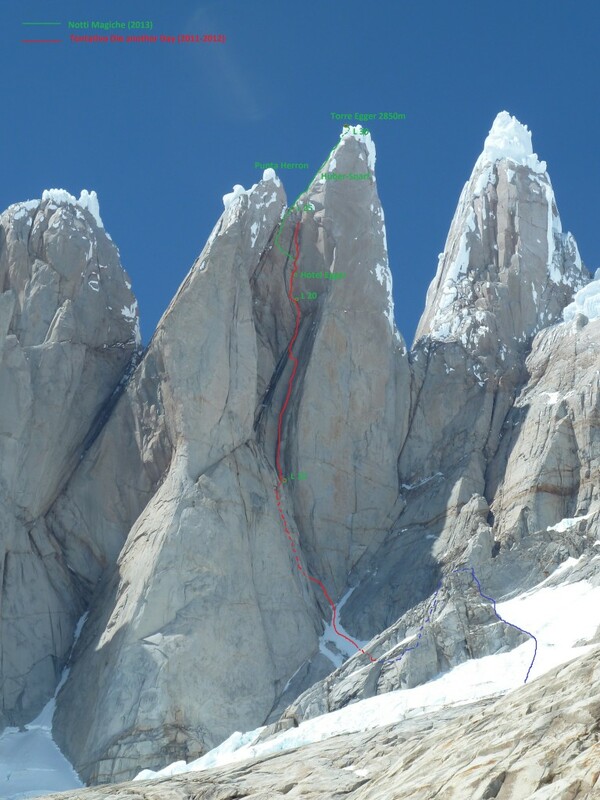 Another historical ascent happened in 1974, along Cerro Torre, climbed by Casimiro Ferrari, Mario Conti, Pino Negri and Daniele Chiappa. 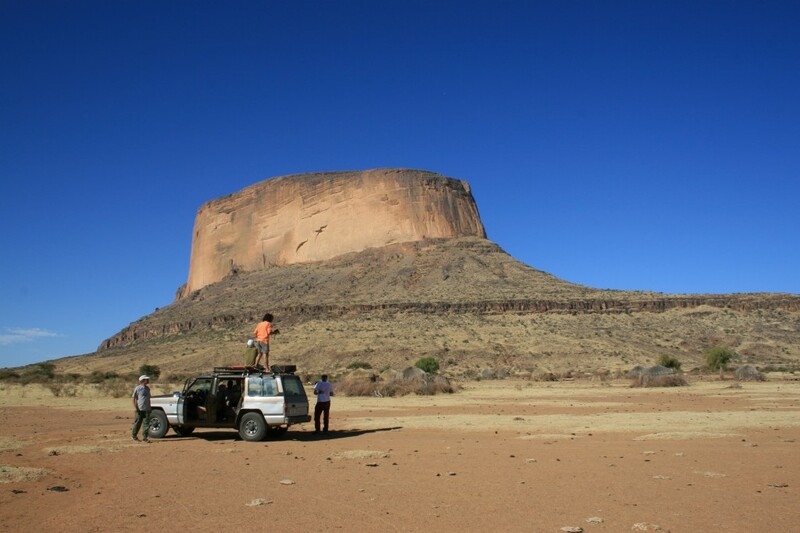 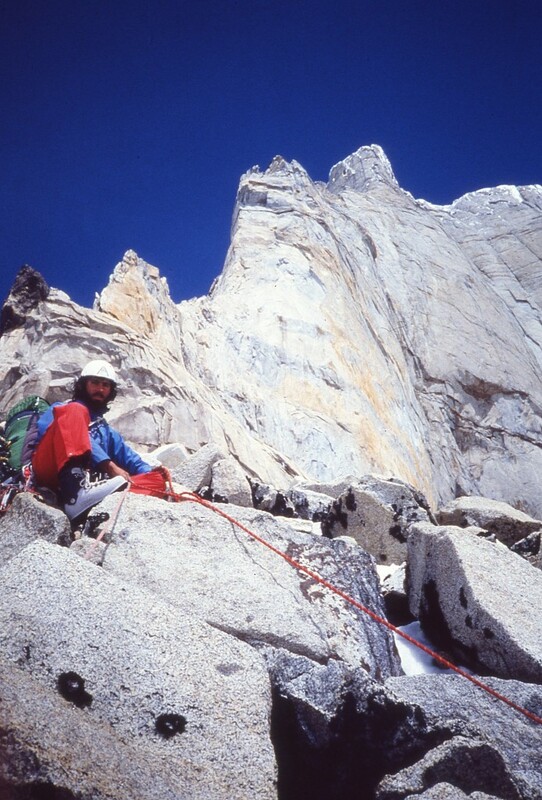 For the majority of the climbing community, this ascent is the real first ascent of that magic tower. 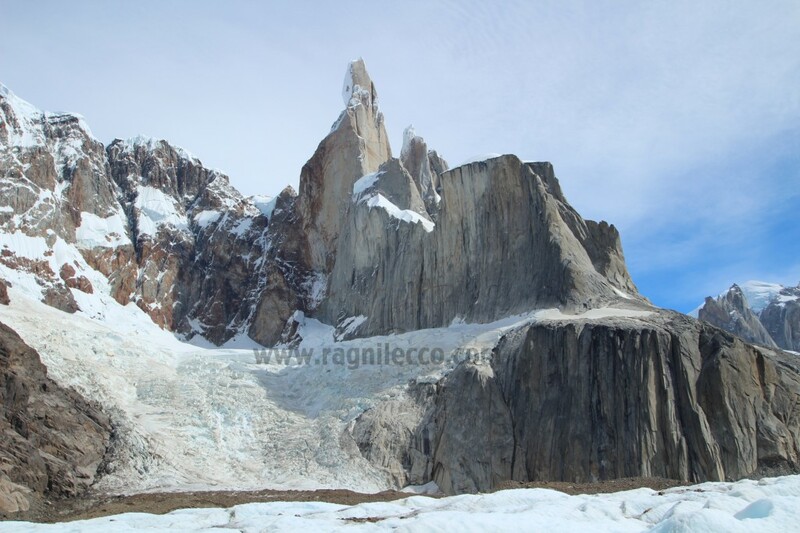 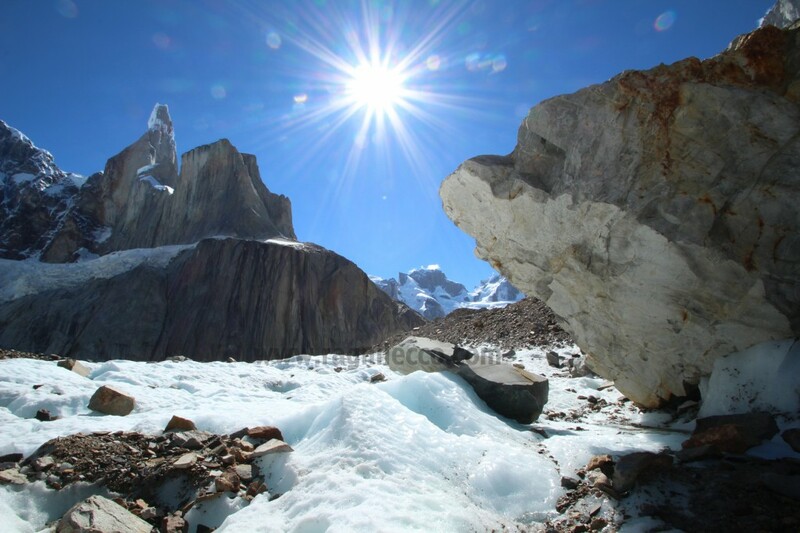 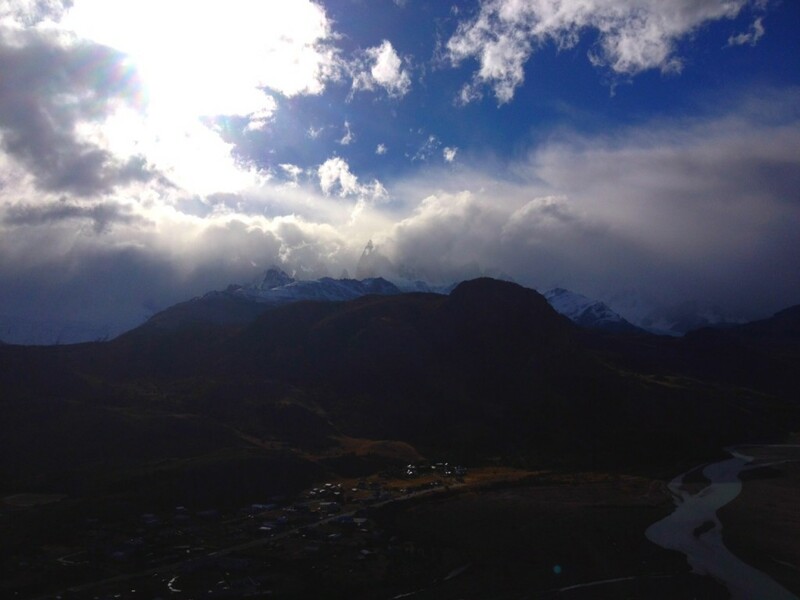 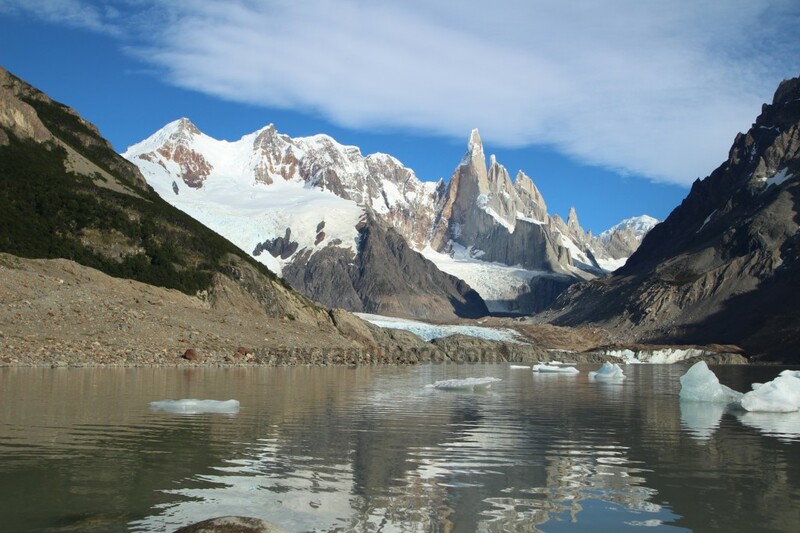 Two years later Casimiro Ferrari read in the East of Fitz Roy another step on in the history. 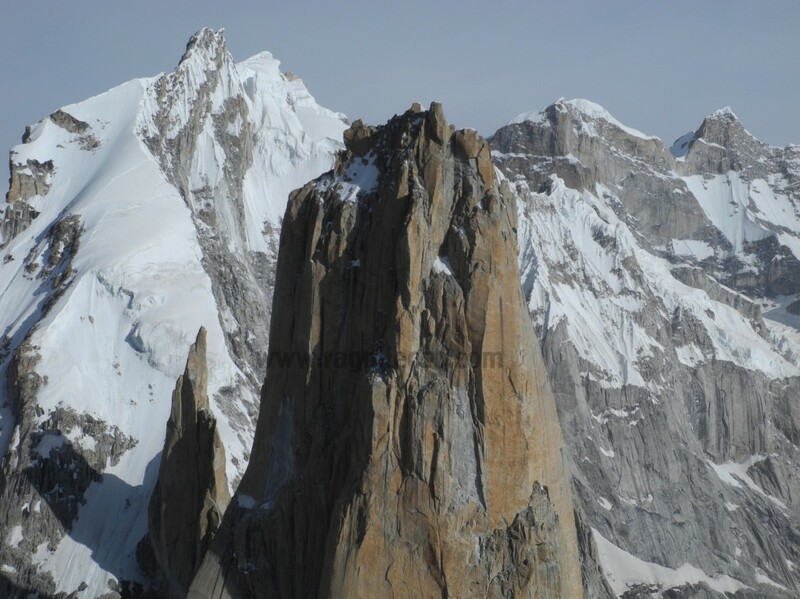 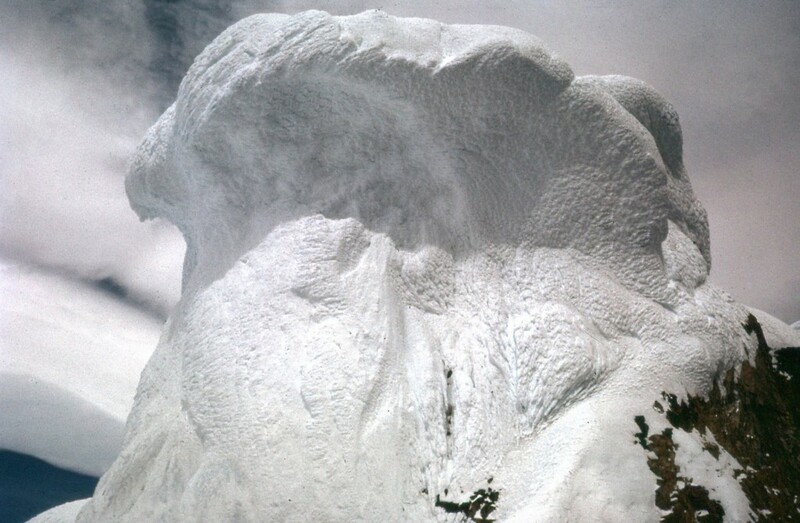 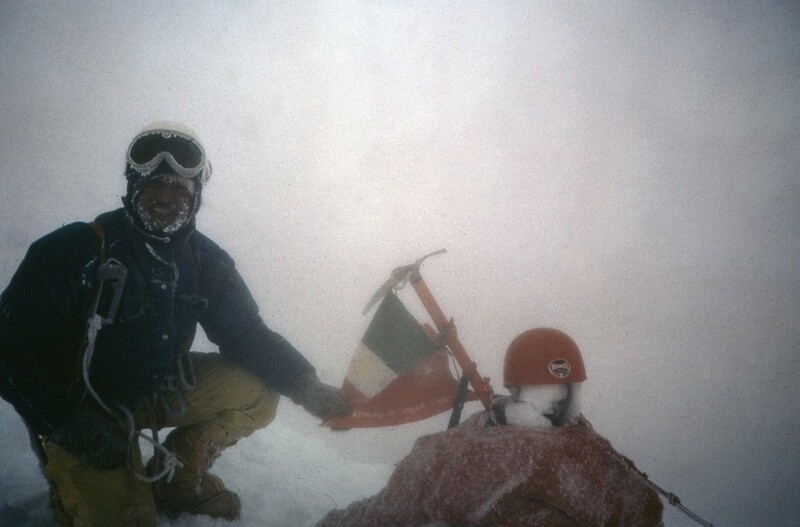 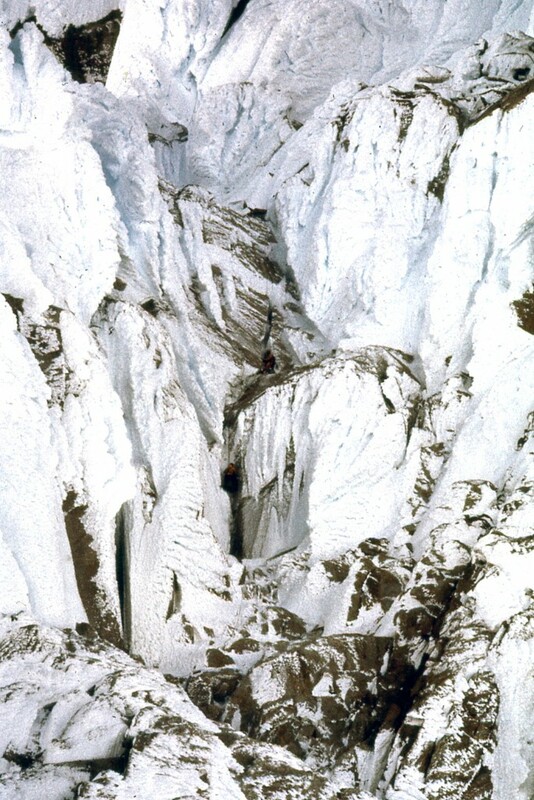 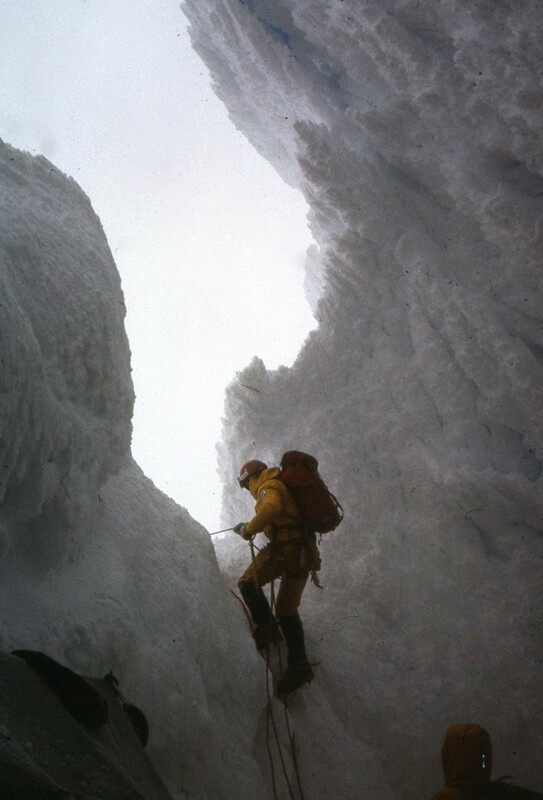 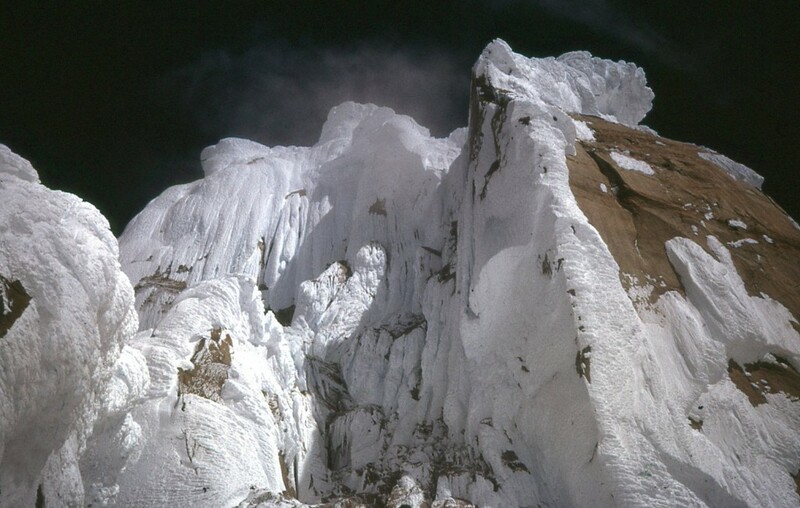 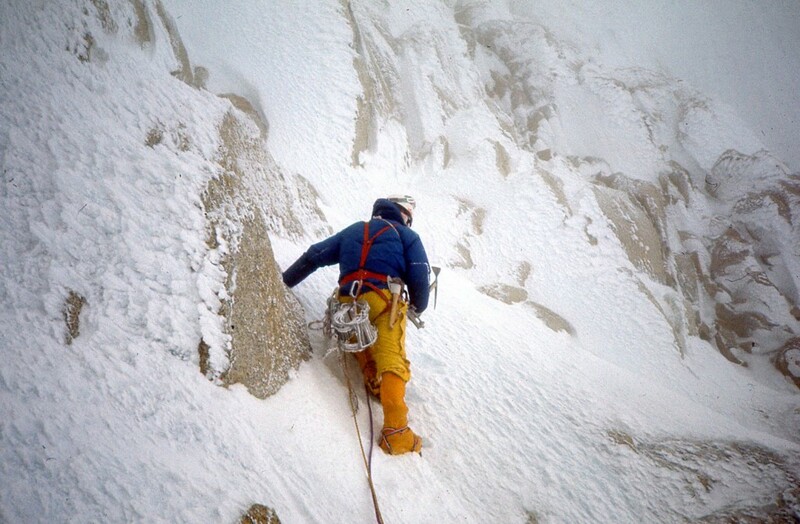 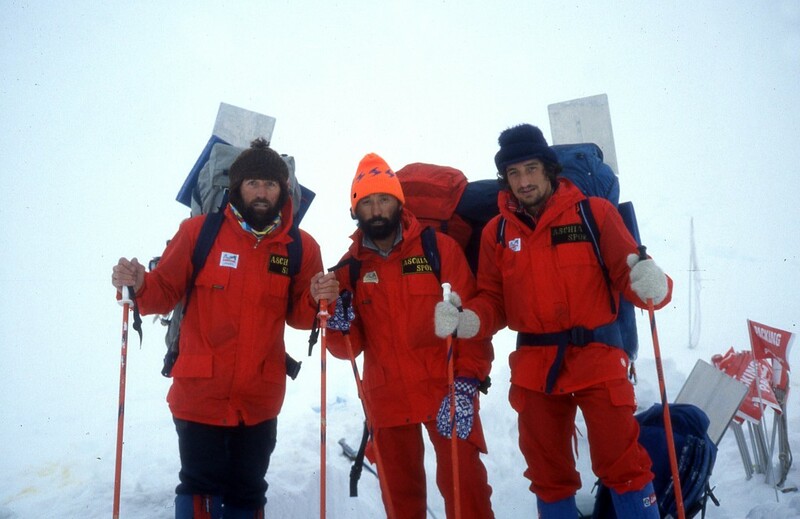 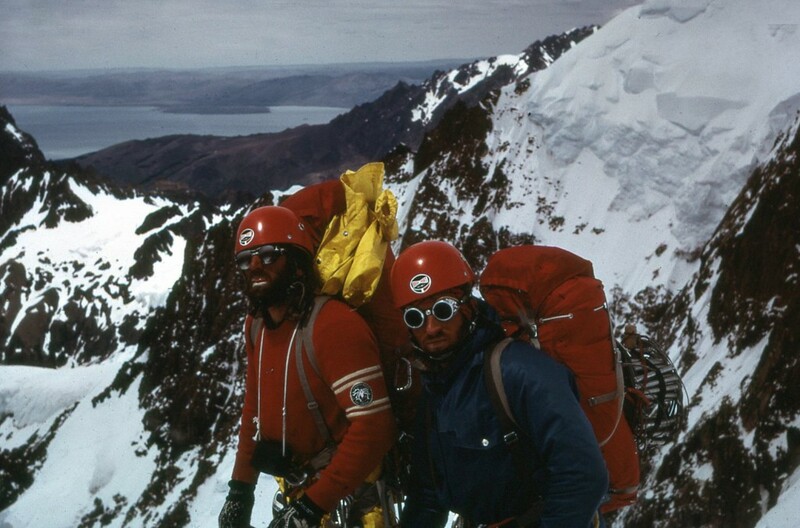 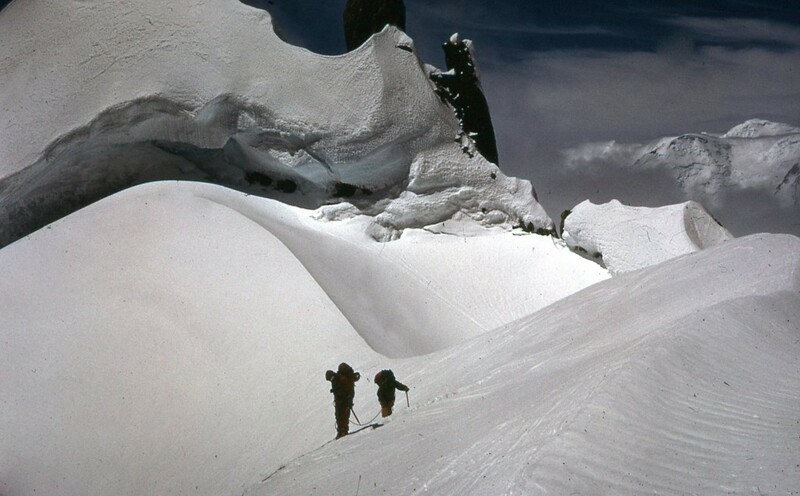 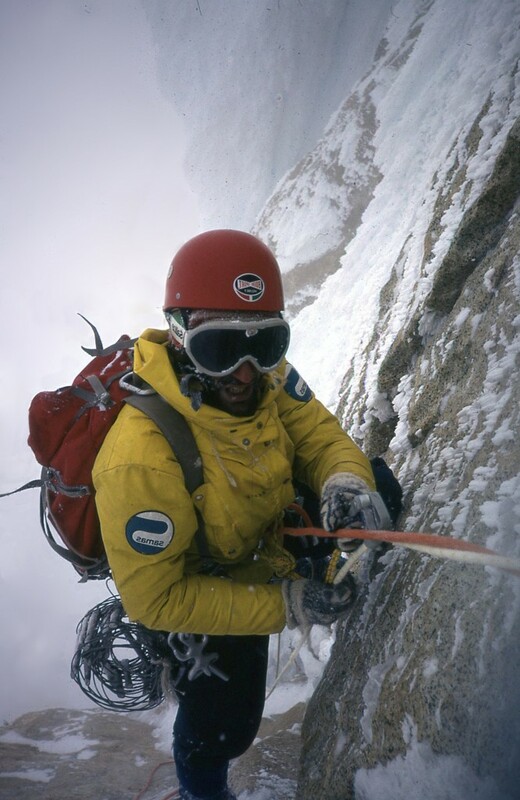 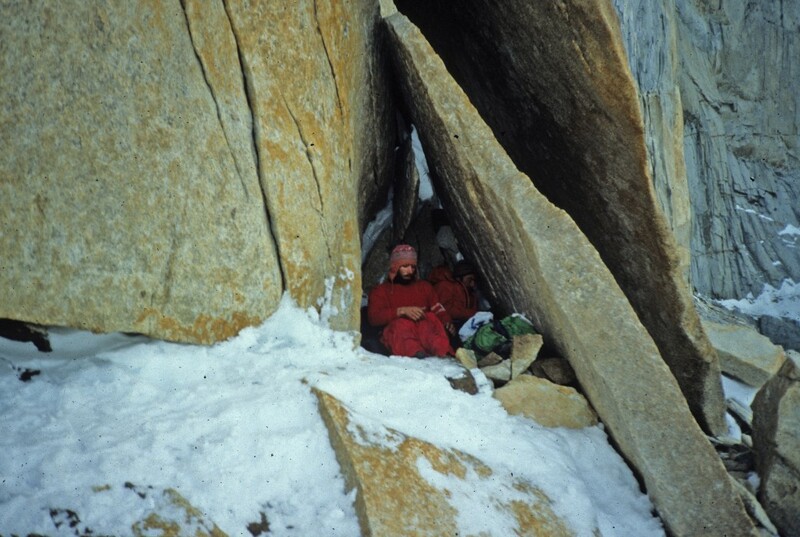 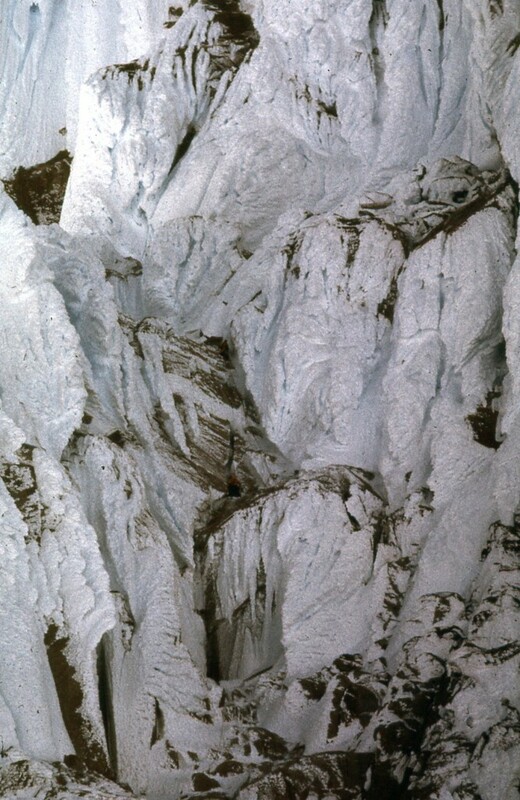 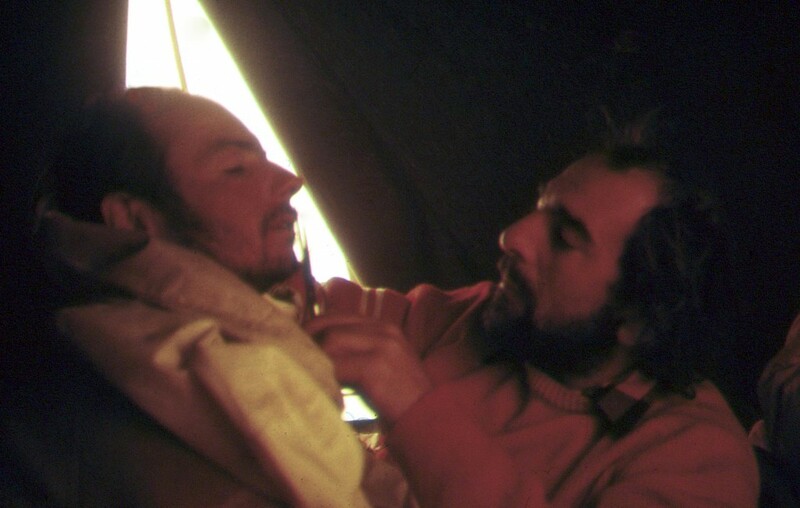 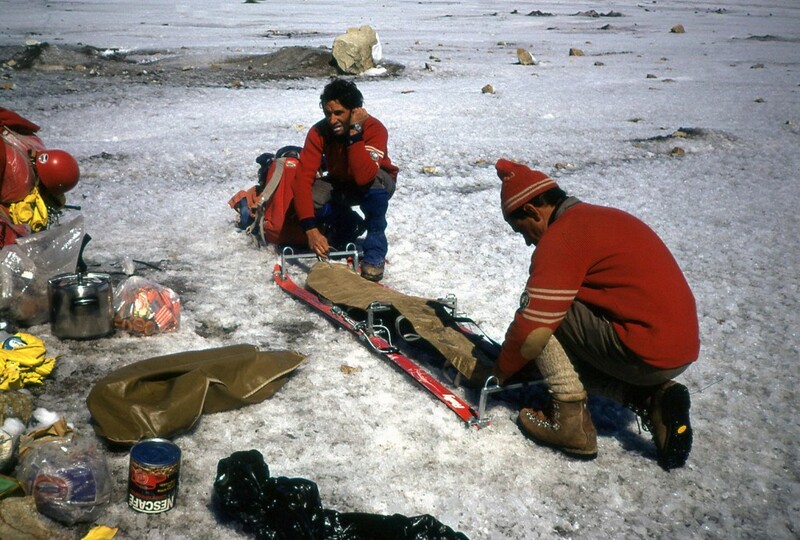 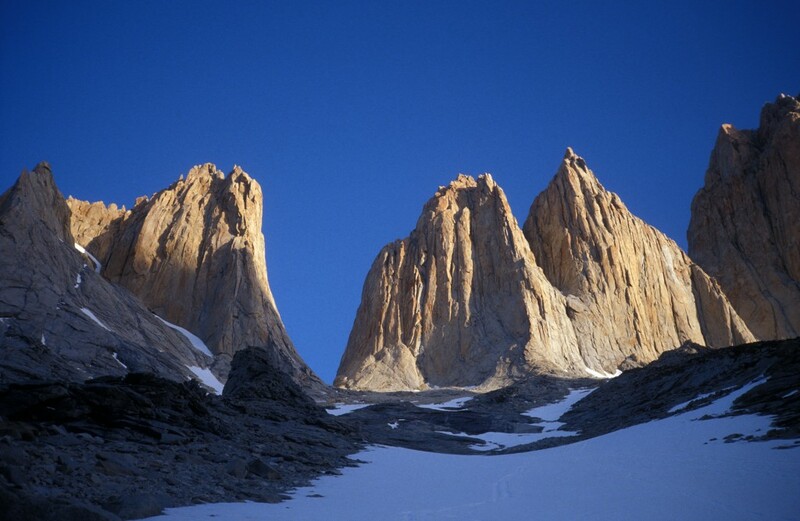 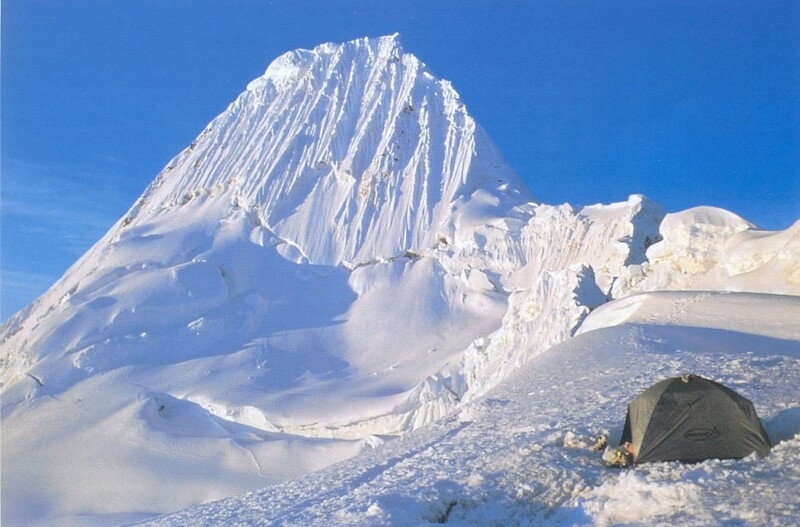 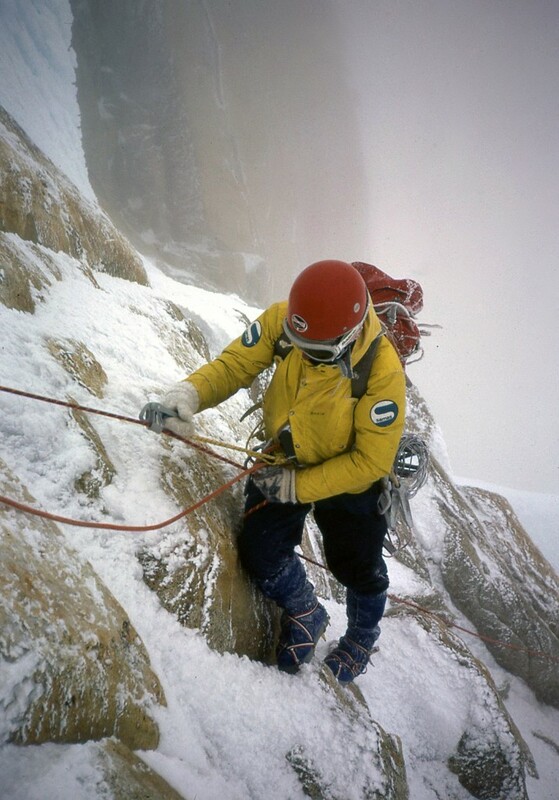 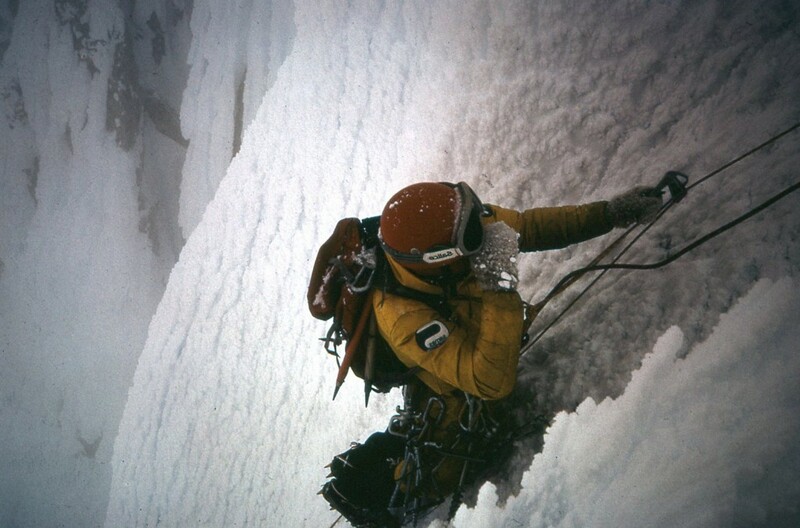 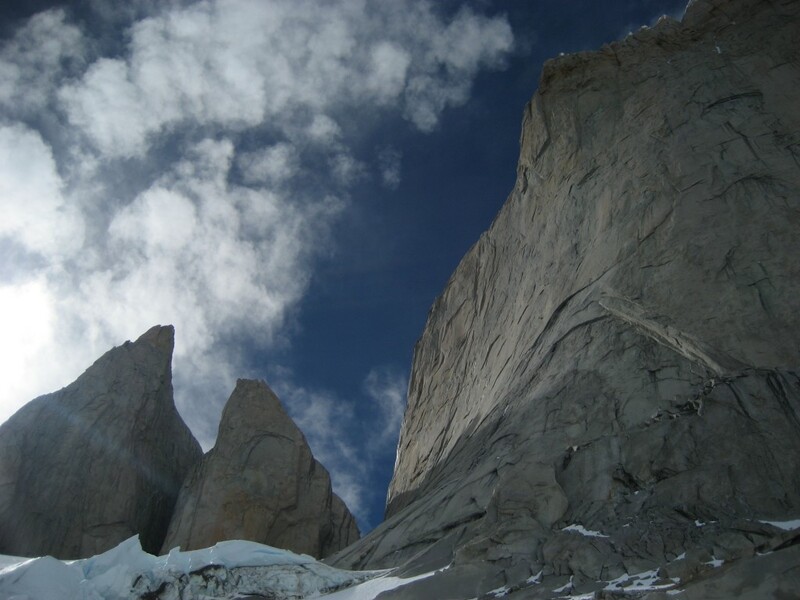 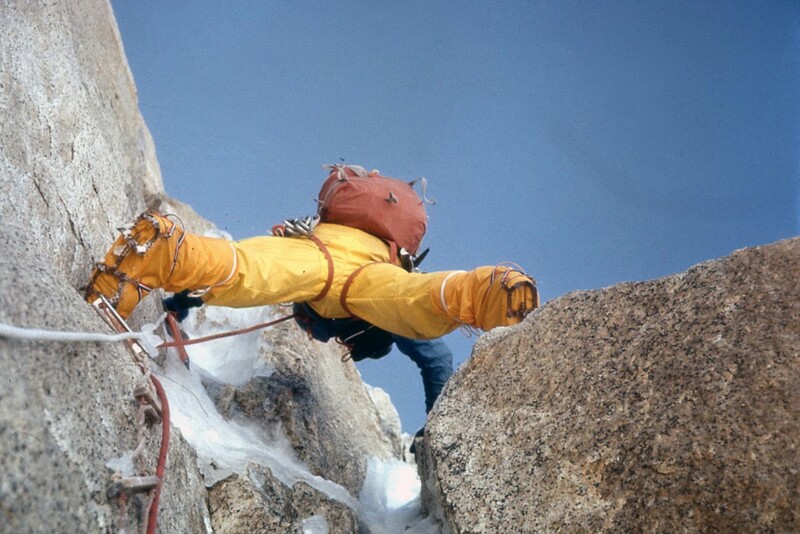 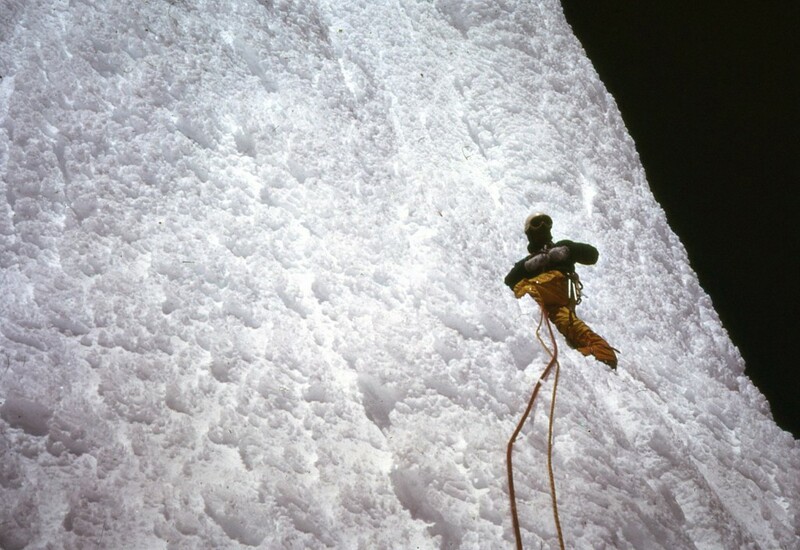 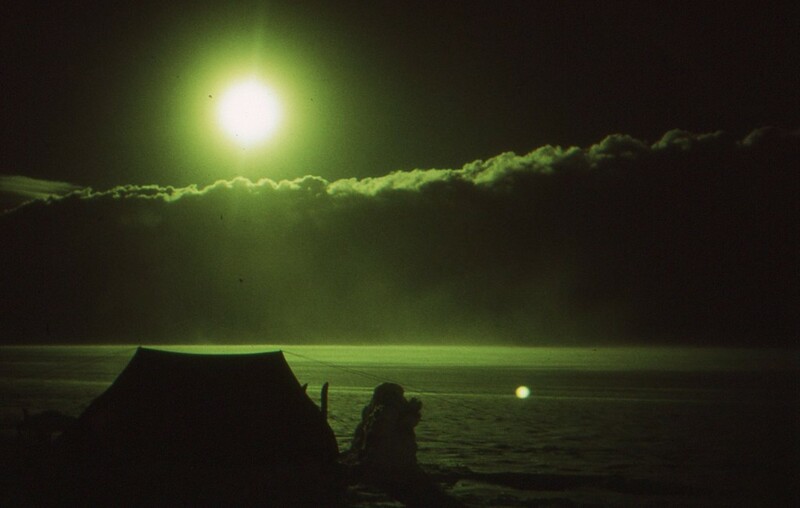 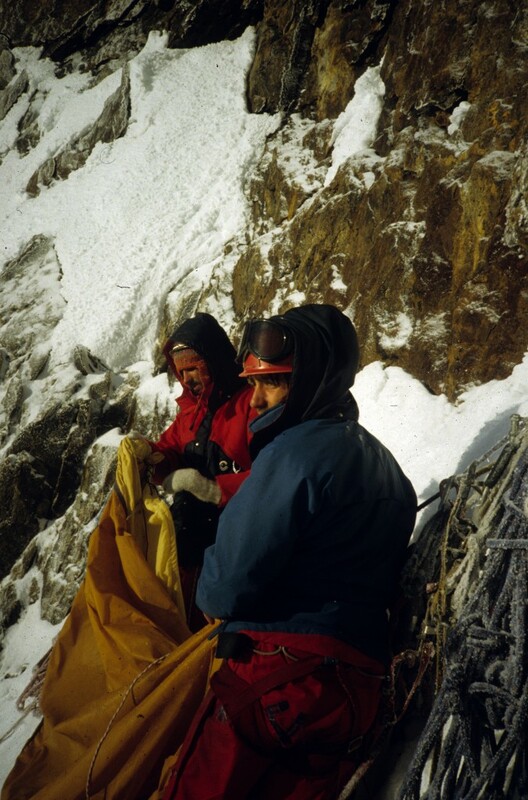 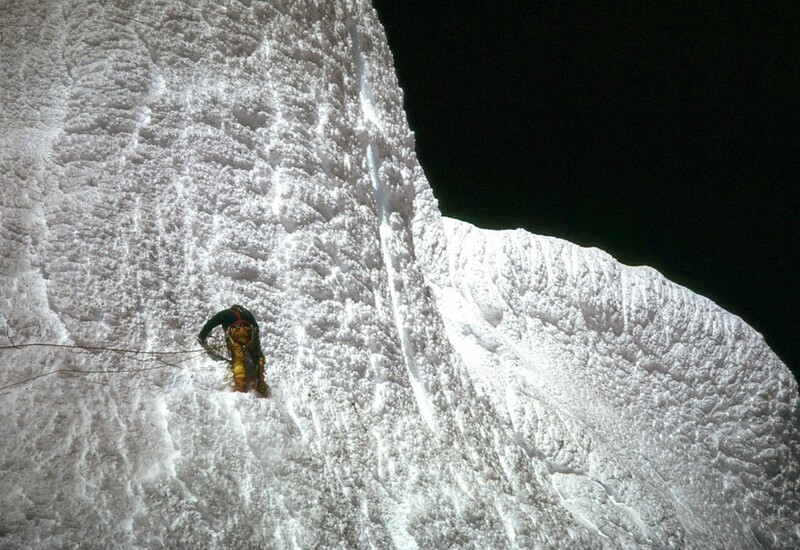 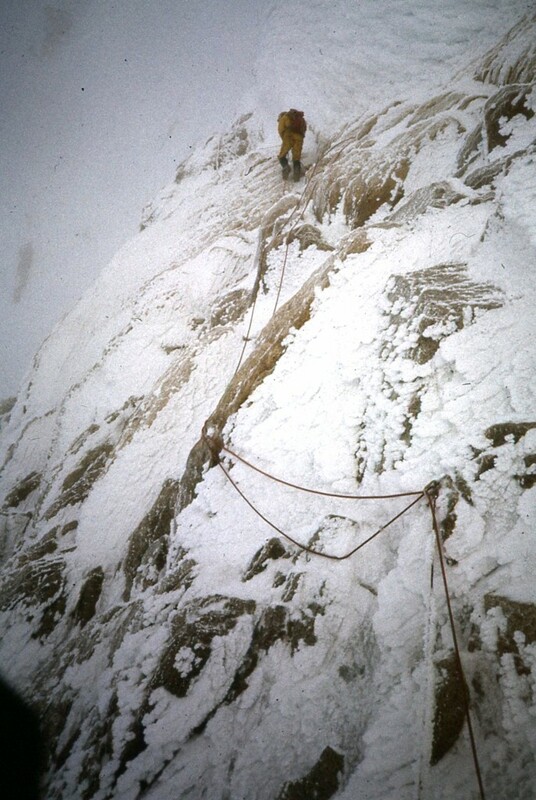 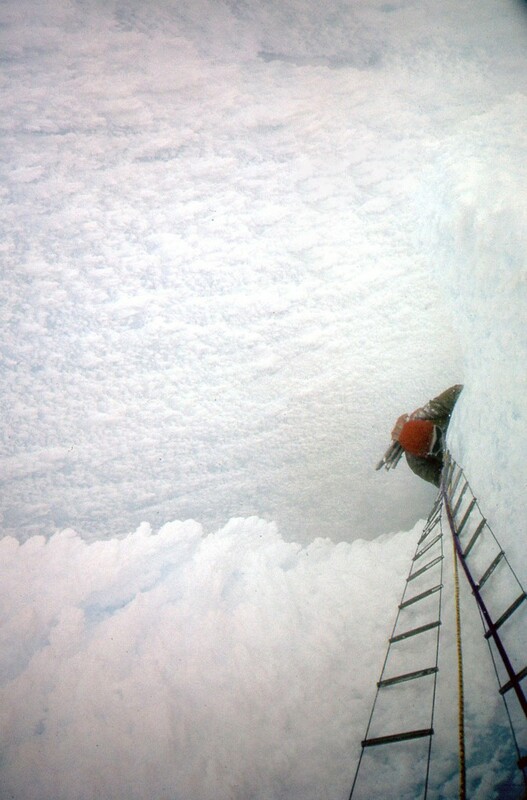 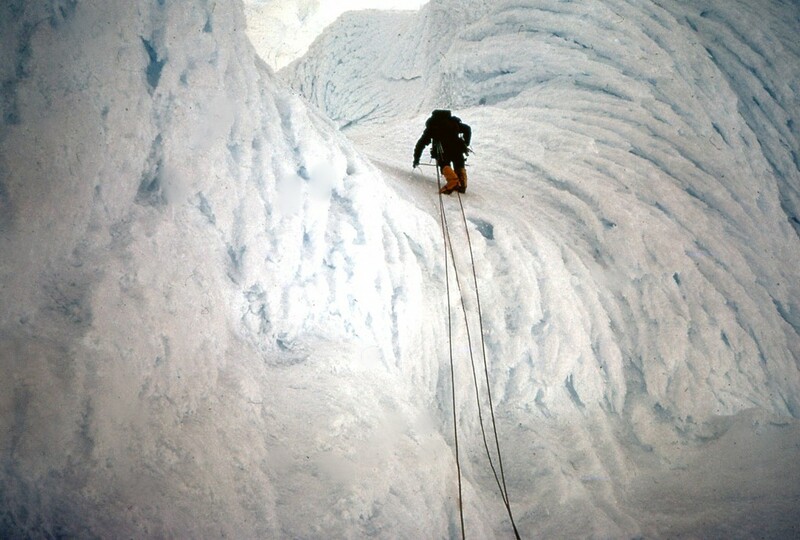 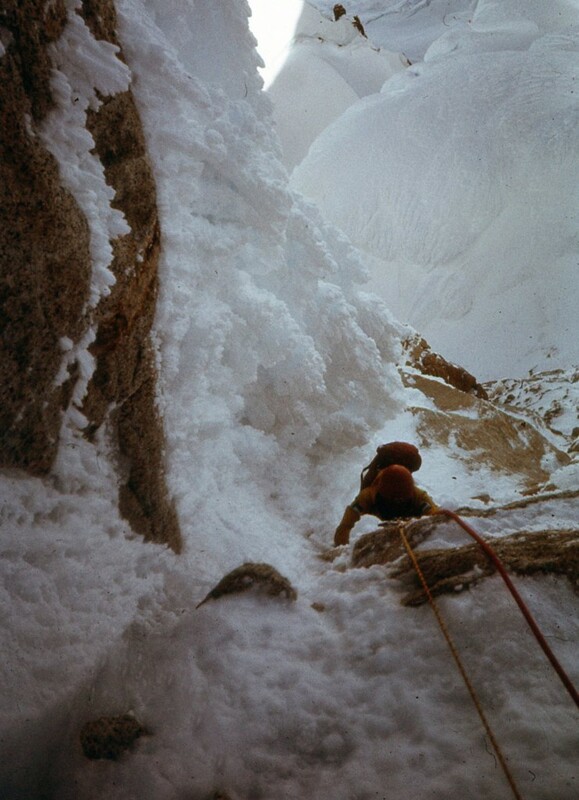 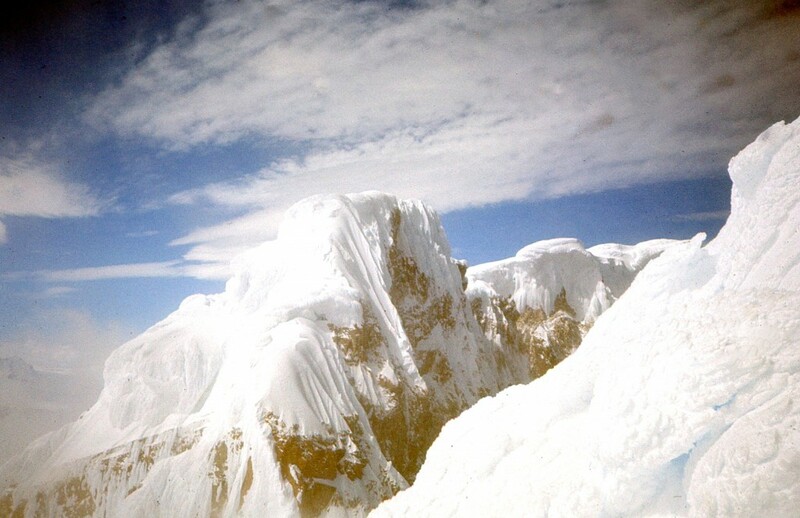 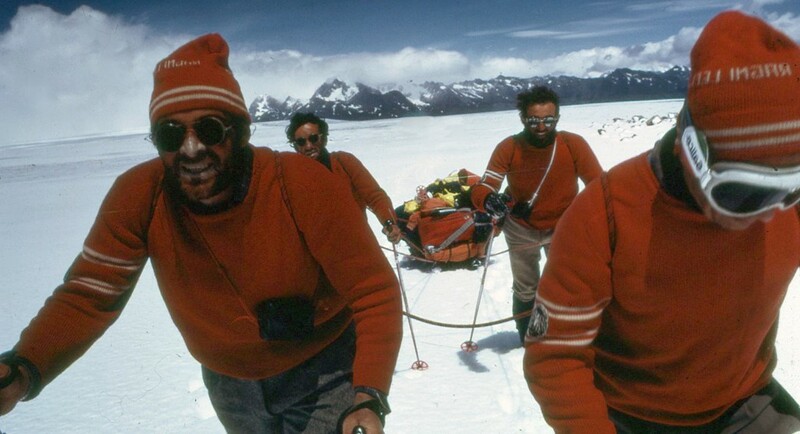 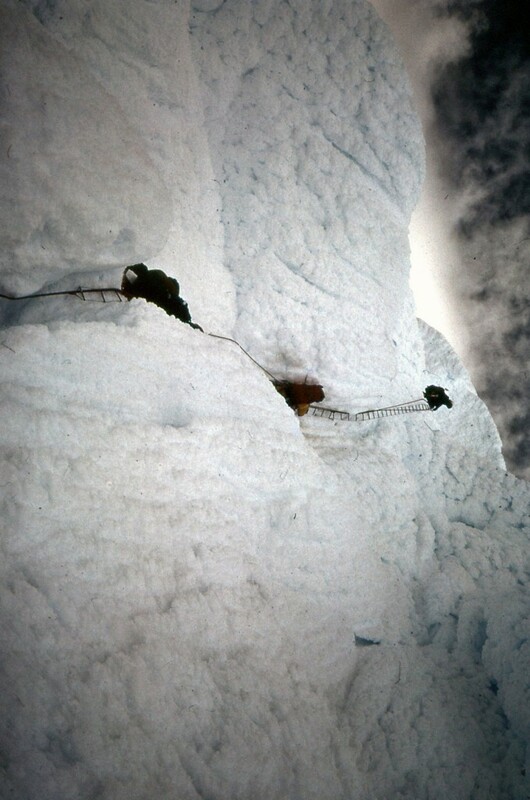 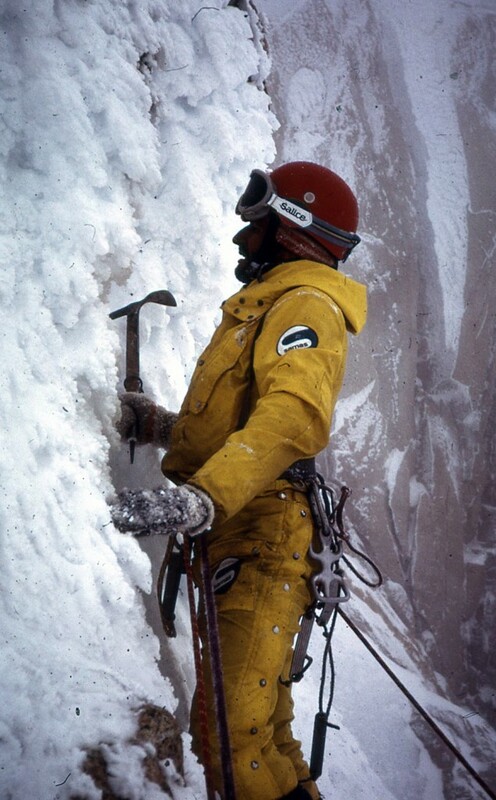 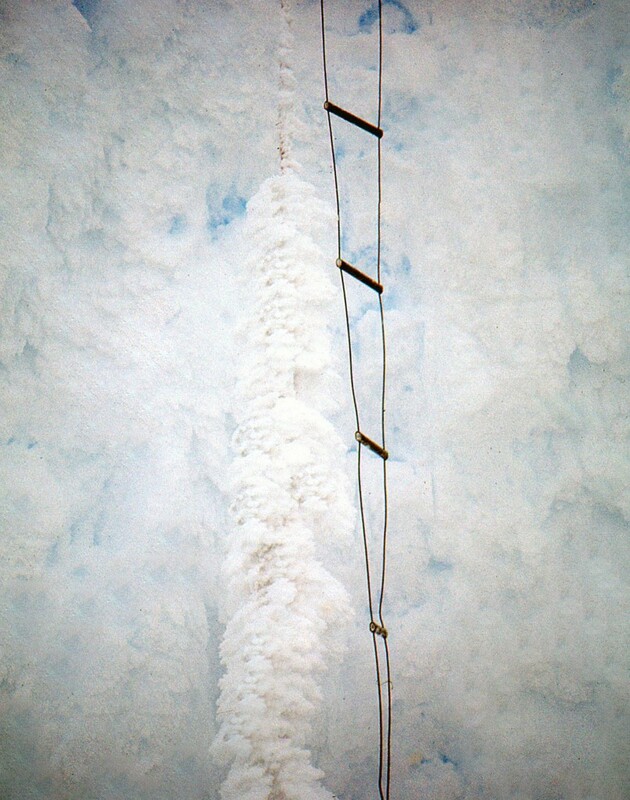 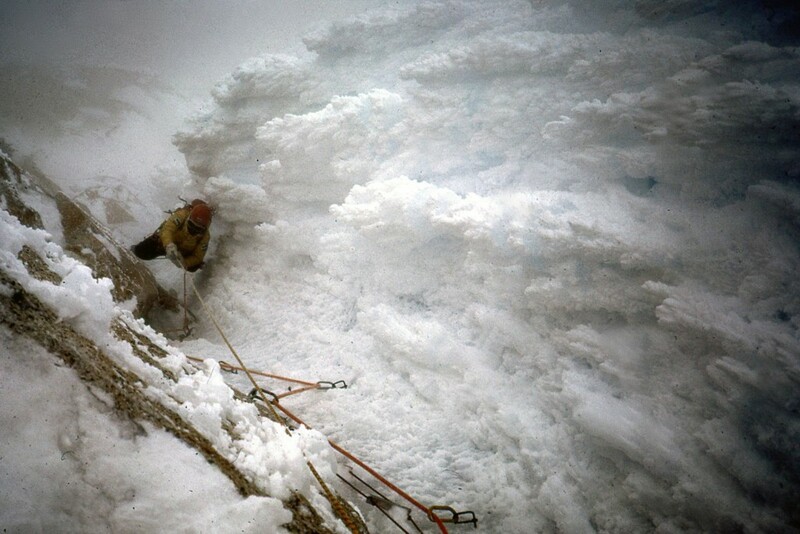 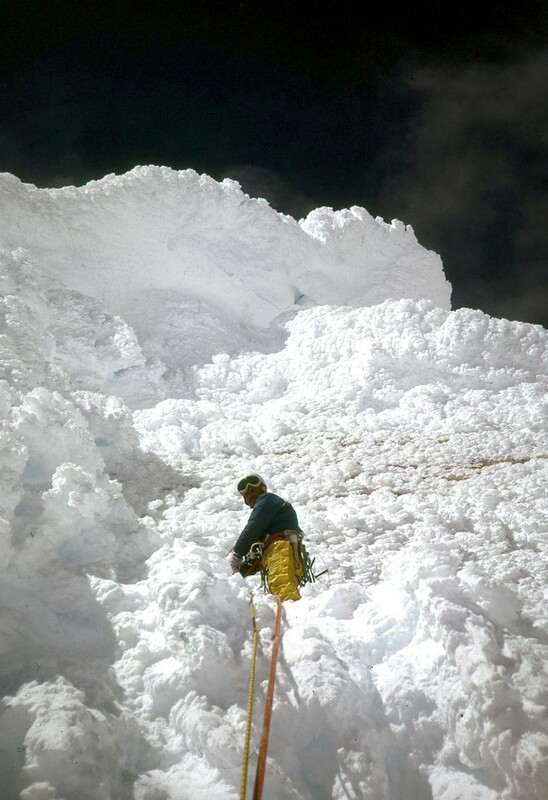 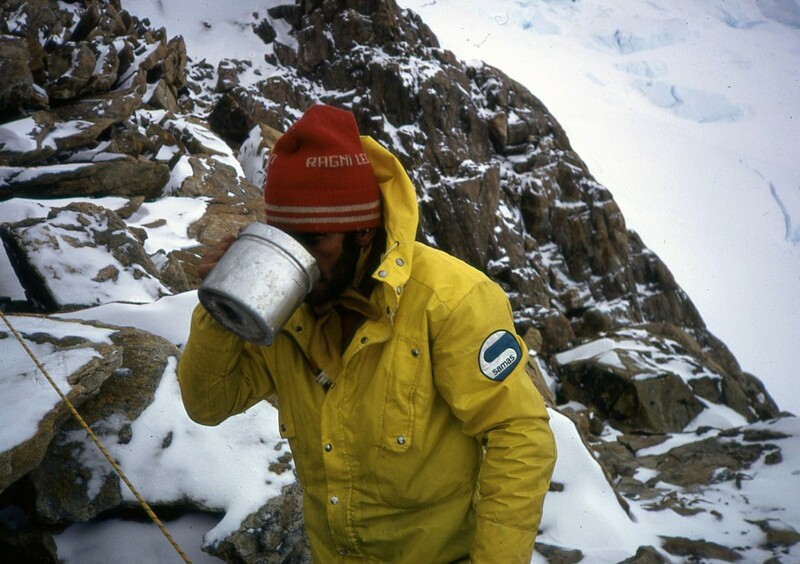 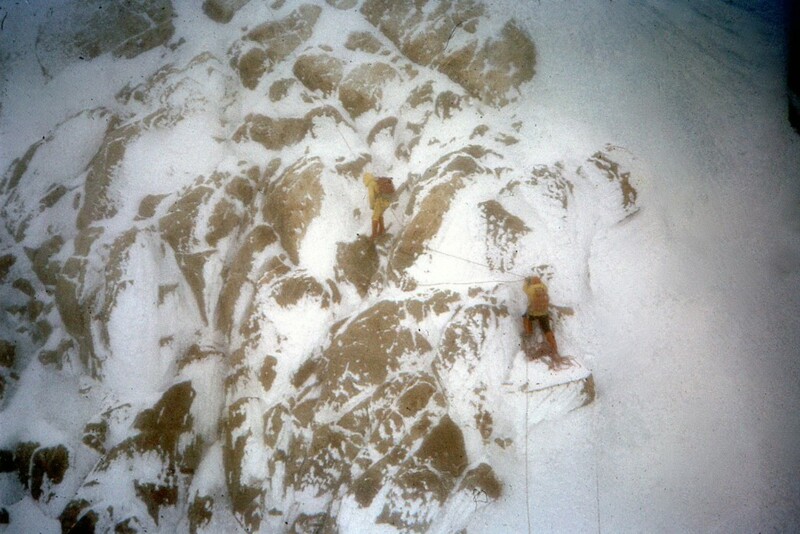 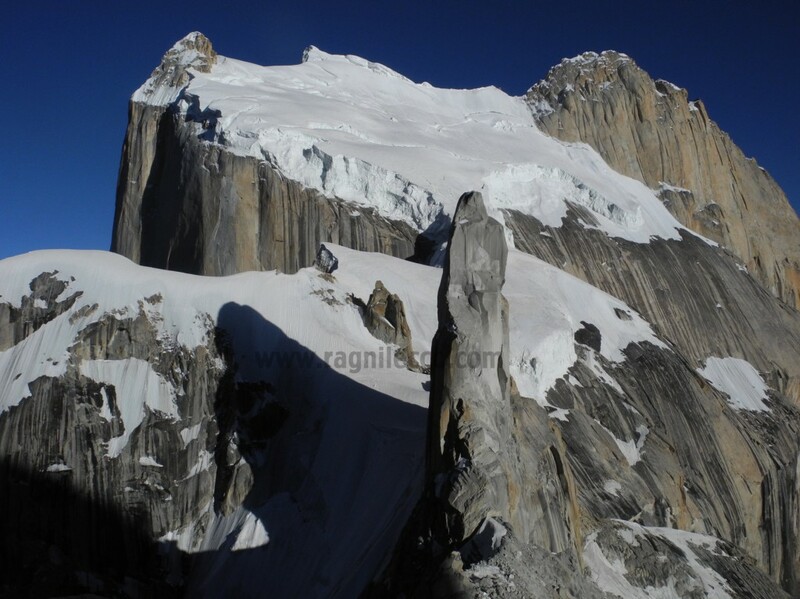 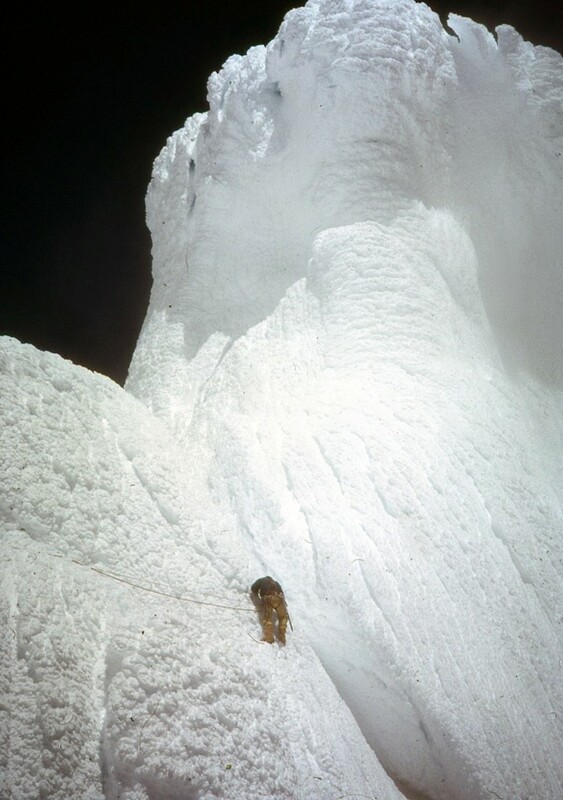 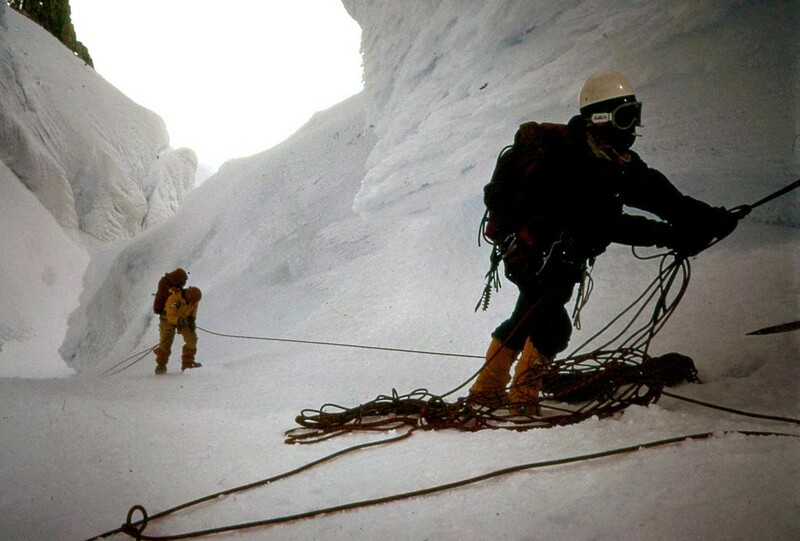 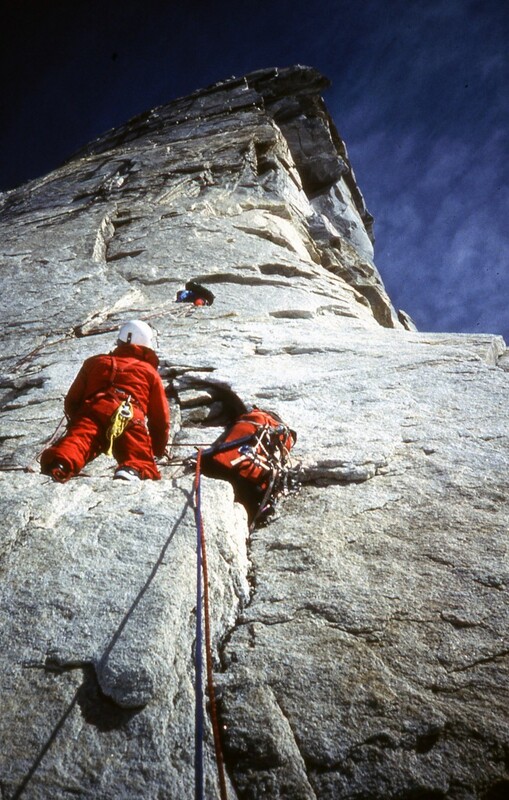 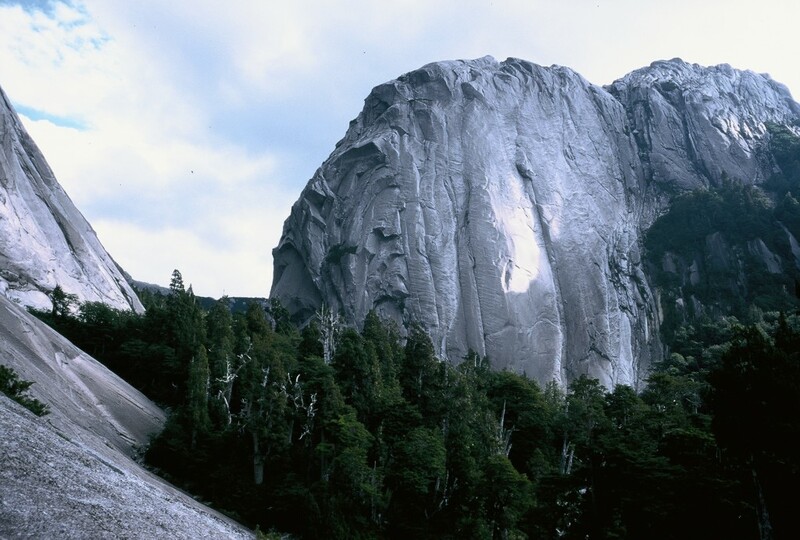 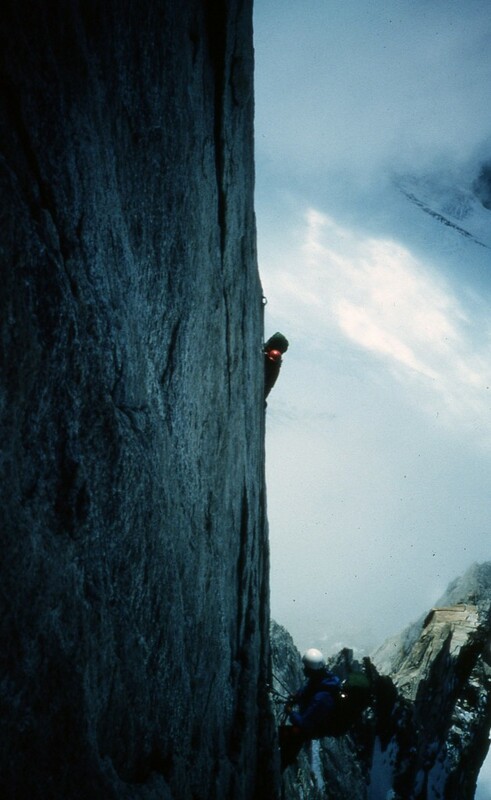 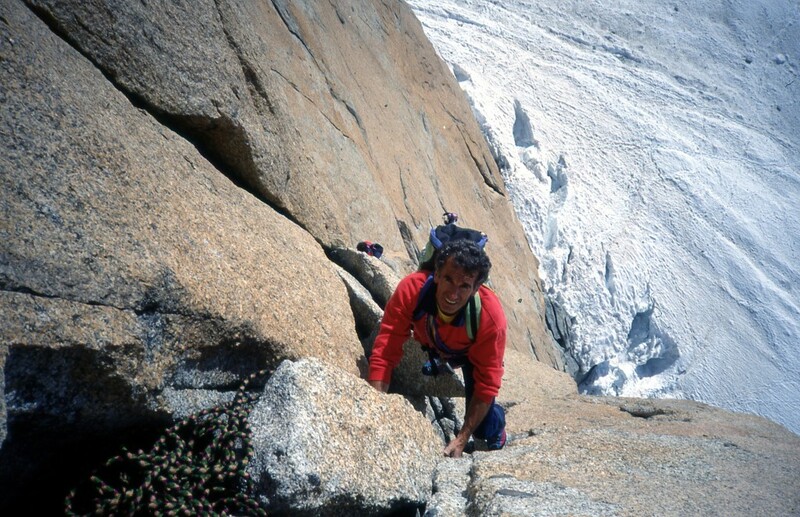 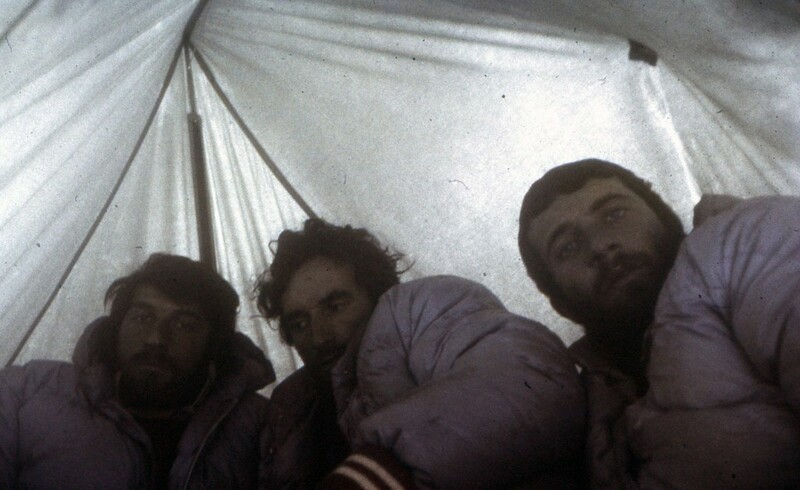 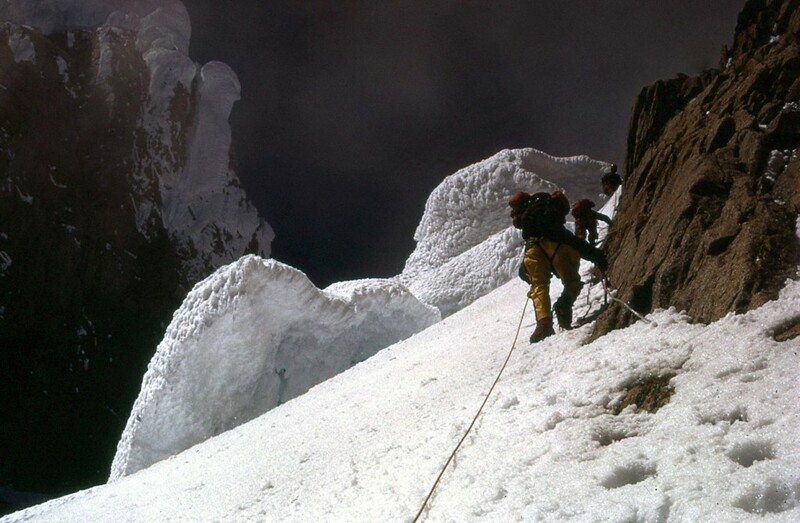 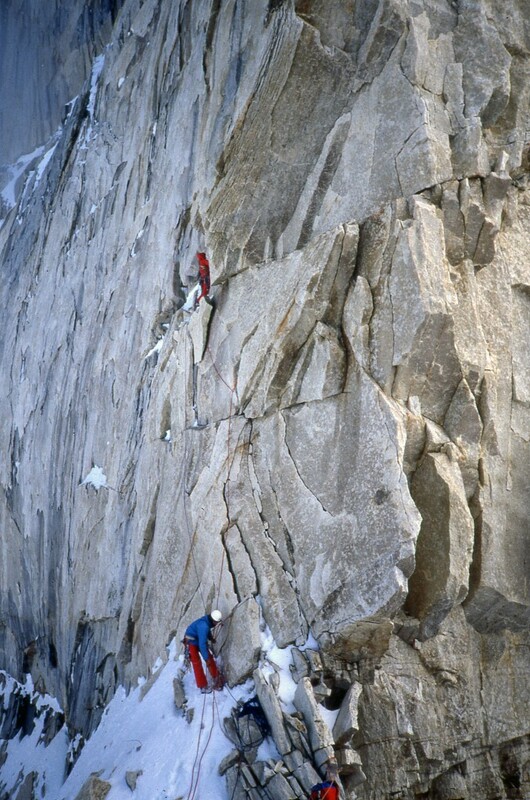 In 1984 two young “crazy” guys, Carlo Aldè and Paolo Vitali, finally reached the summit, after three years of attempts, of the North East pillar of the giant wall of Cerro Murallon. 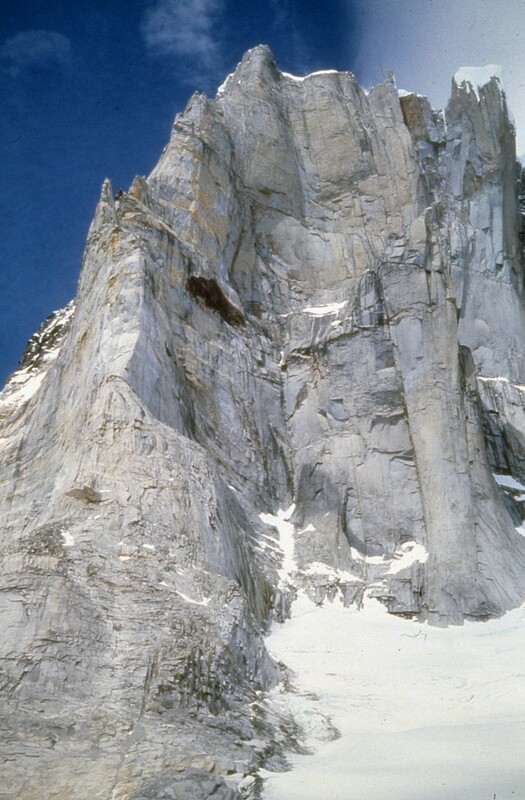 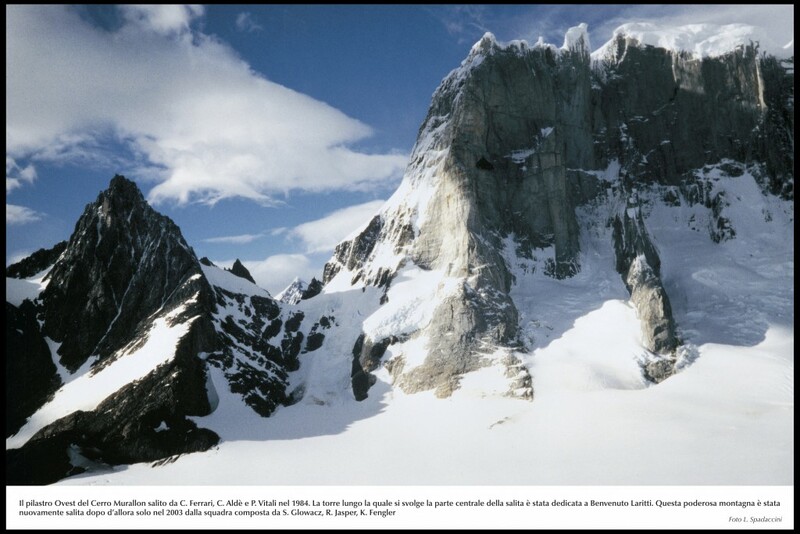 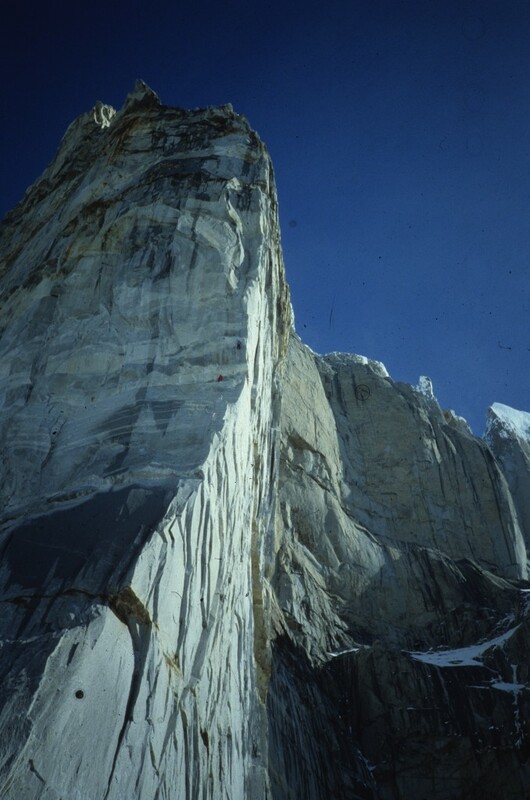 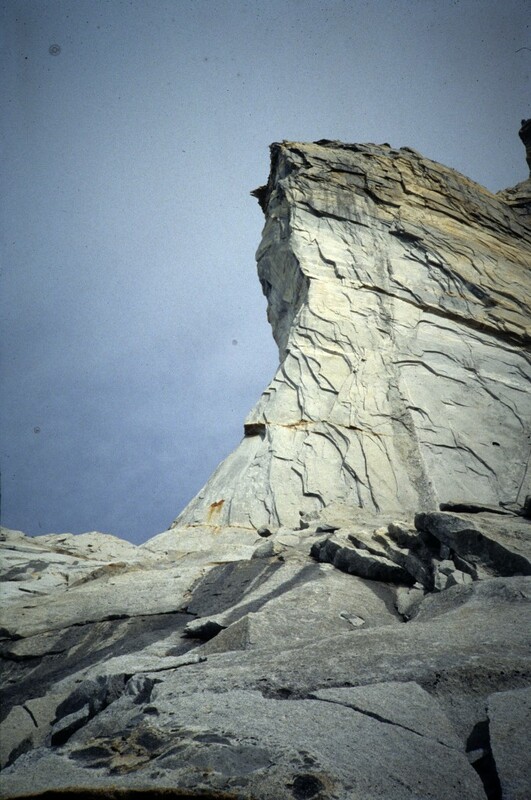 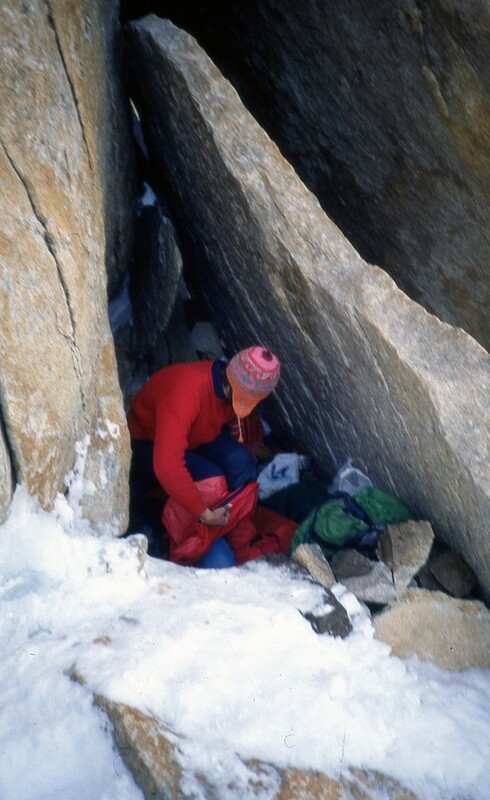 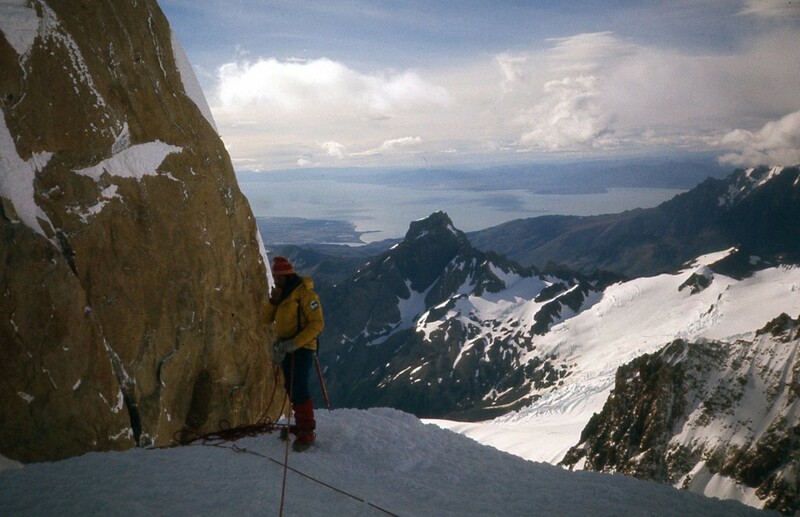 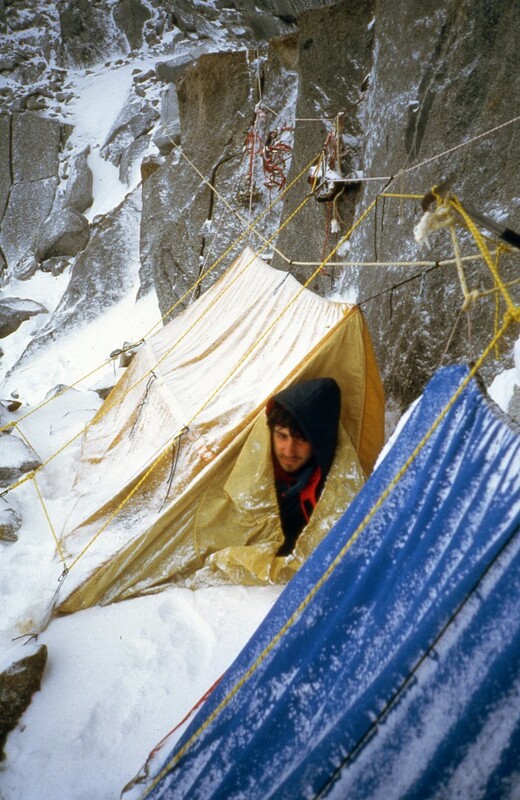 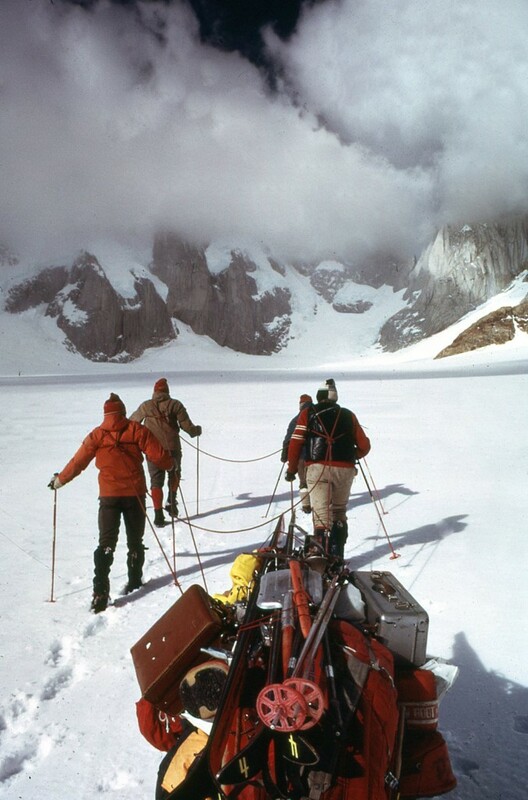 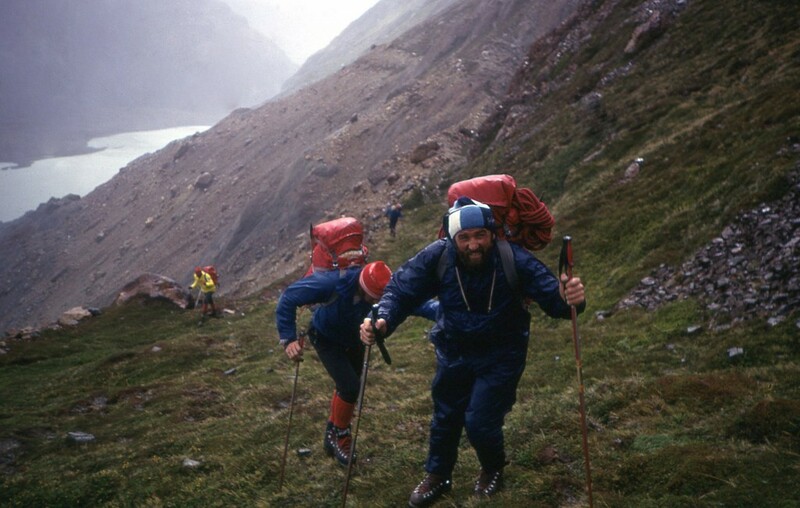 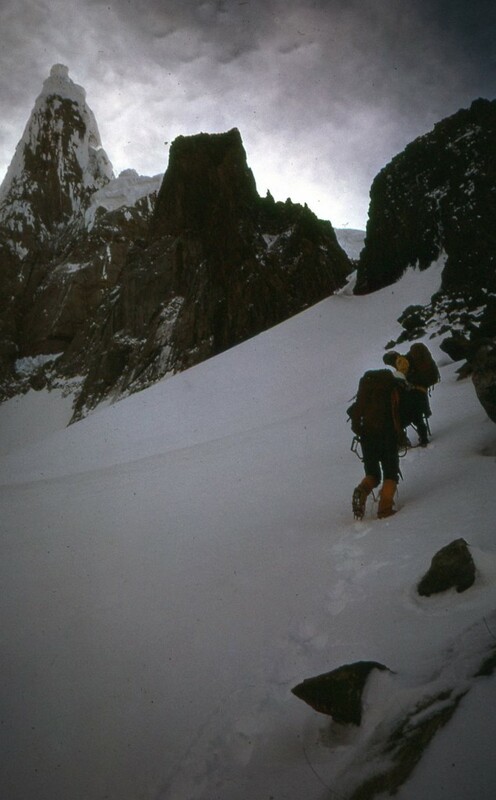 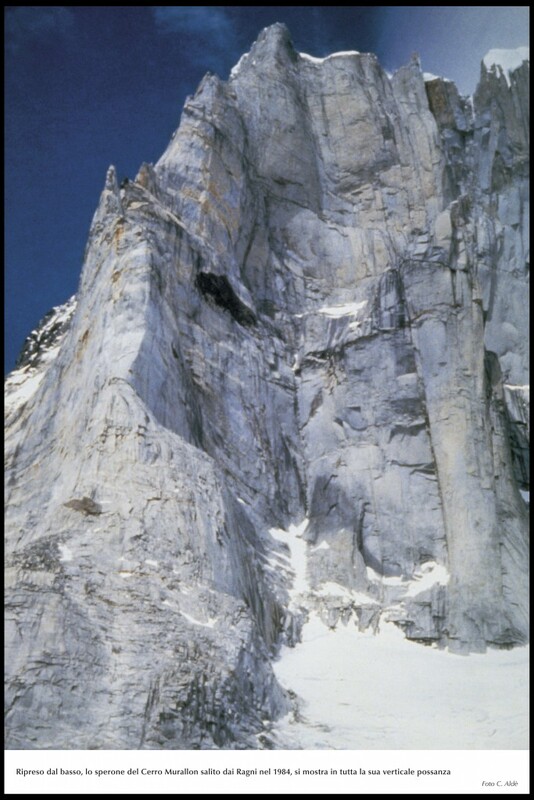 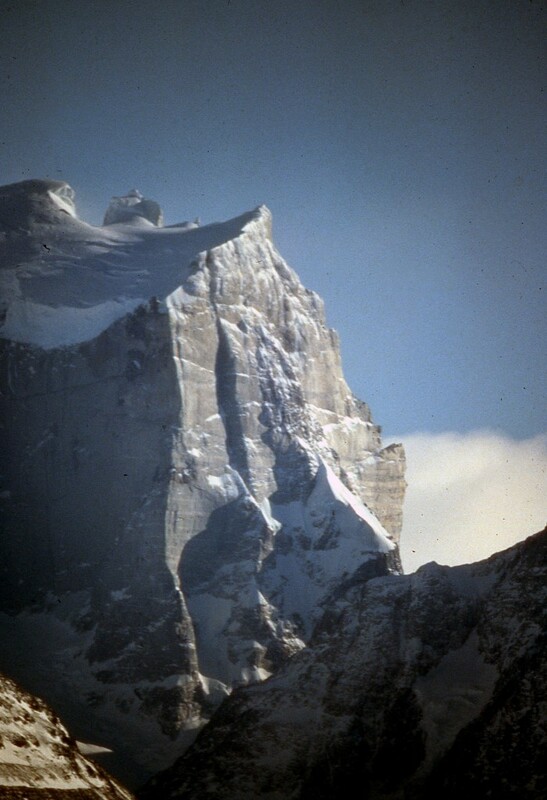 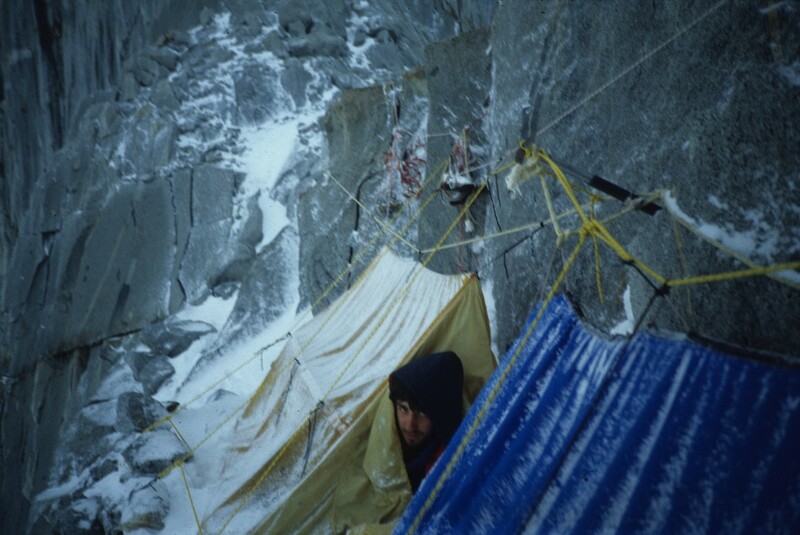 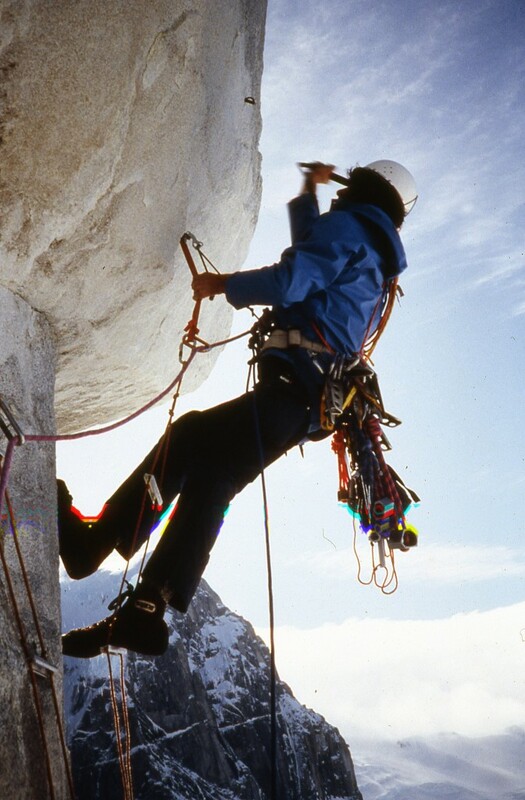 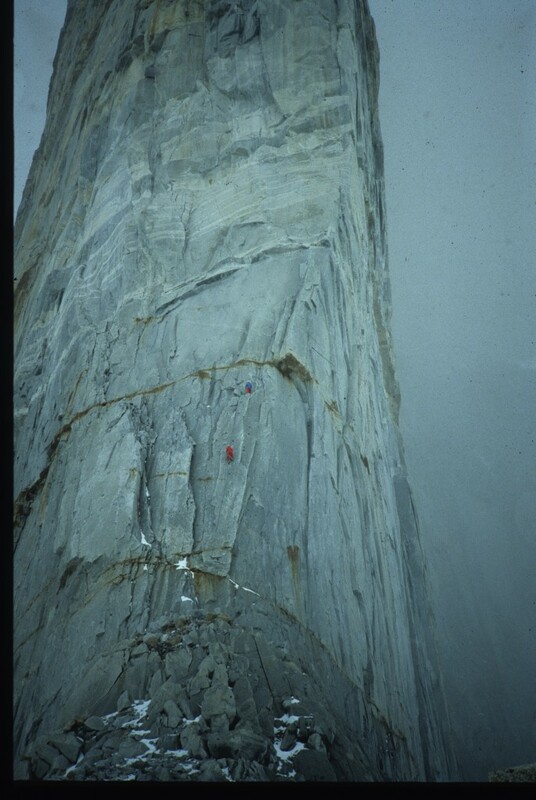 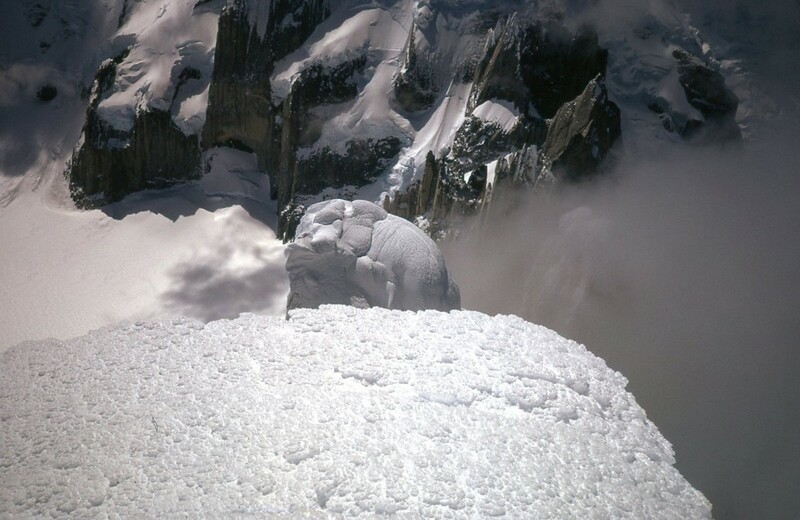 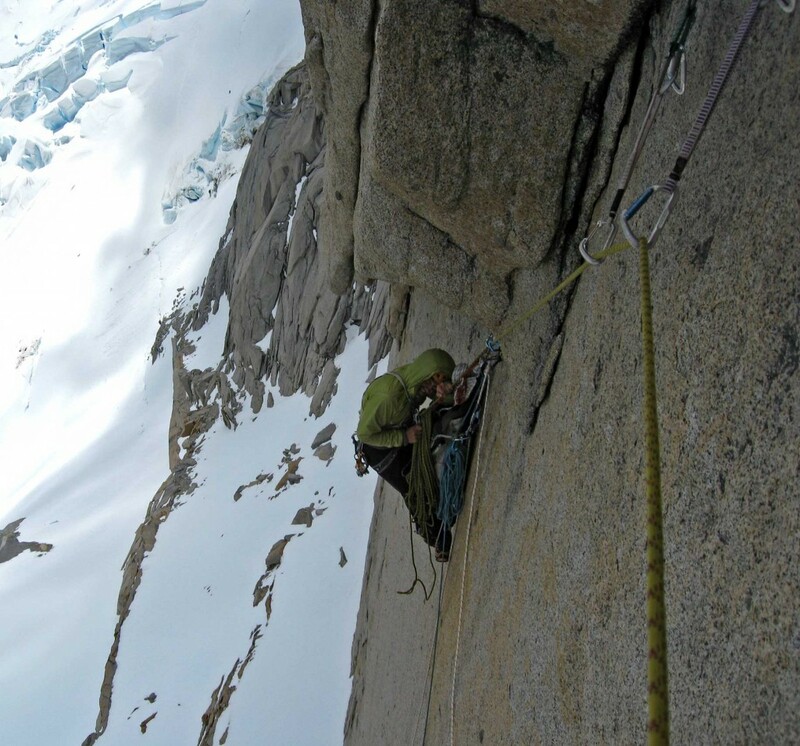 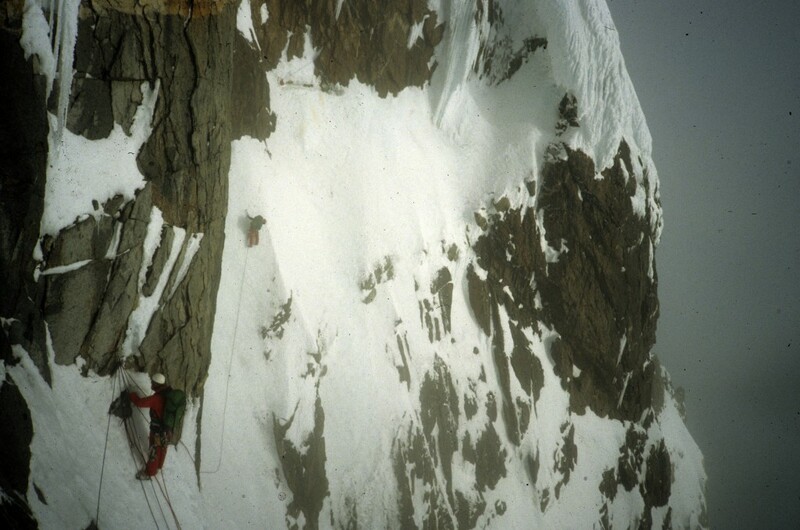 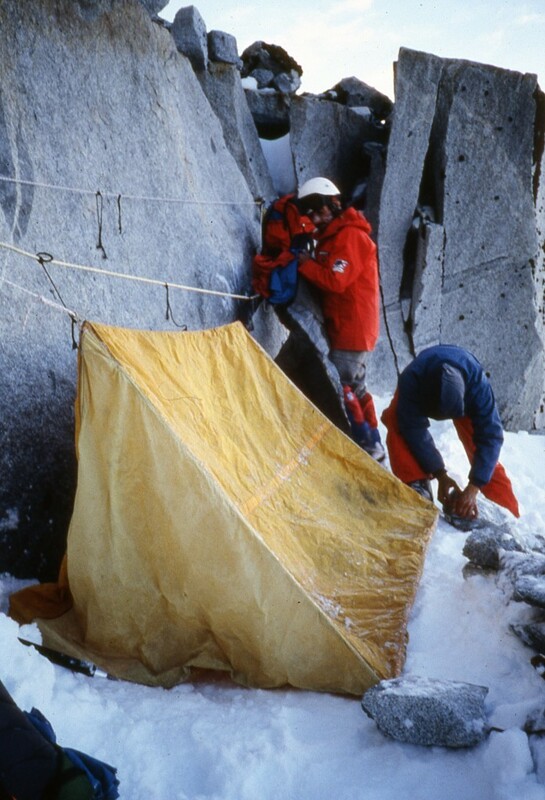 Ans Christmas 1986 saw Spiders opened a new route on Central tower of Paine, again in Patagonia, the more challenging alpinist area of the world. 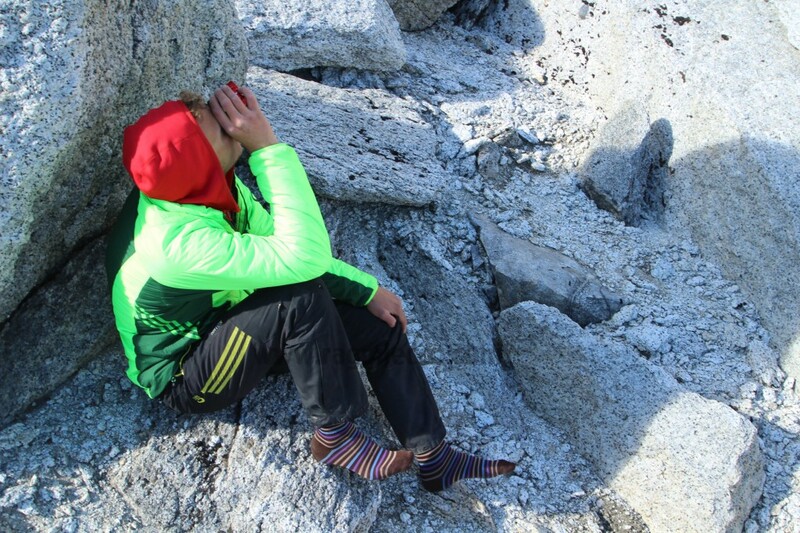 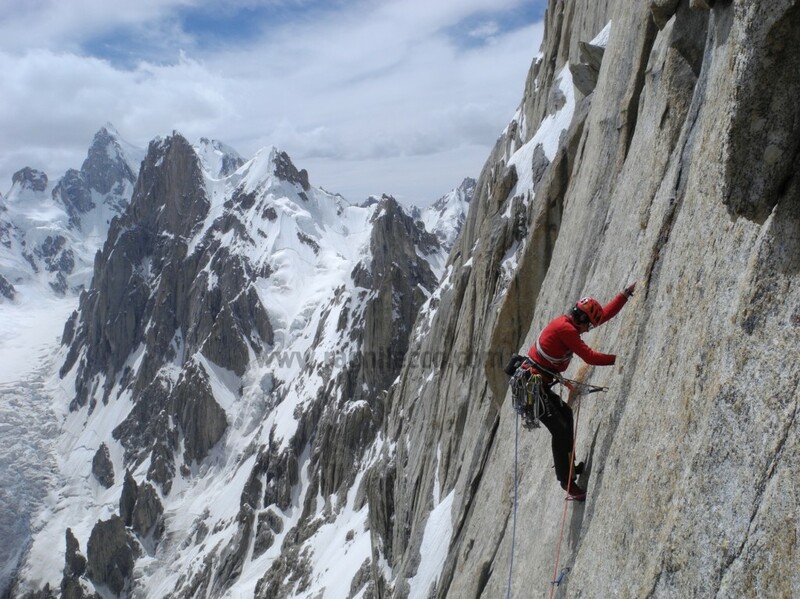 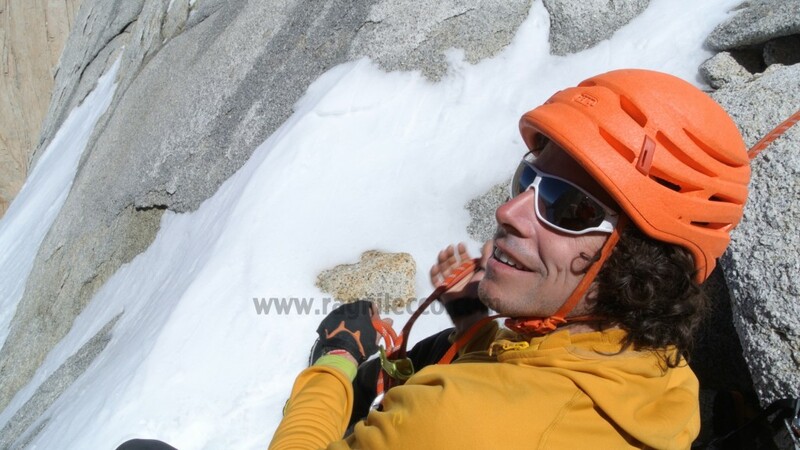 In 90’s years a young team opened a new route on Ogre Thumb, with difficulties up to 8a, and this is the first time we meet the name fo Simone Pedeferri, destined to become a protagonist of the following years. 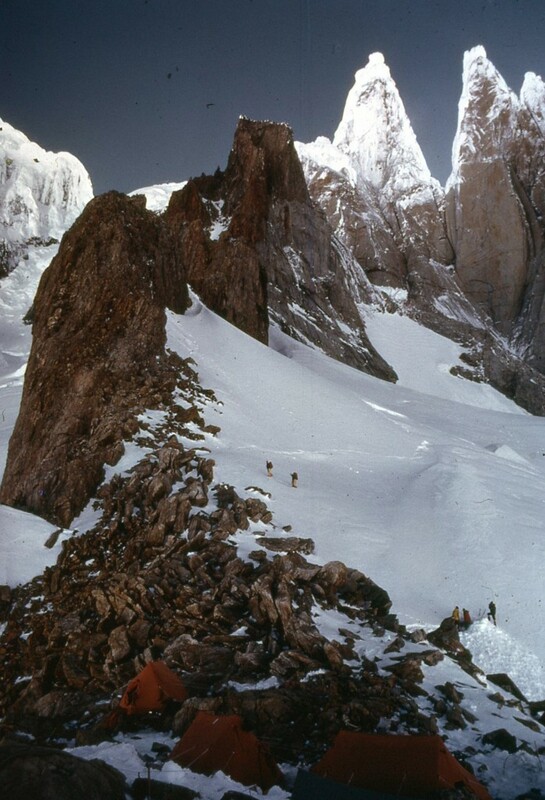 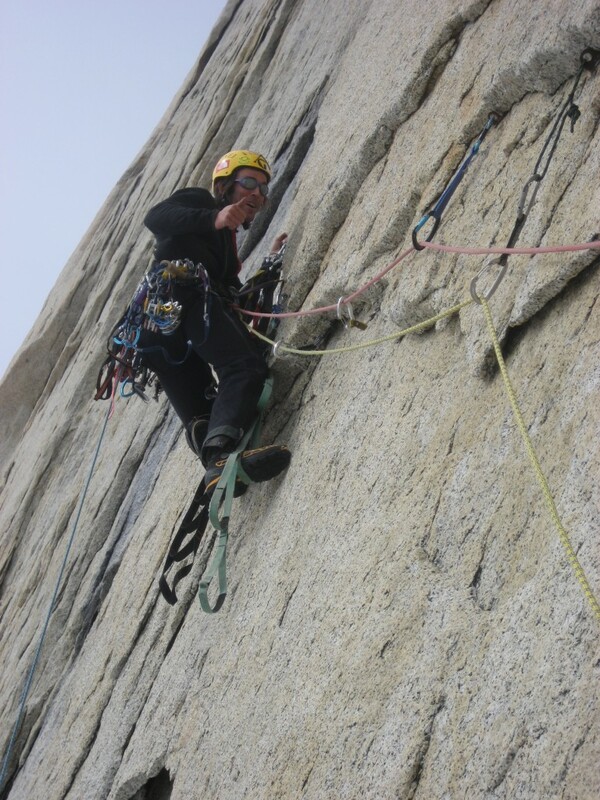 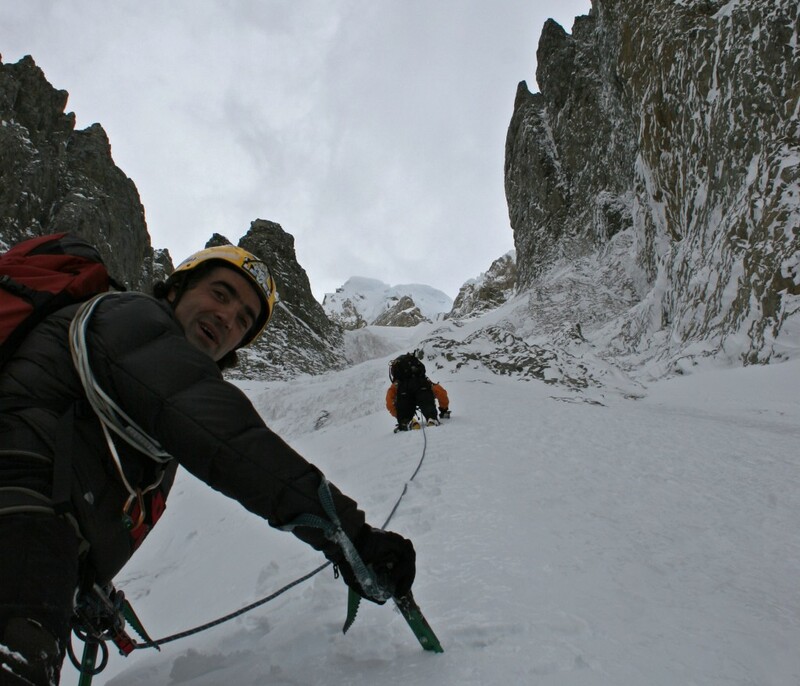 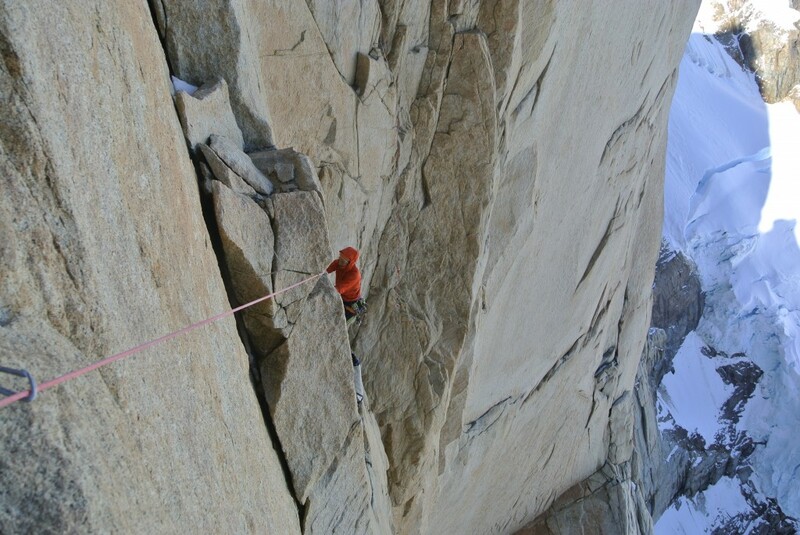 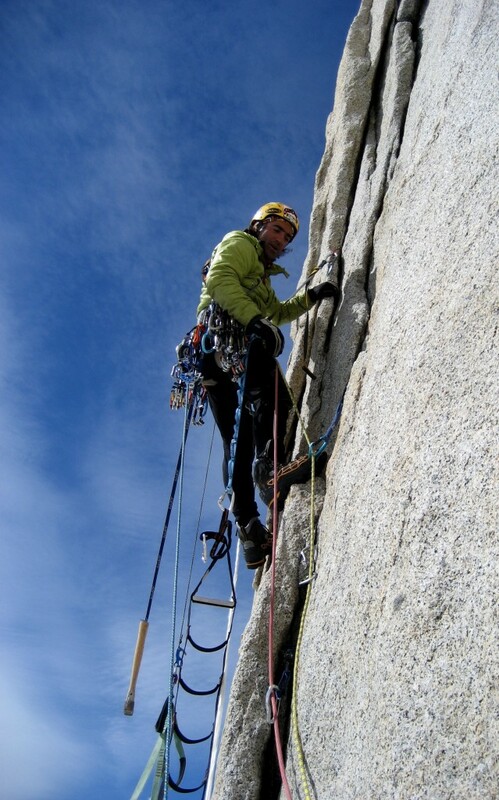 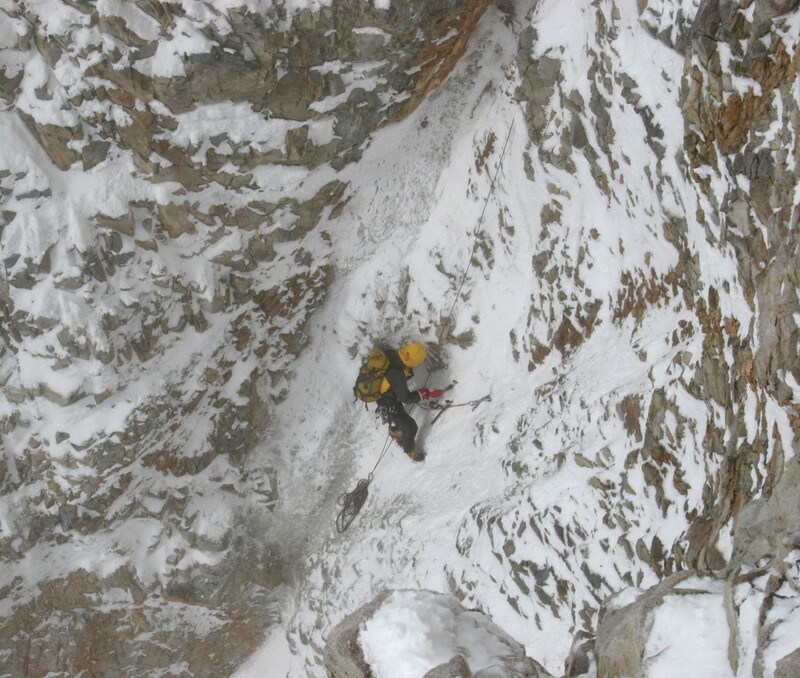 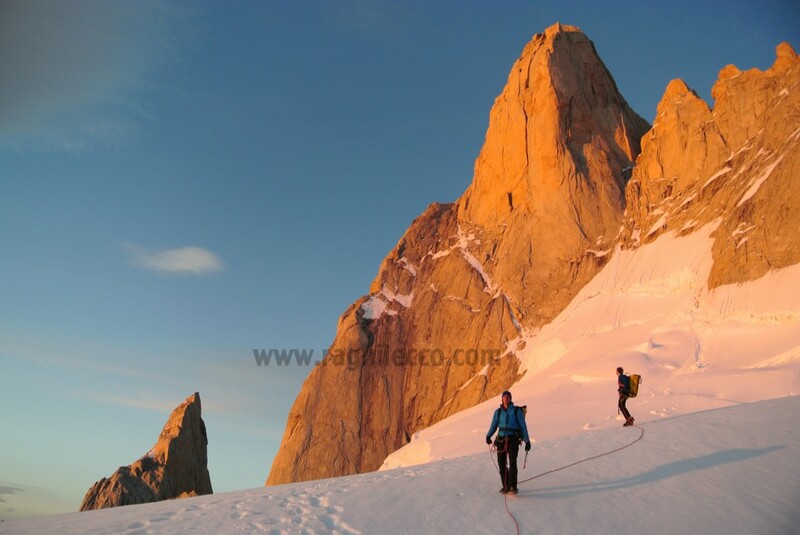 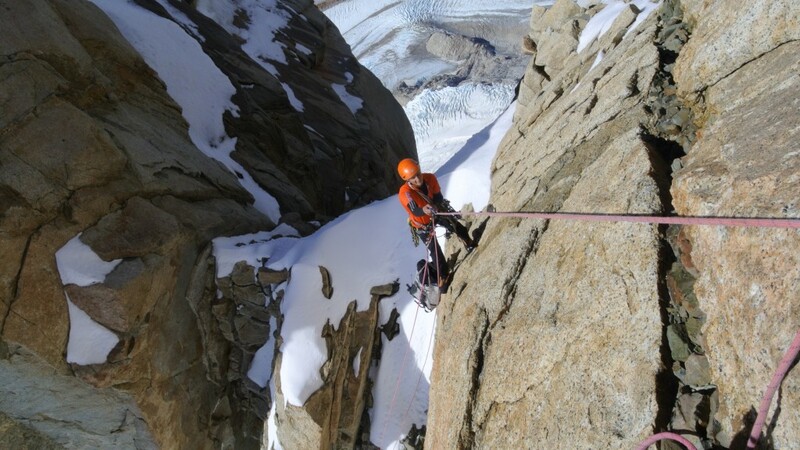 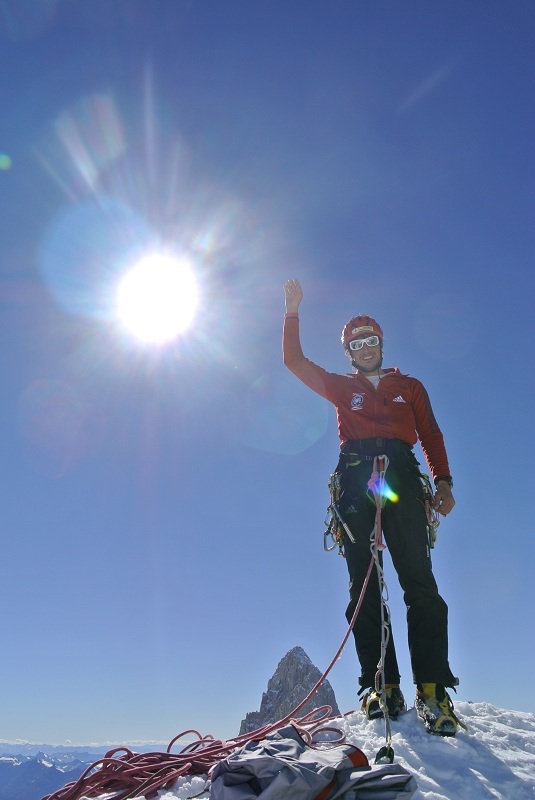 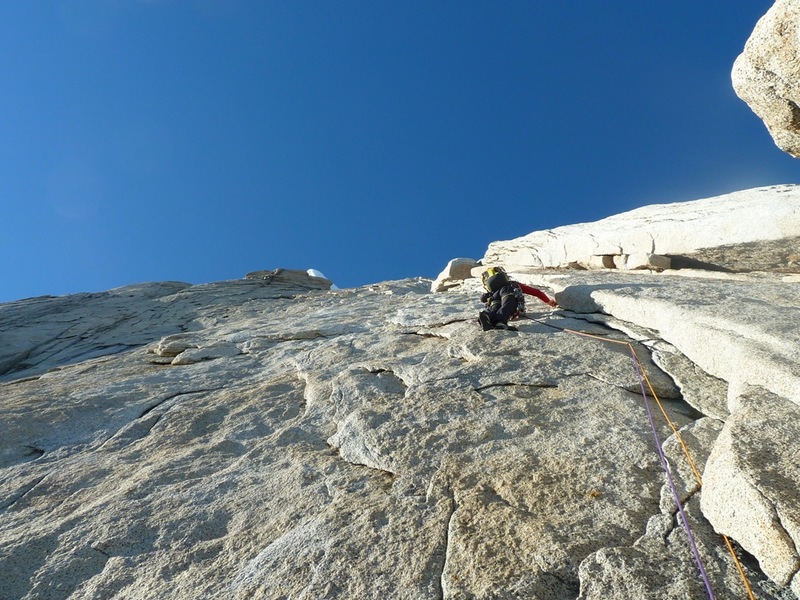 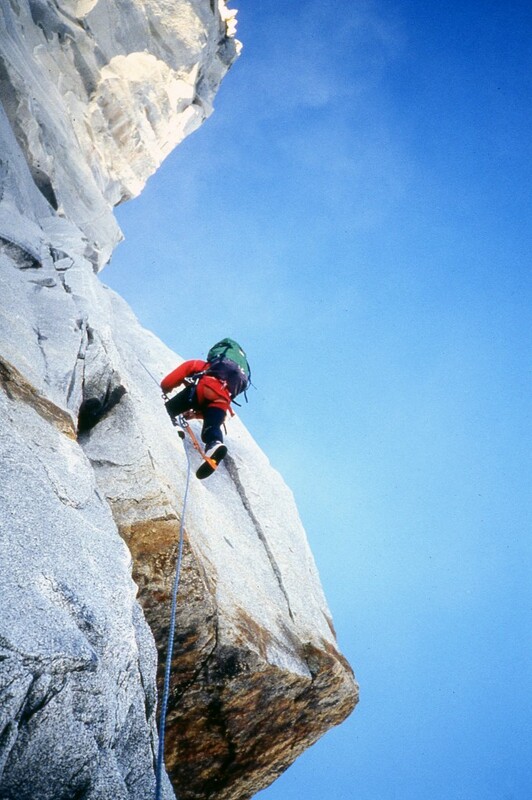 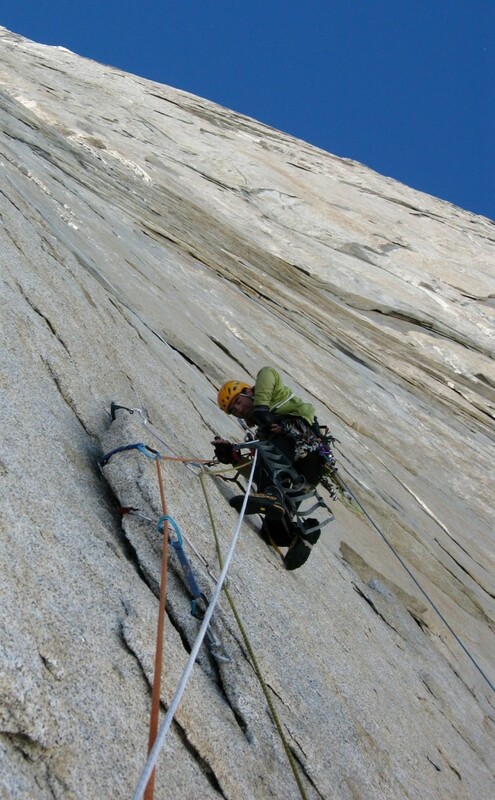 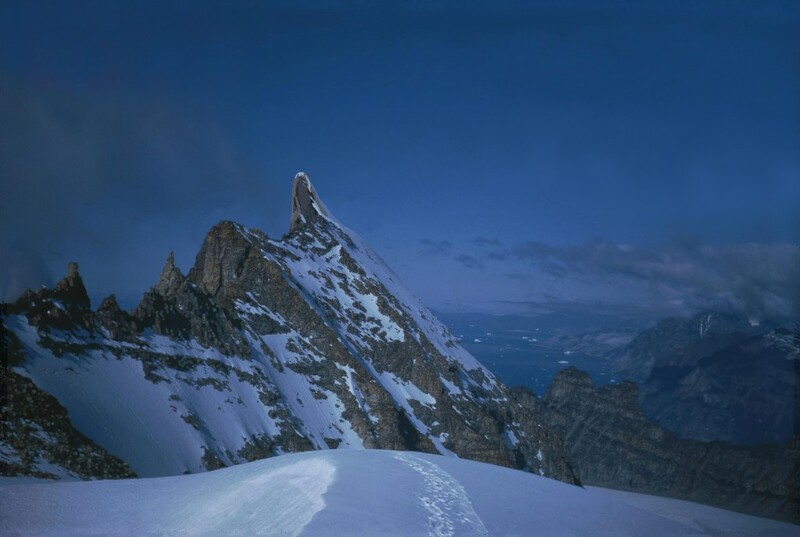 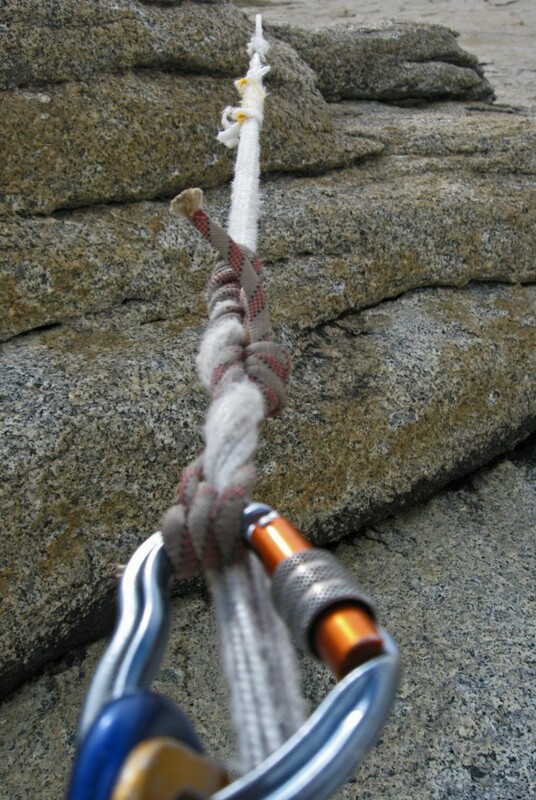 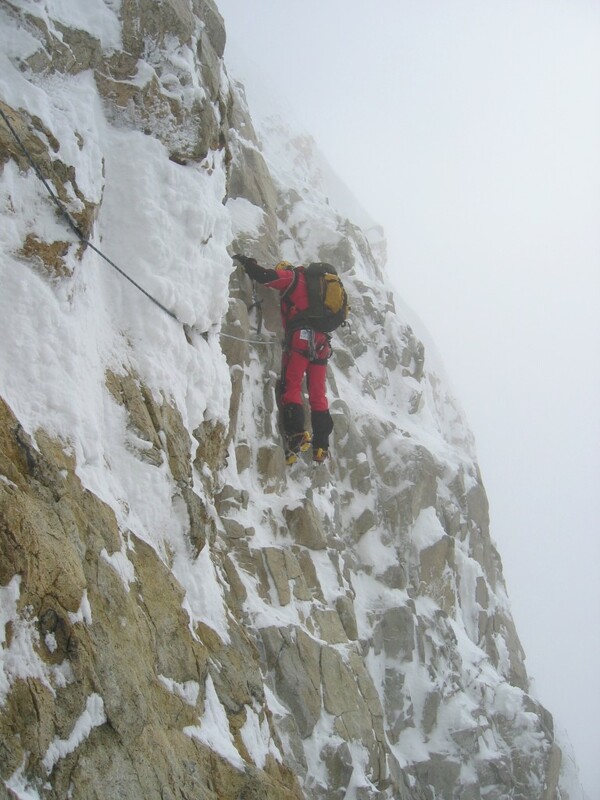 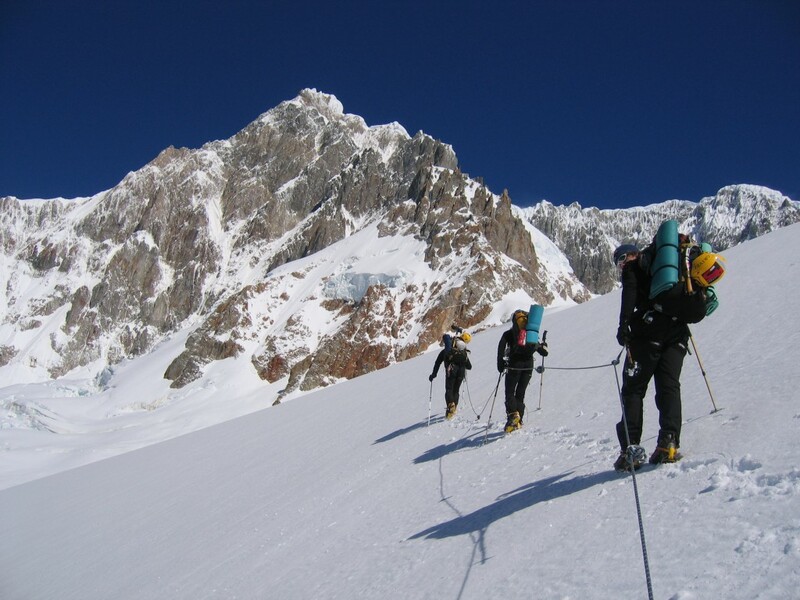 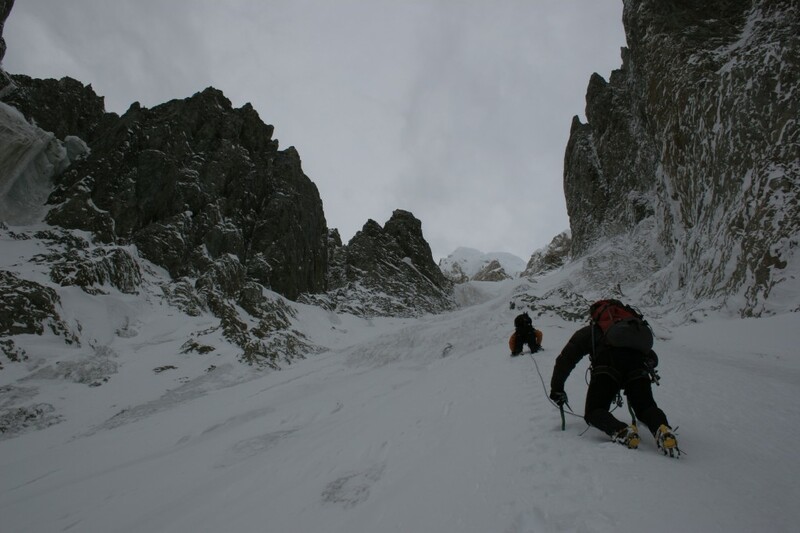 Free climb skill helped the group to stay in line with the alpinism evolution, as attested by “Joy division”, the hardest granite route of Europe, climbed by Pedeferri in 2004. 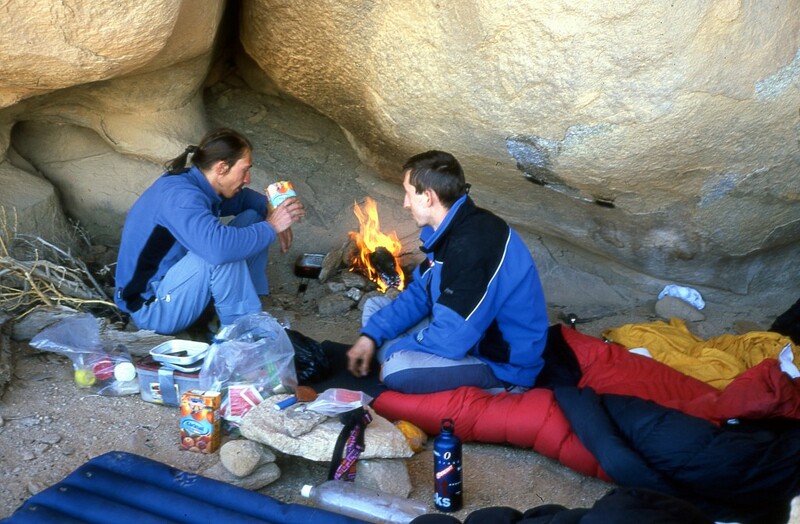 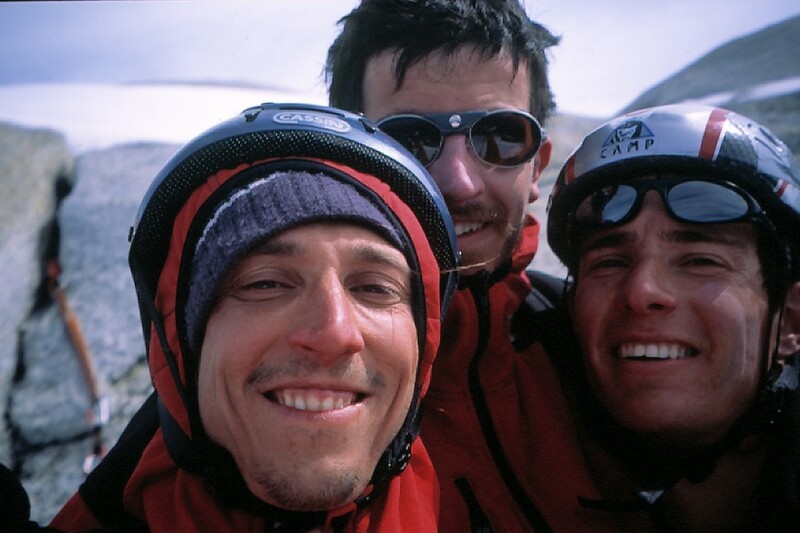 In 2005 Fabio Palma find in the young talent Matteo Della Bordella the right partner to open the psycho “Portami Via”, Wendenstocke, and in 2006 the group decides to celebrate the 60 years storyboard of the group by opening more than 15 new routes, some of them definitevely world class route, like “qui io vado ancora”, Rurec valley, Perù, by Fabio Palma, Andrea Pavan and the team leader Simone Pedeferri, and “Mes Amigos”, Siula Grande, by Silvano Arrigoni and Lorenzo Festorazzi. 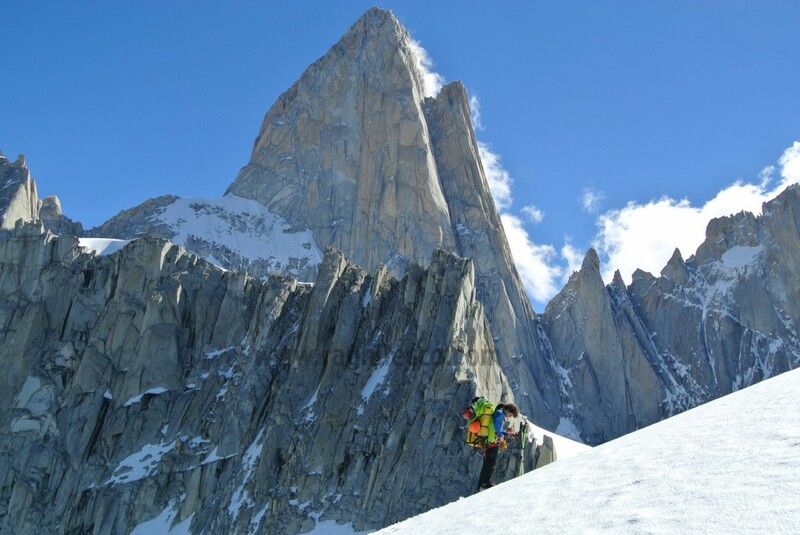 In the same period Matteo Bernasconi and Giovanni Ongaro climb the unclimbed Sud West pillar of San Lorenzo, giant mountain of Patagonia. 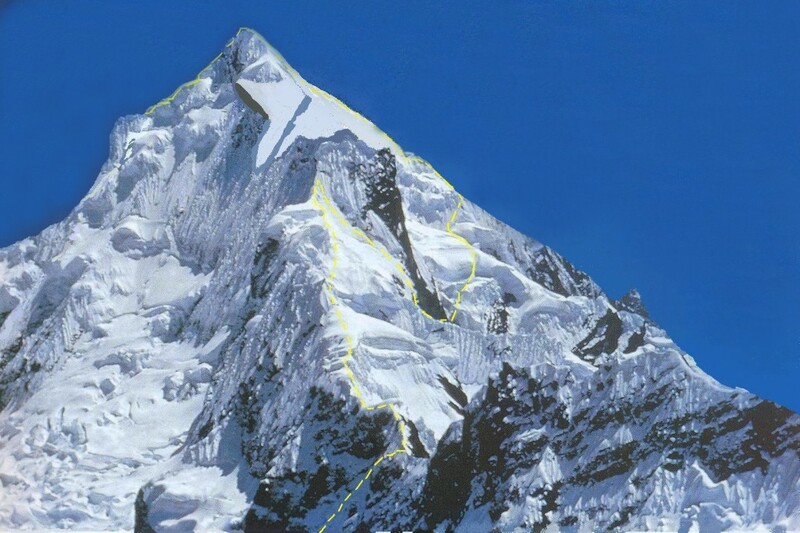 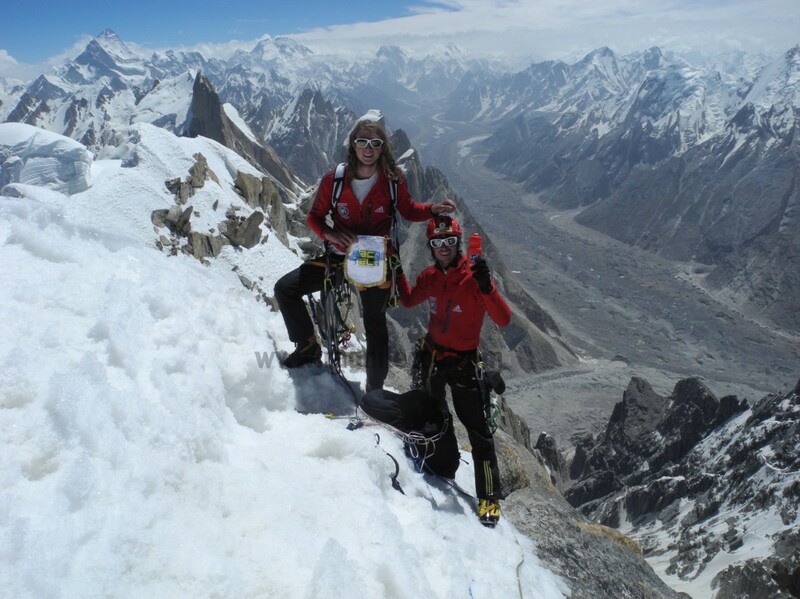 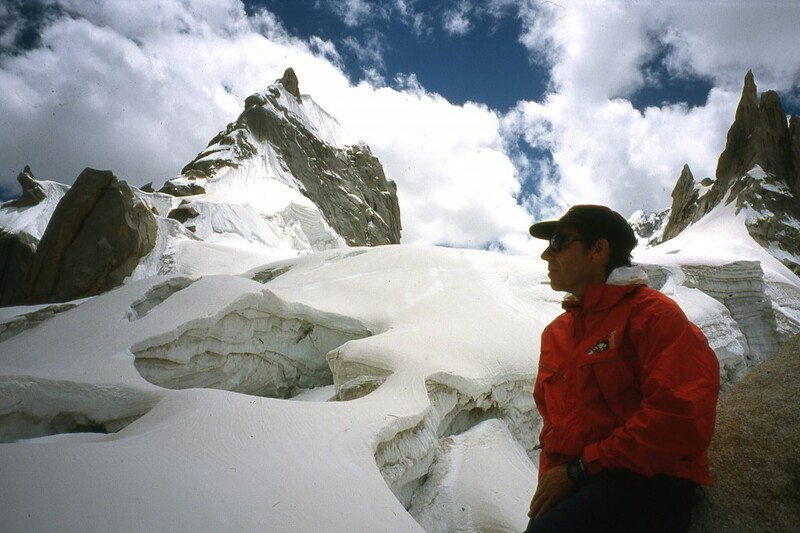 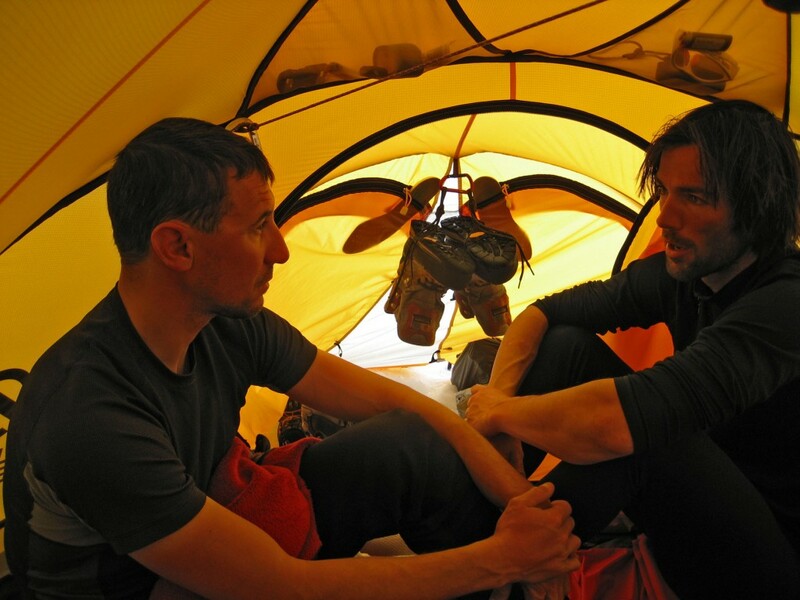 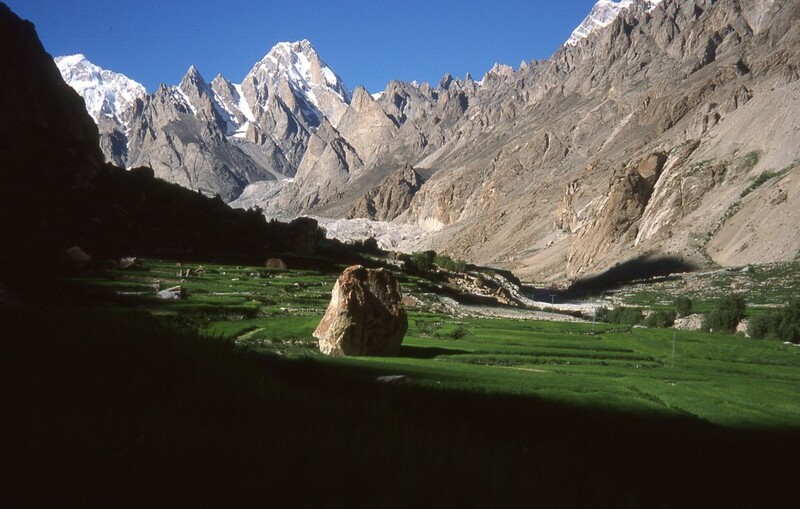 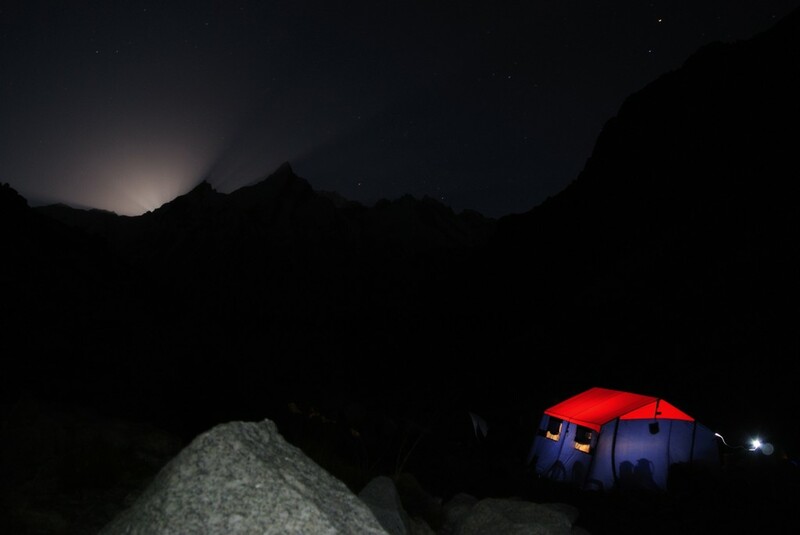 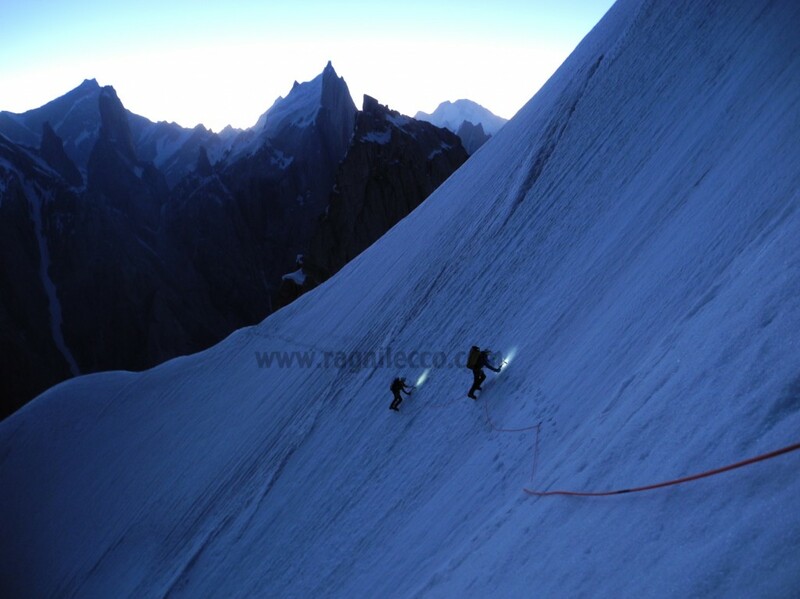 2007 is the year of one of the few new route opened on a 8000’s mountain in the new century, and the epic ascent is done by Daniele Bernasconi together with Karl Unterchiirker, over Gasherbrum II. 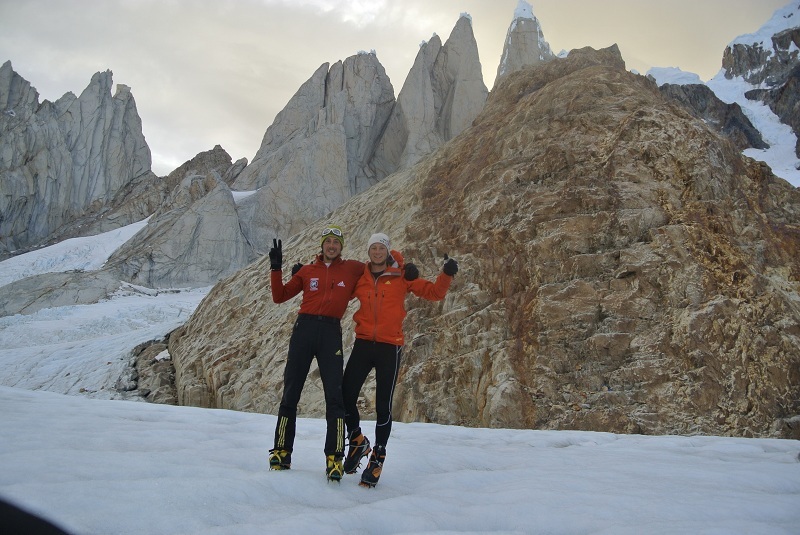 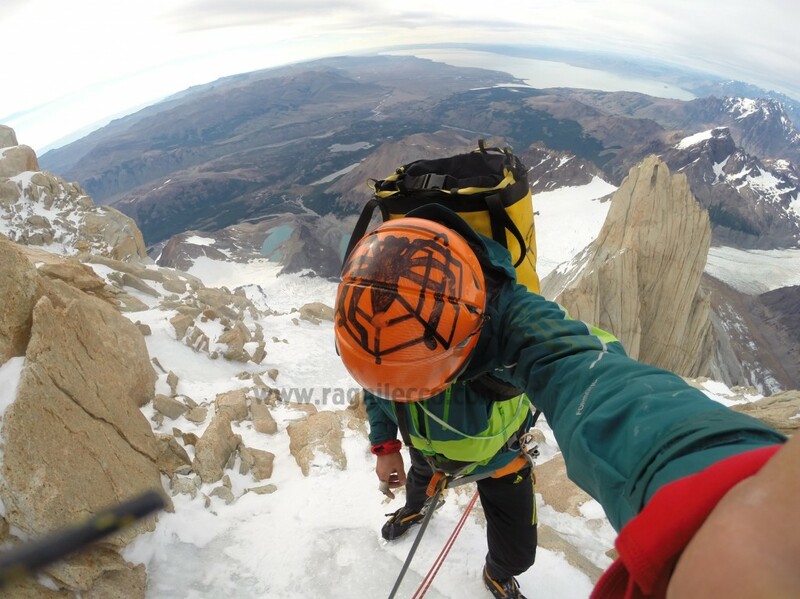 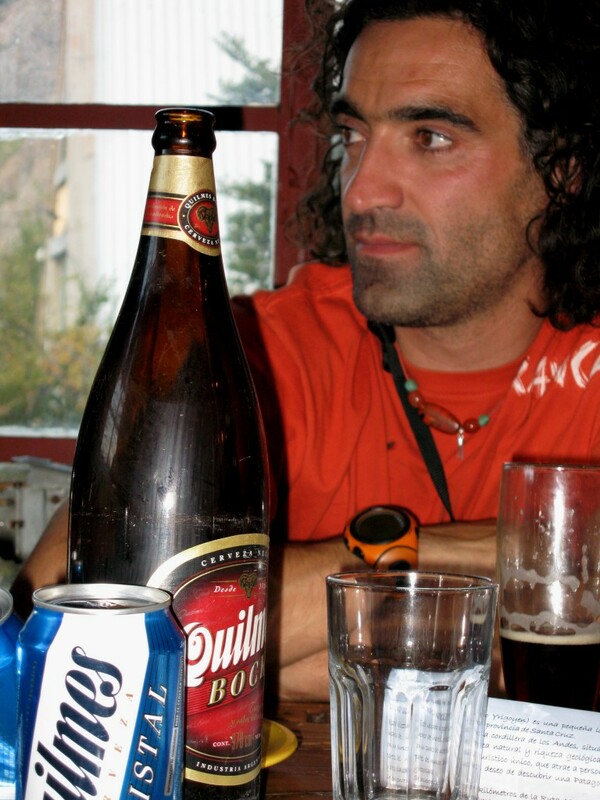 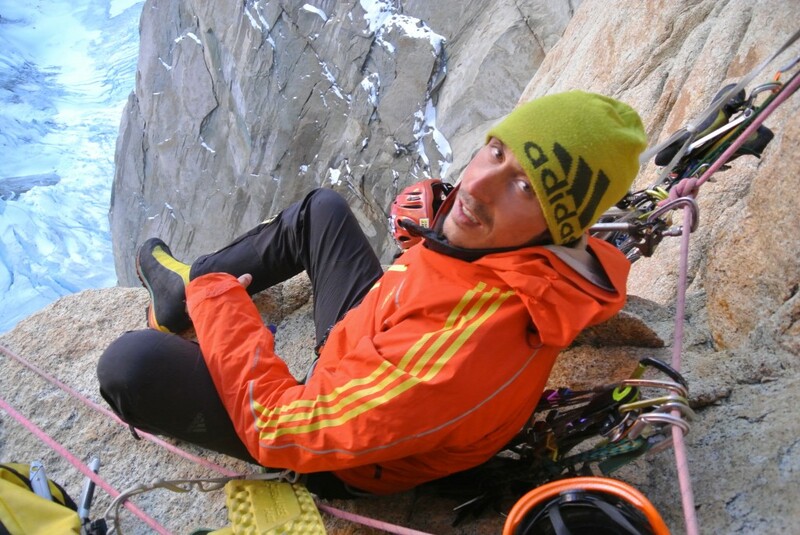 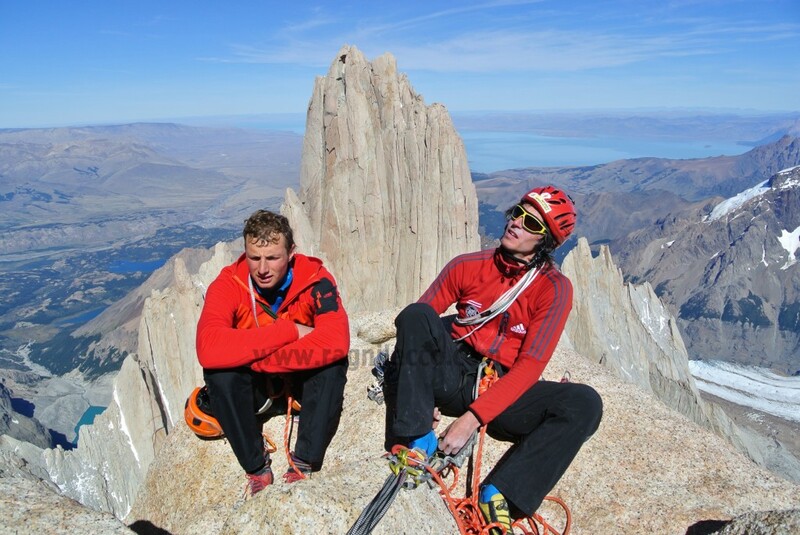 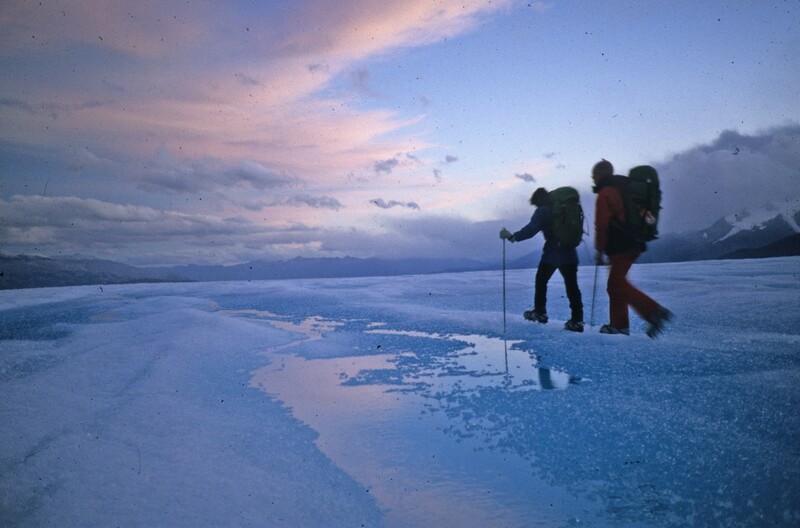 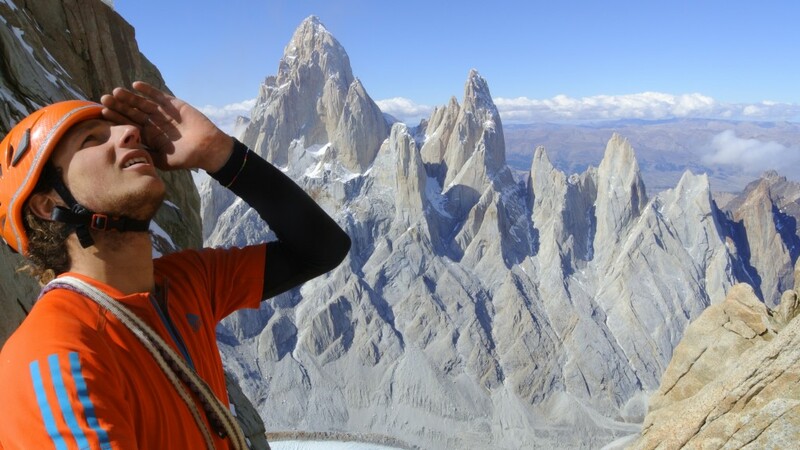 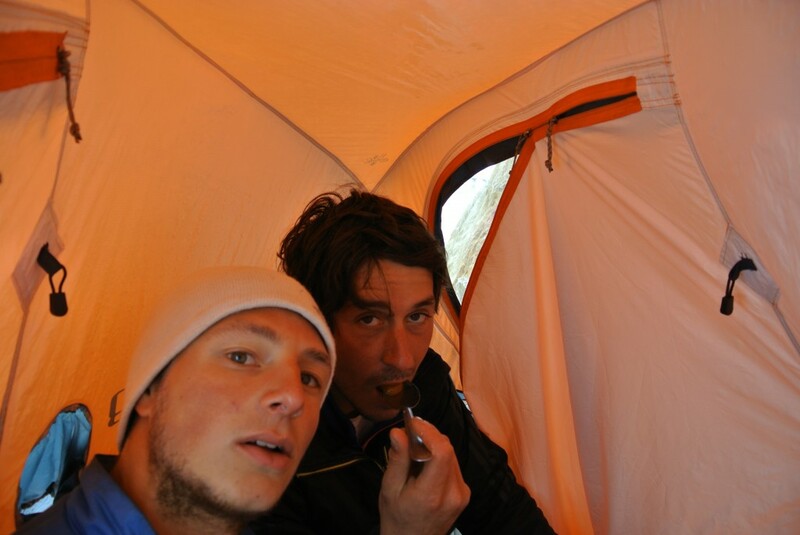 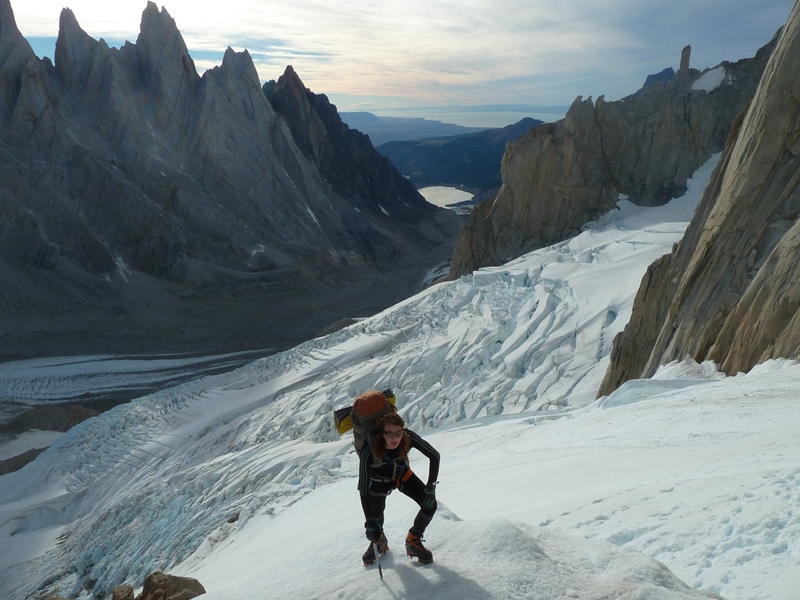 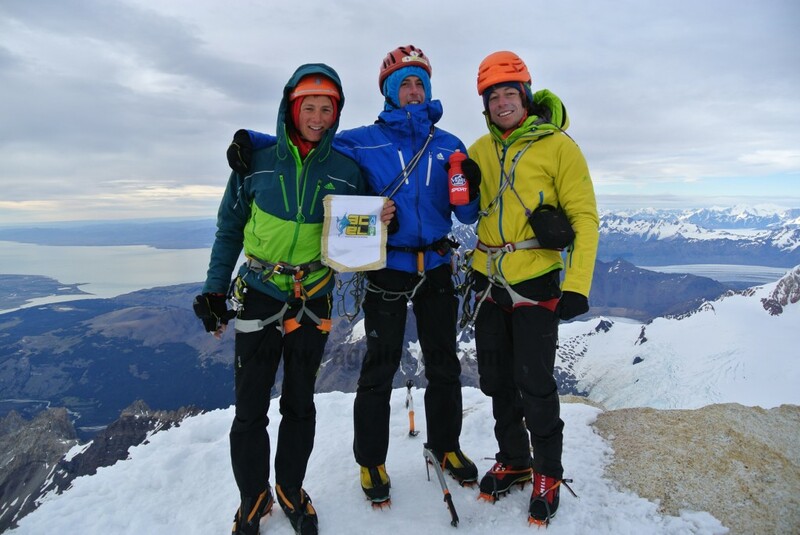 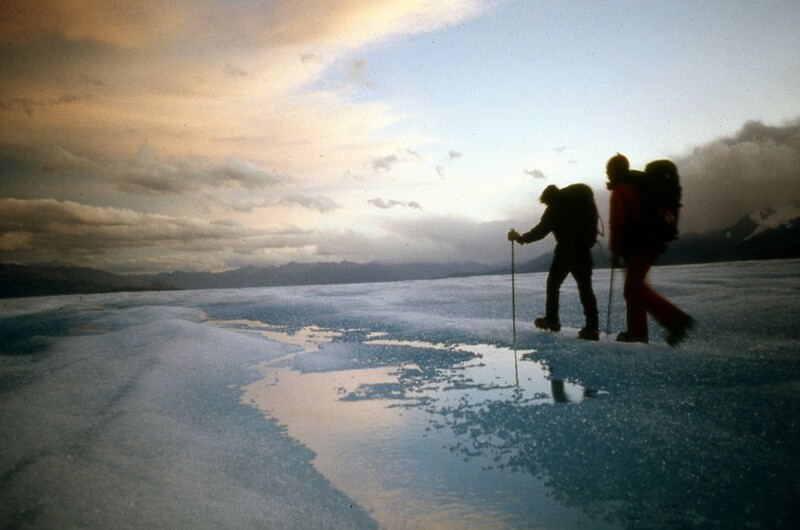 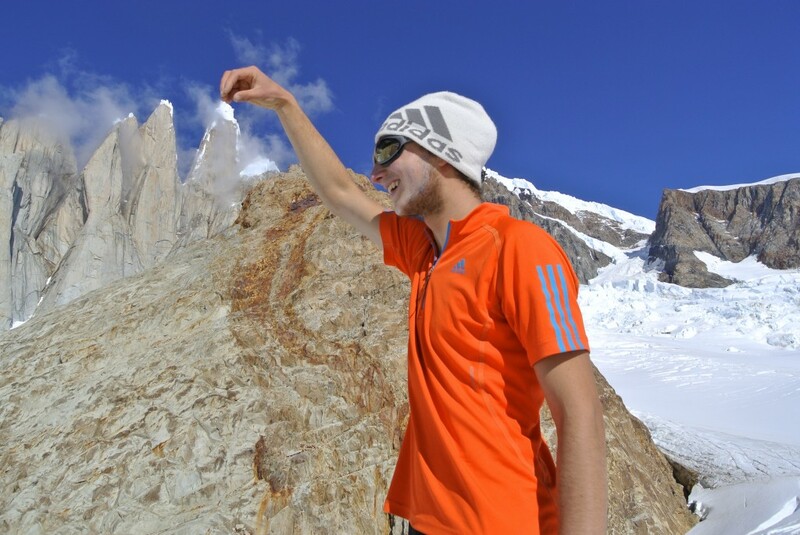 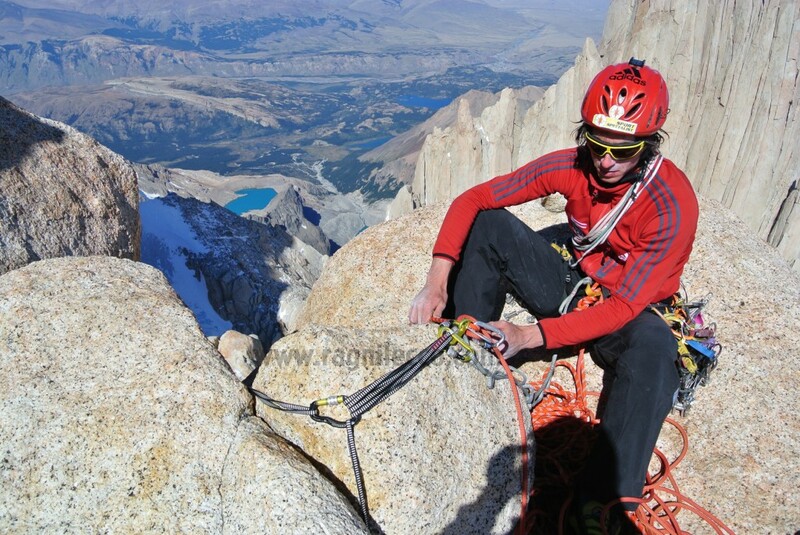 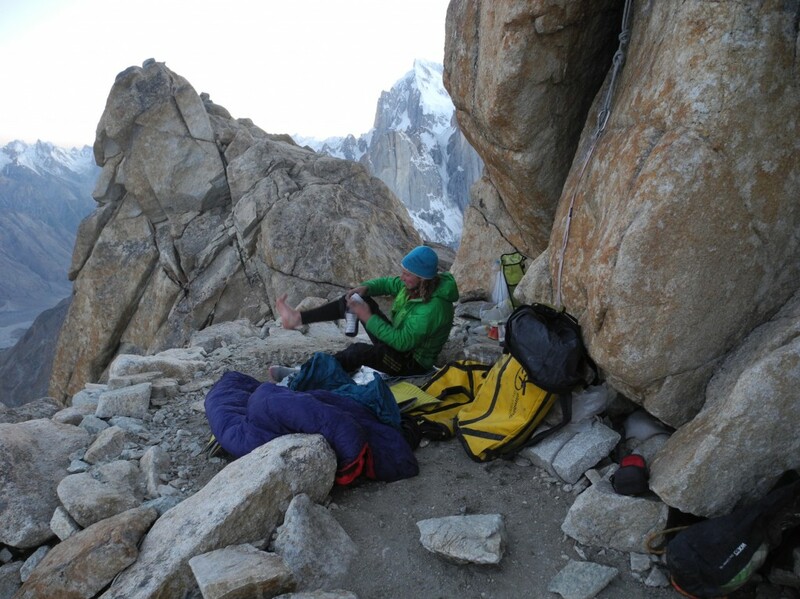 The year after is the end of an infinite story (many failed expeditions before…), because finally Christian Brenna, together with H. Barmasse, and with the decisive lead of Giovanni Ongaro (hit by a stone fall 200 mt below the summit), arrived at the top of Cerro Piergiorgio, another isolated big wall of Patagonia. 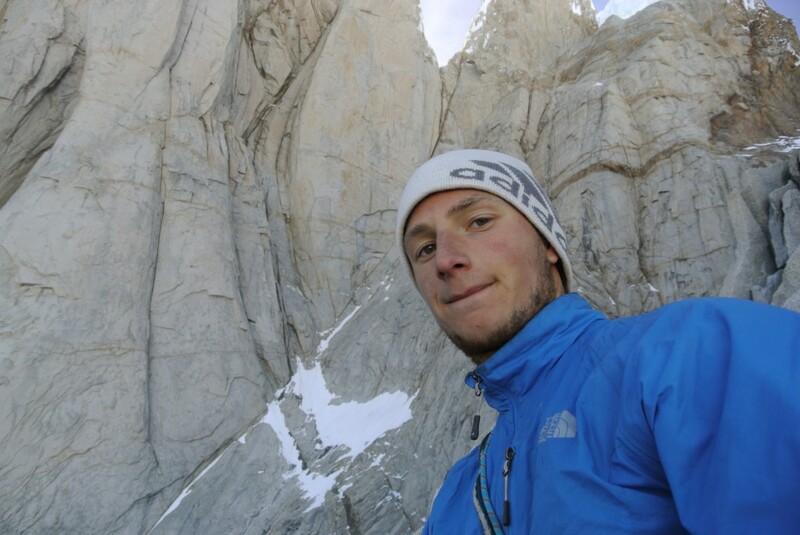 In the Alps, “Coelophysis” is the strange name of a masterclass route opened by Matteo Della Bordella, Fabio Palma and Adriano Selva in Wendenstocke. 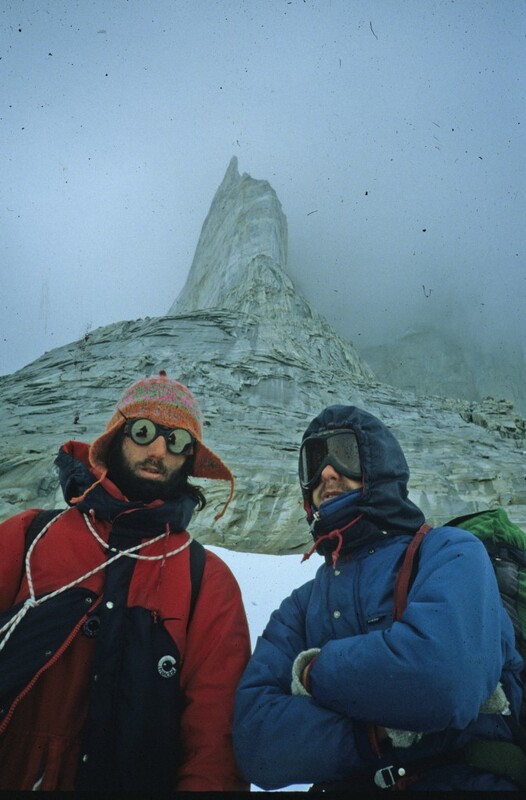 In the same year, a very long long story, the first ascent of Cerro Piergiorgio, finally got the end thanks to Hervè Barmasse, Christian Brenna and Giovanni Ongaro. 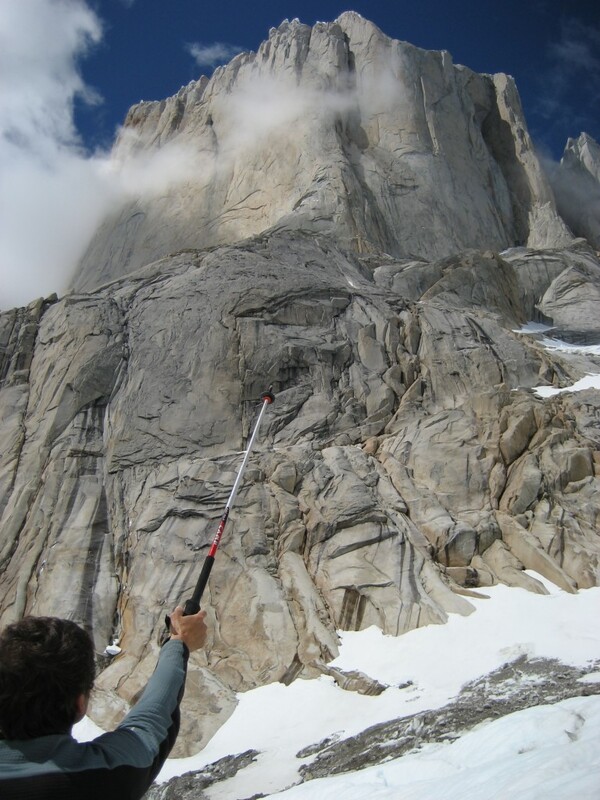 In 2009 Matteo Della Bordella and Simone Pedeferri go to Greenland, and export their high skill by opening, on sight up to 7b+, four trad routes. 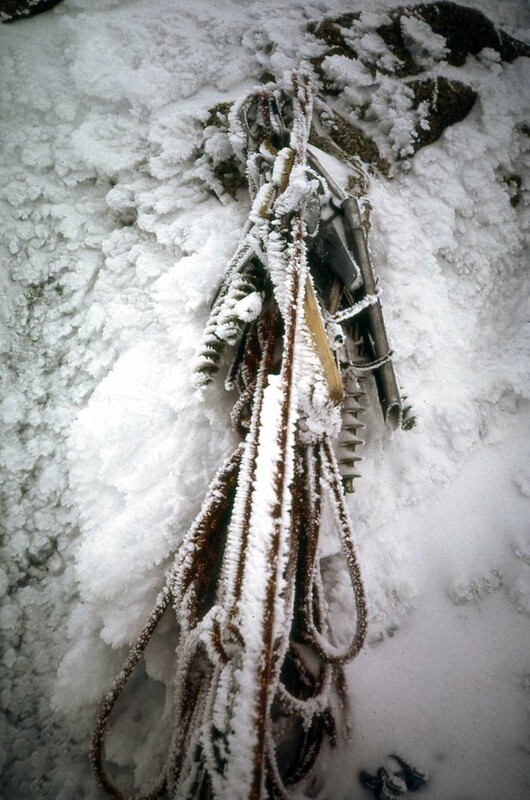 Last years are current history. 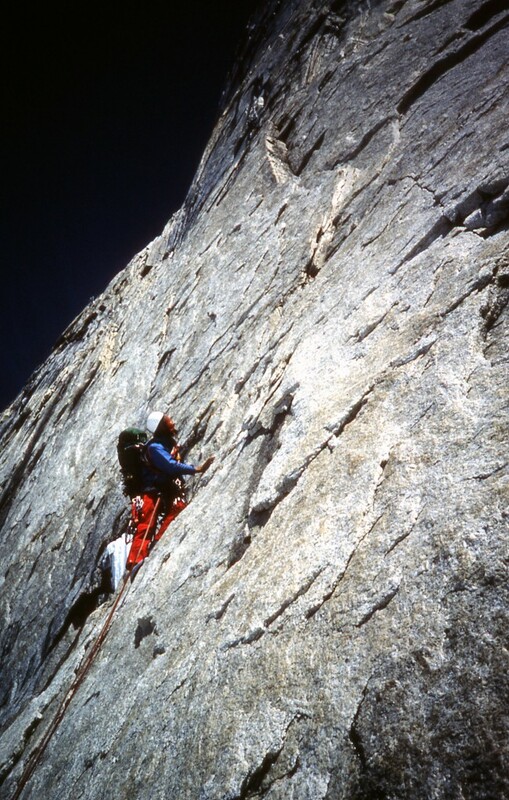 It’s the history of the well known “Infinite Jest”, scared and high technically level route of Wendenstocke, ended after three years by the consolidated duo Della Bordella-Palma. 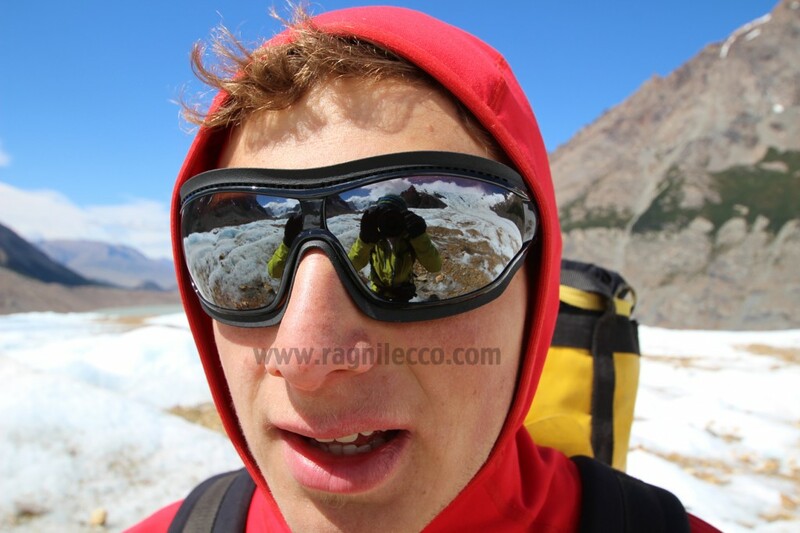 You can find story and photogallery in the web site, and nice video in our youtube channel. 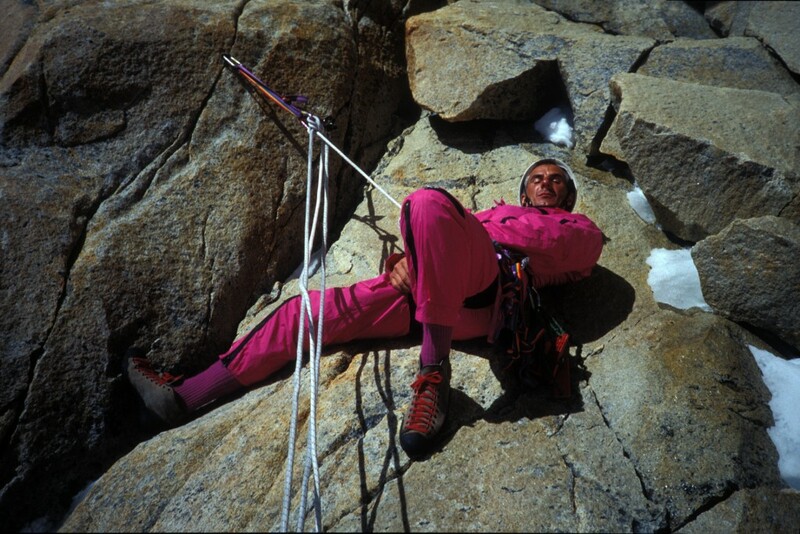 Matteo Della Bordella is also the leader of the scary route “Non è un paese per vecchi”, in the Tessin canton of Switzerland, and one of a more prolific repetitor of Alps routes, with an unbelieveble list of first repetitions in Dolomite, Titlis, Tessin. 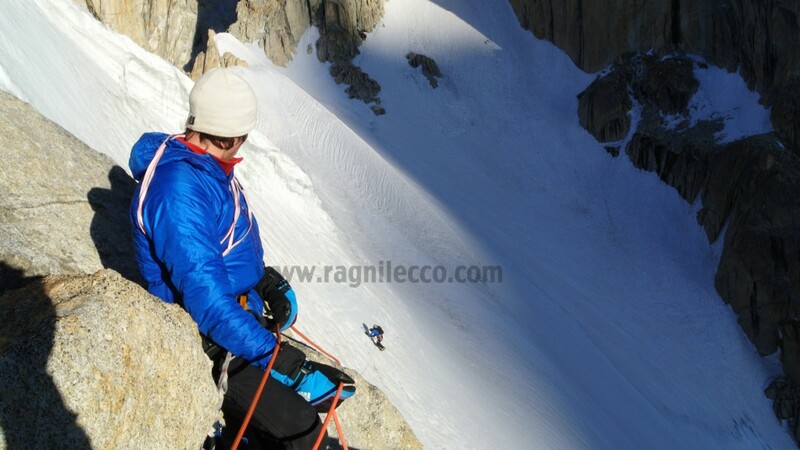 Last but not least, 2011 is also the year of the free climbing ascent of the old “Det route”, over the Sasso cavallo big wall, very close to Lecco, a significative ascent by Matteo Piccardi and Luca Passini. 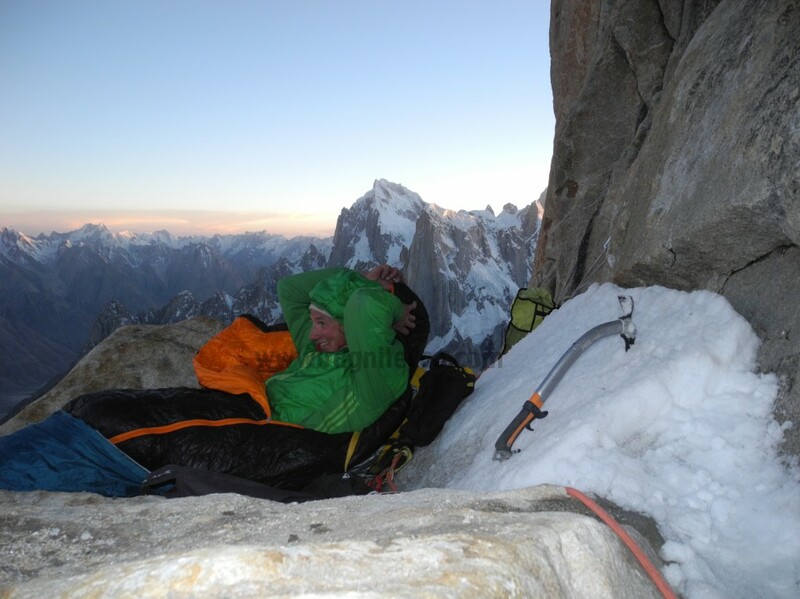 BUT last years are also the two years of the visionary attempt ot West face of Egger, possibly the more ambitious and dangerous target of Patagonia, with Matteo Bernasconi and Matteo Della Bordella taking all possible risks up to a thriller fall only 20 metes below the end of the wall… Finally, in 2013 Matteo Della Bordella and Luca Schiera got the top of this incredible new route. 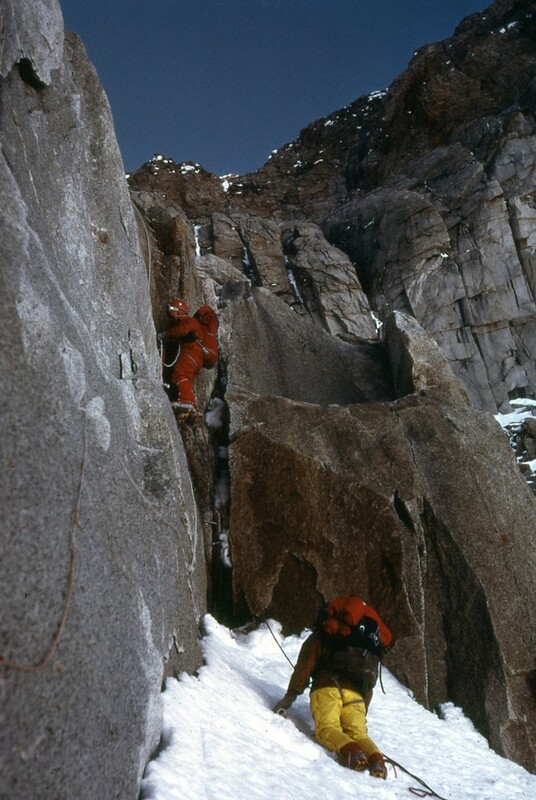 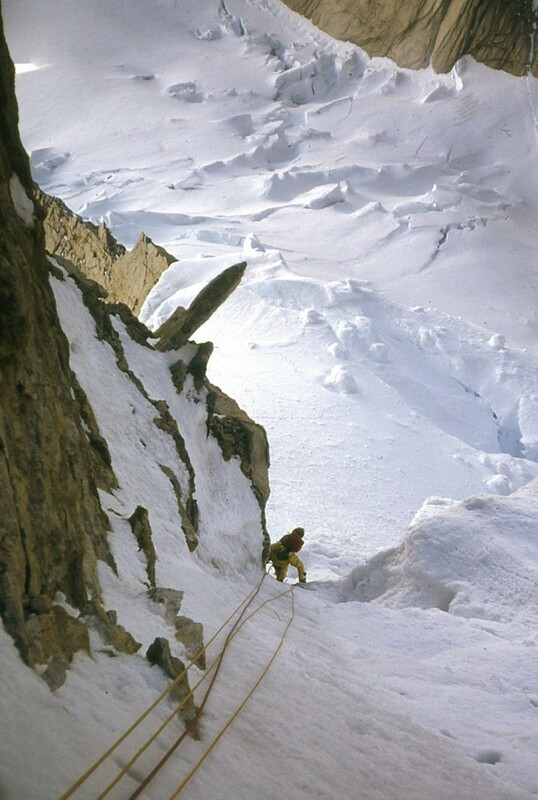 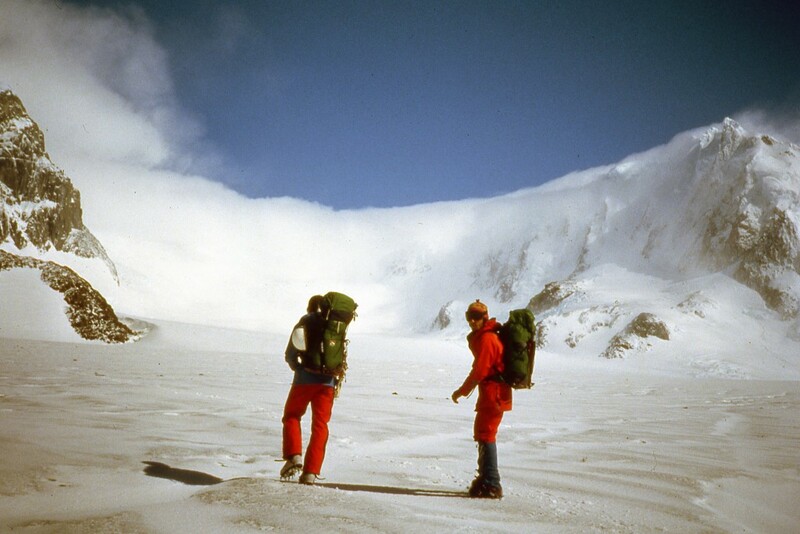 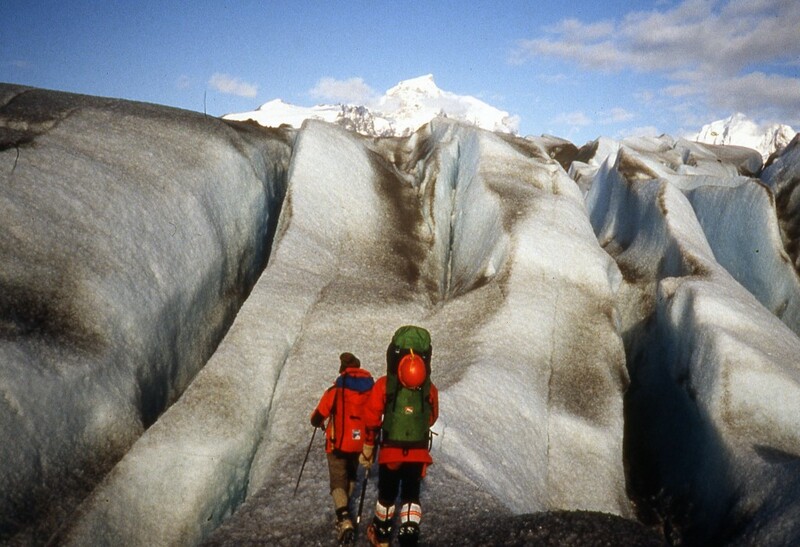 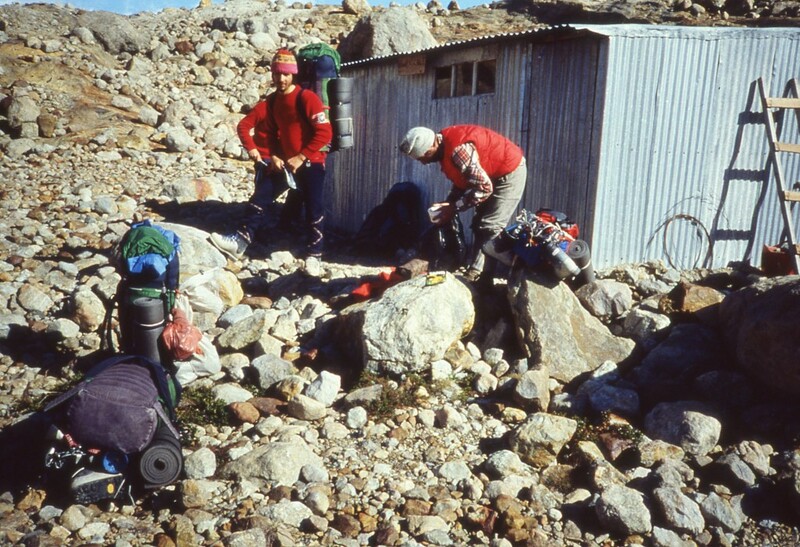 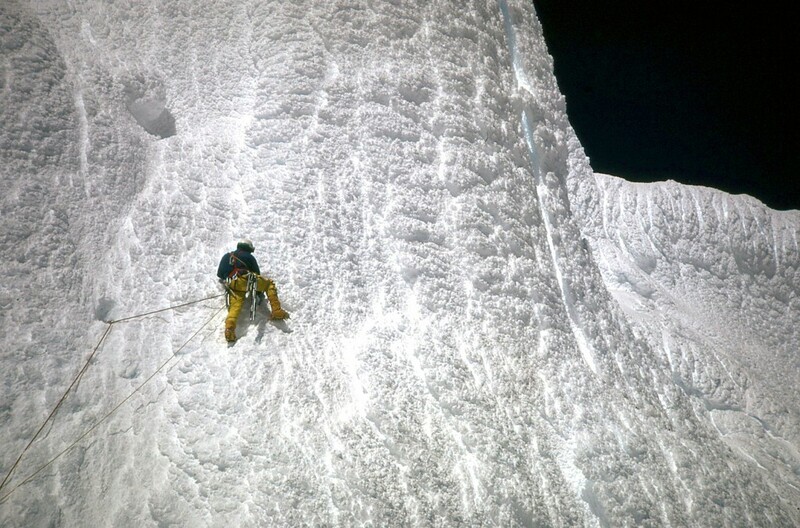 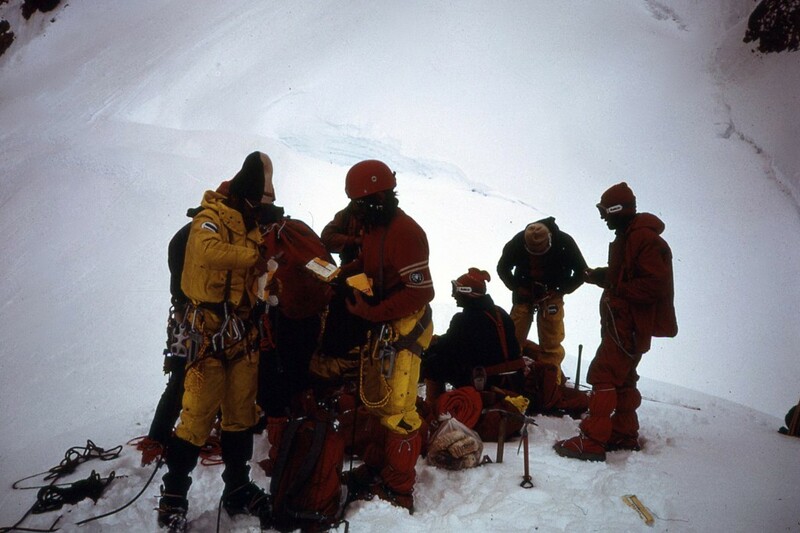 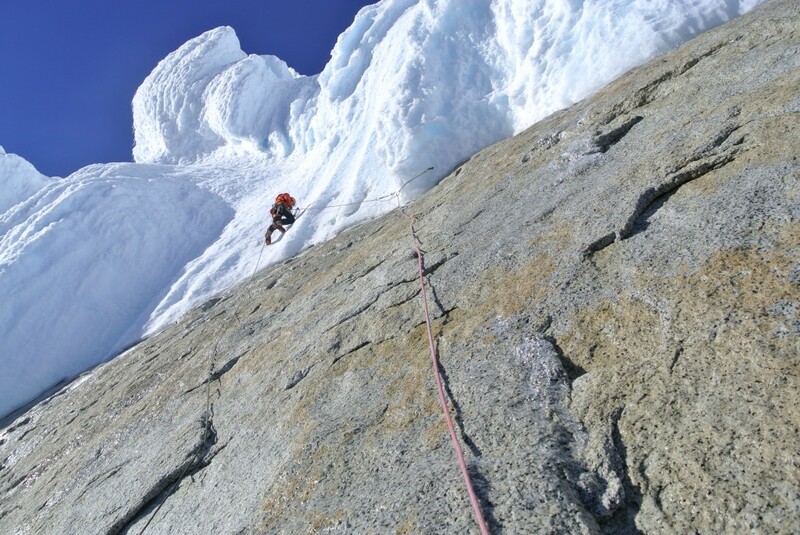 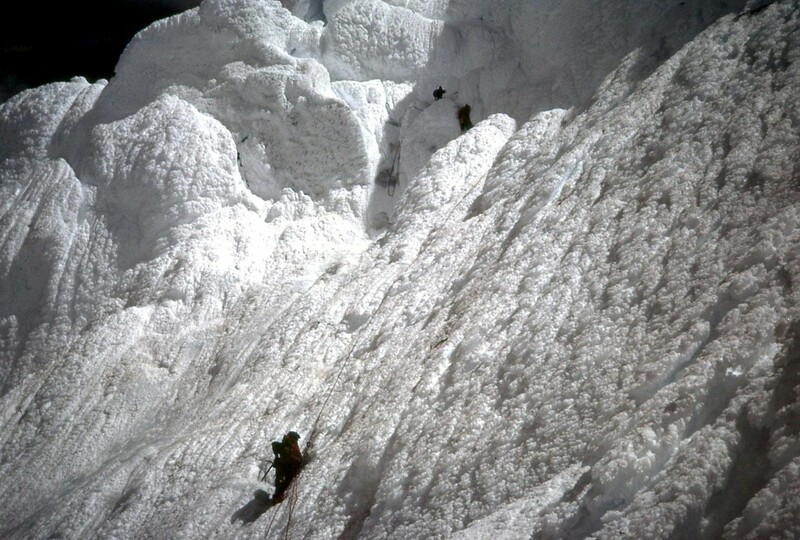 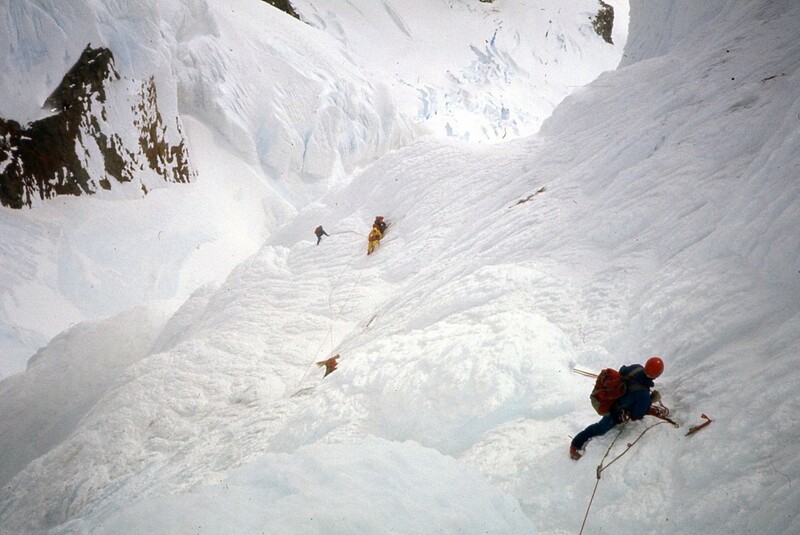 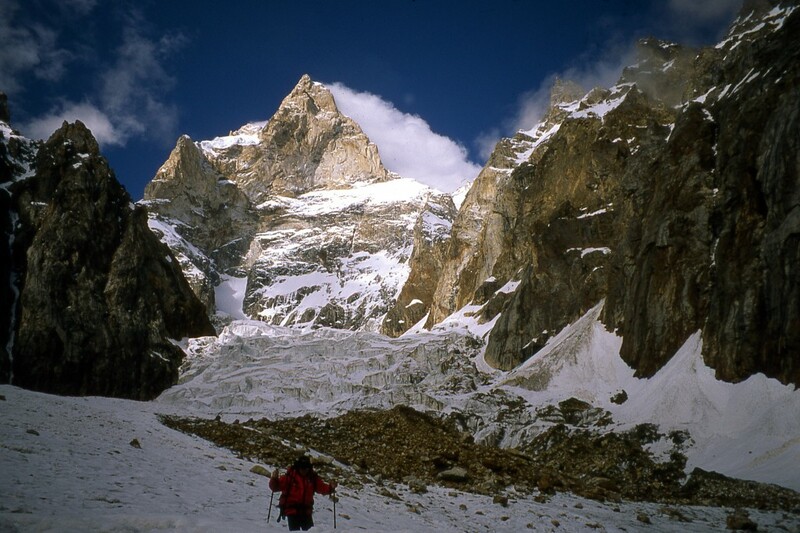 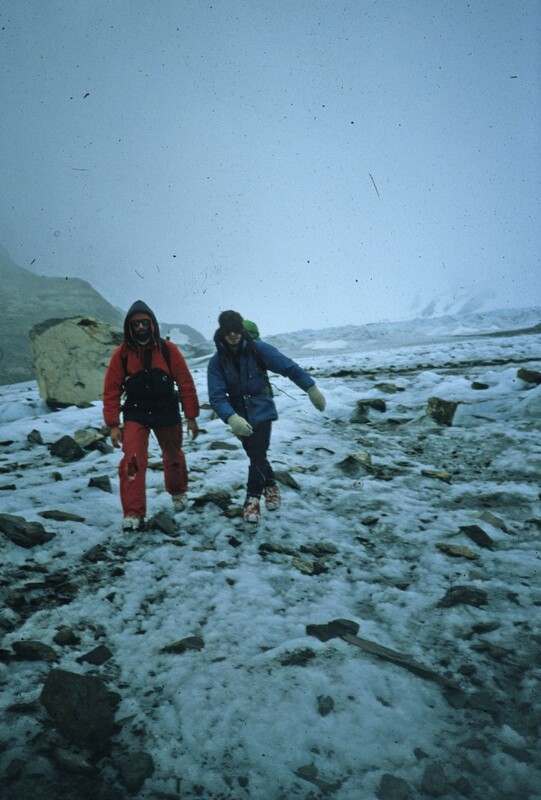 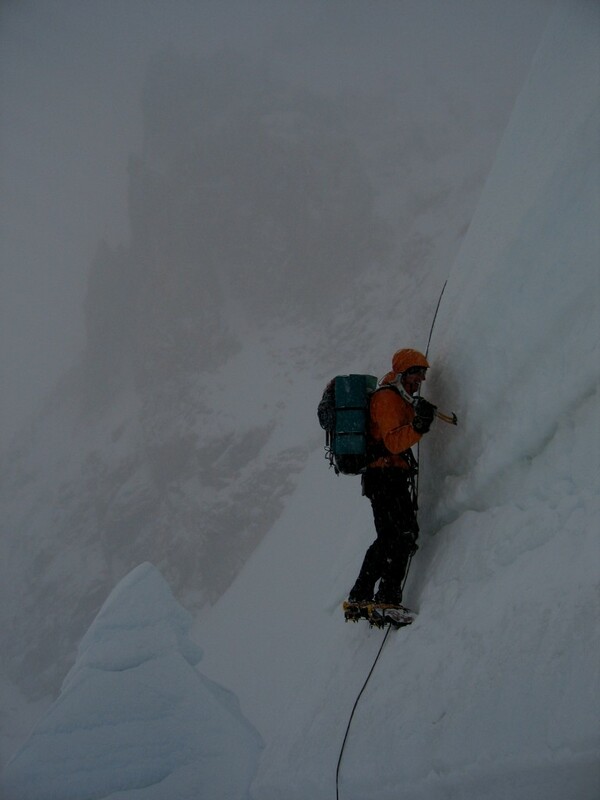 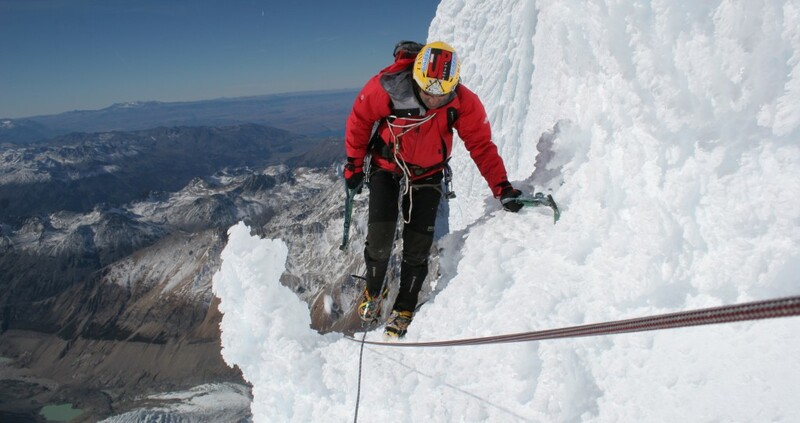 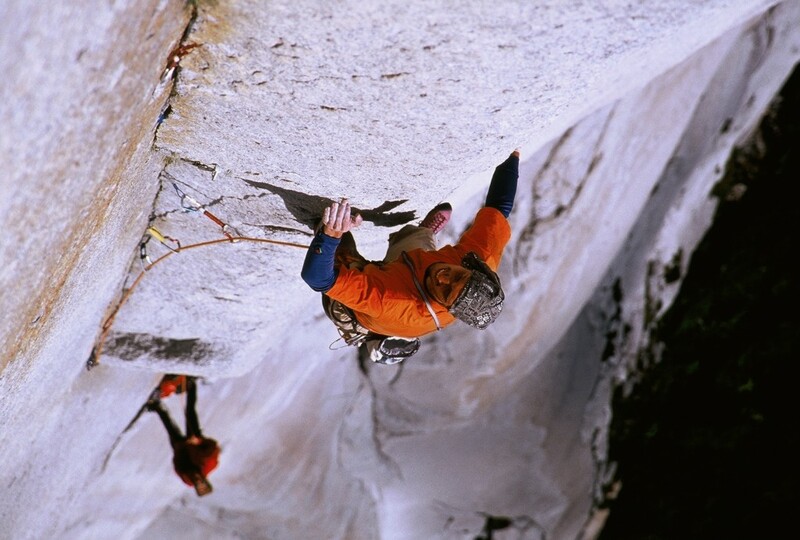 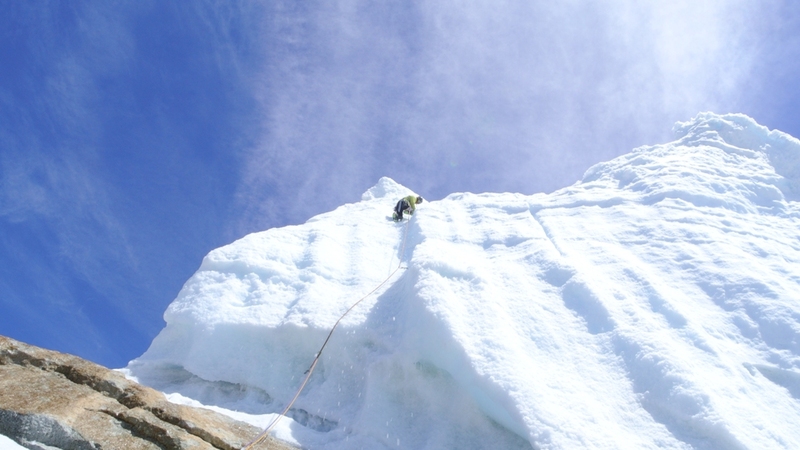 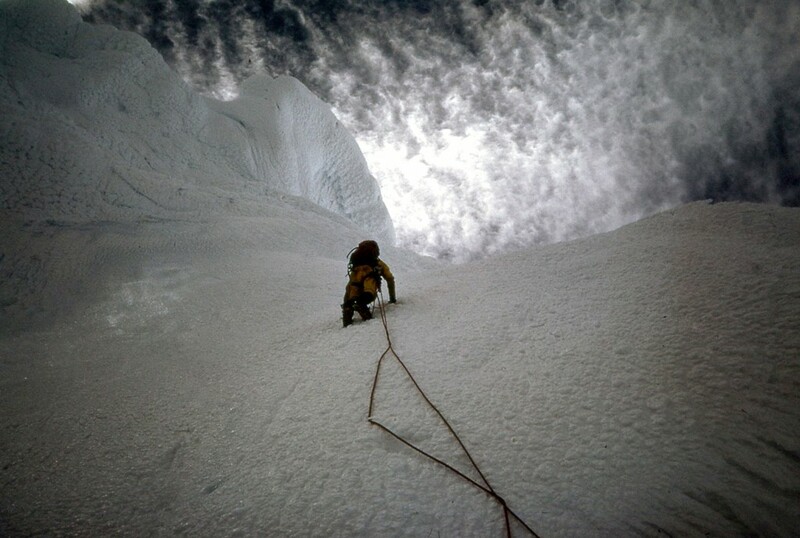 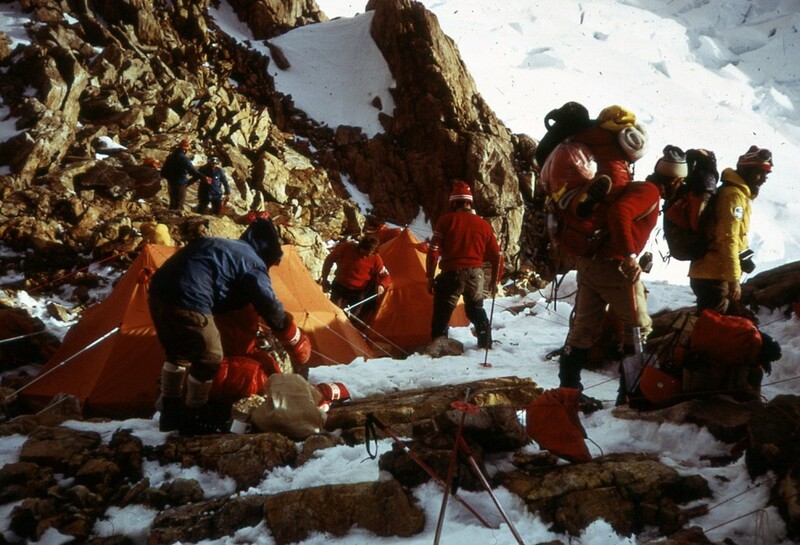 This first ascent brings again the group to the level of 1974 and 1984, a main milestones of story of the group. 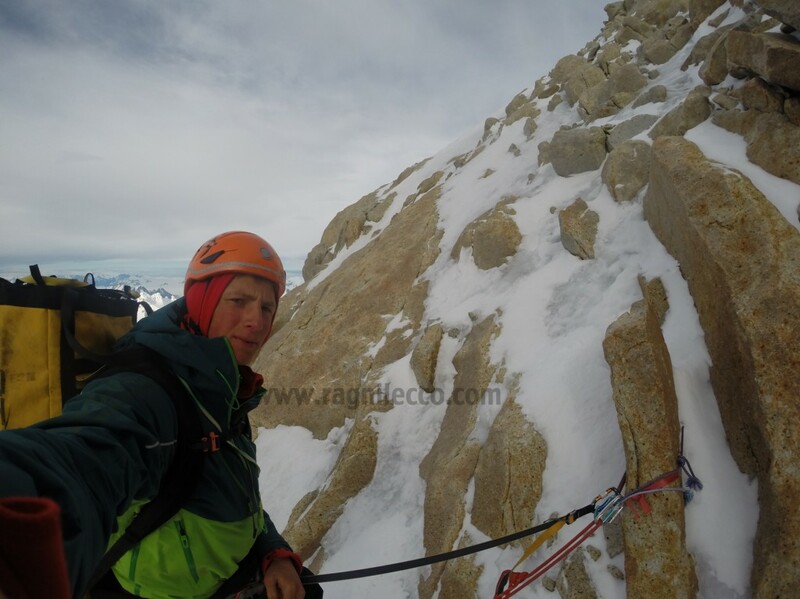 We strongly suggest you to look at the videos of our youtube channel to understand what West face of Egger was. 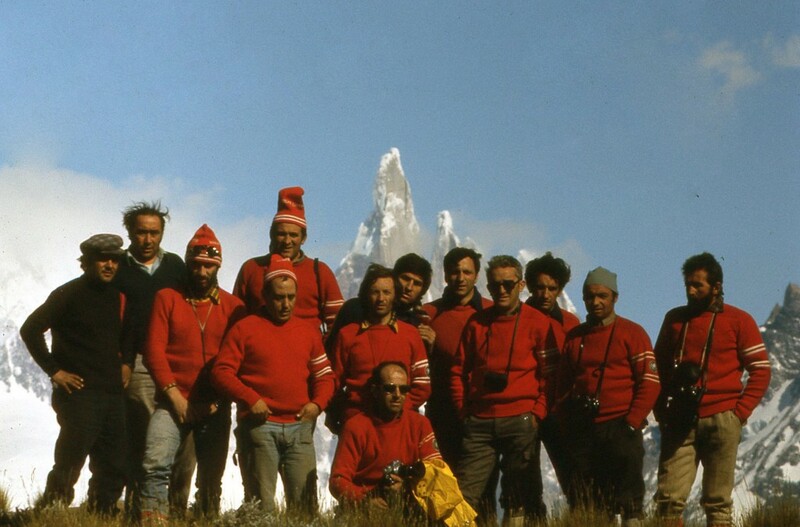 And summer 2014 went incredibly well as 2013, building a period important as the magic gold period 1974-1976. 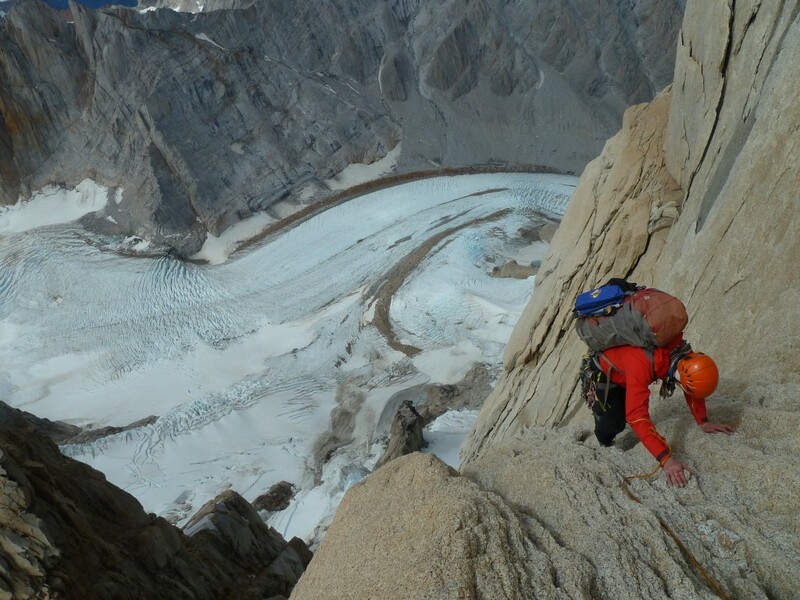 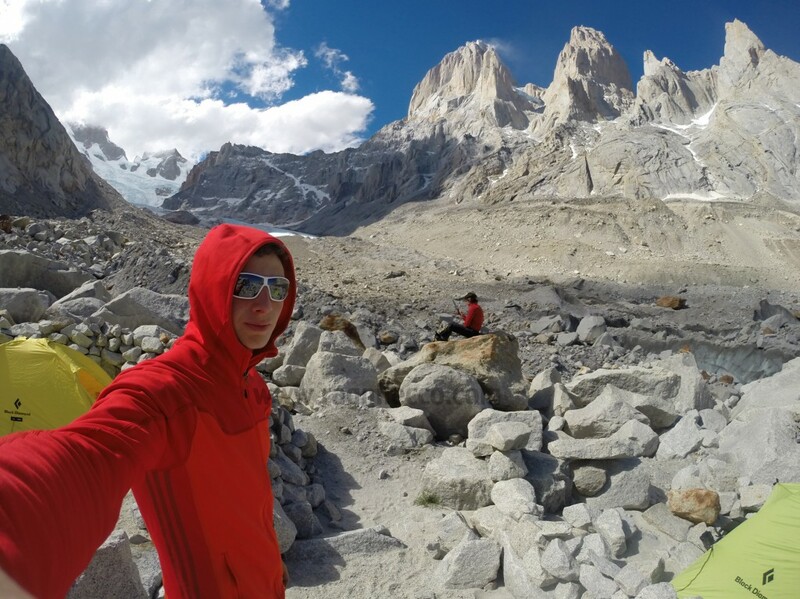 First, Luca Schiera and Matteo De Zaiacomo learned enough about the region’s splitter granite of Kirzighistan graced by relatively mild weather to be lured to the Ak-Su this June and July. 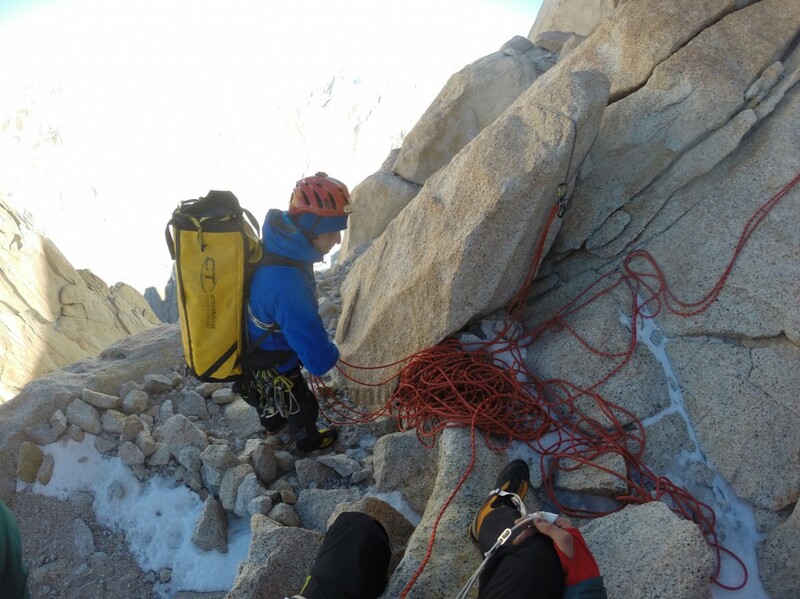 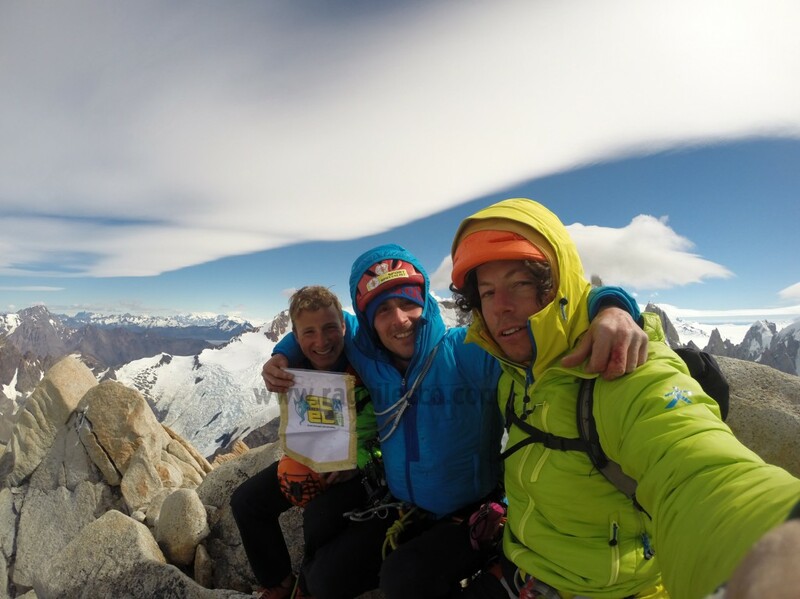 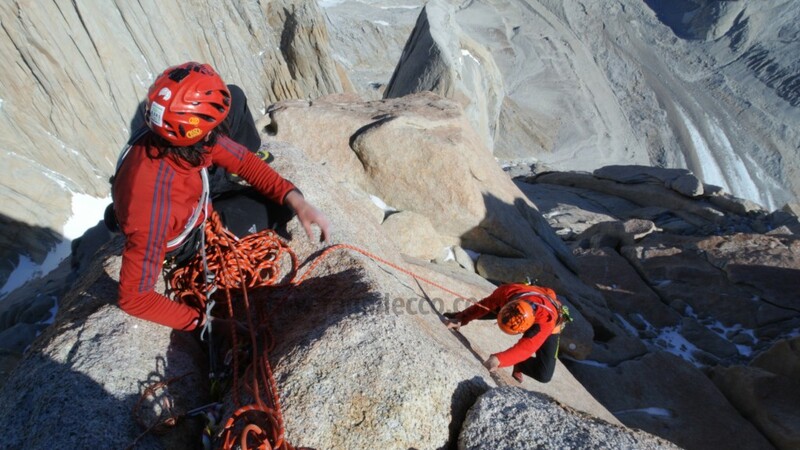 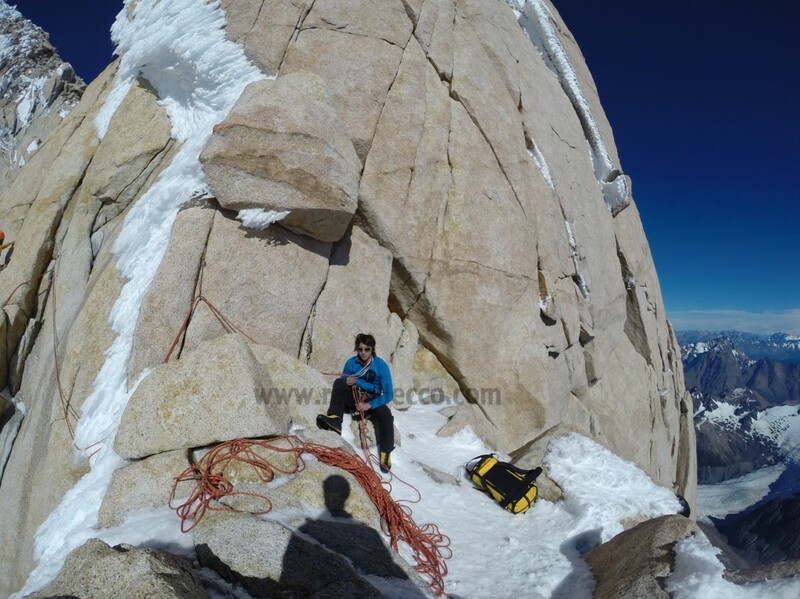 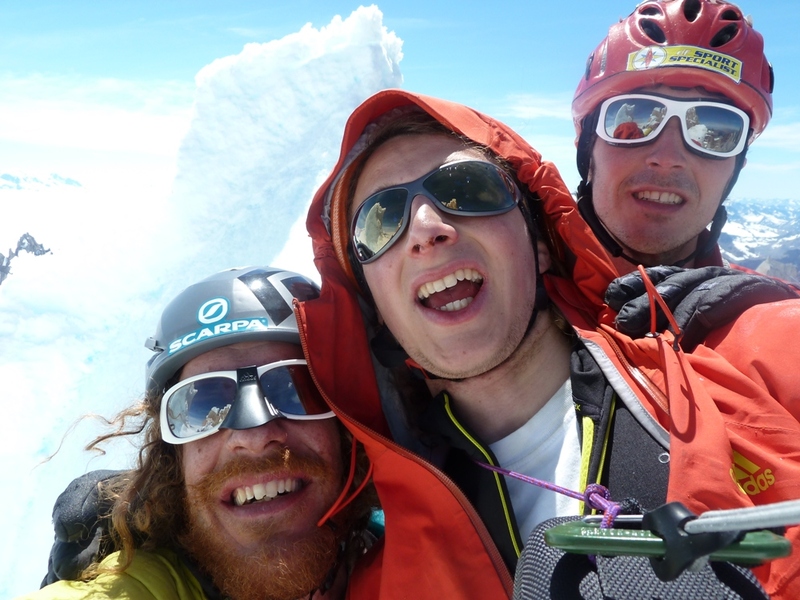 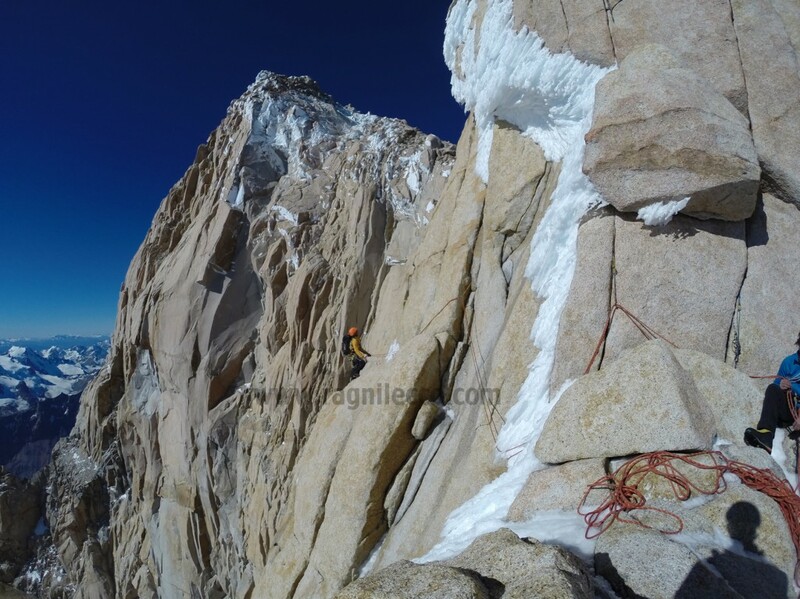 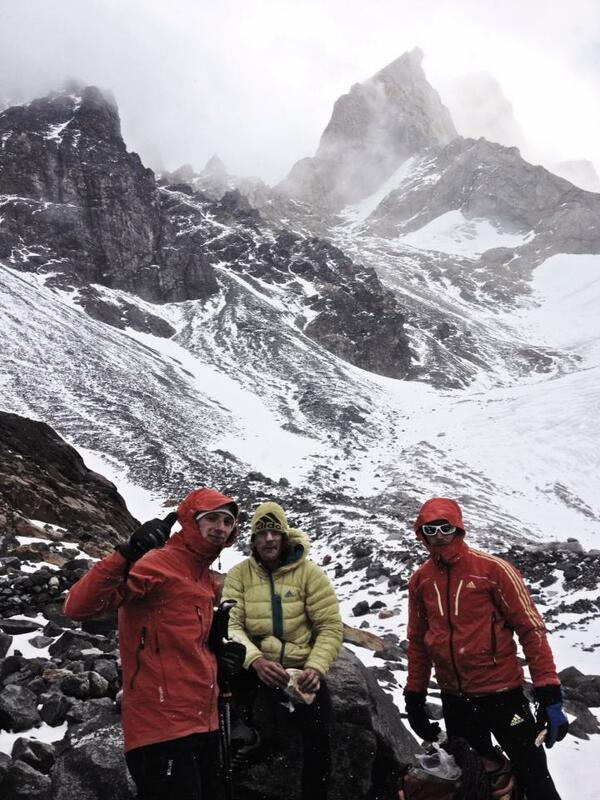 They climbed what may be the first and only route on the south face of the Central Pyramid (3895m) and repeated several routes on 3000- and 4000-meter peaks with difficulties up to 5.12b. 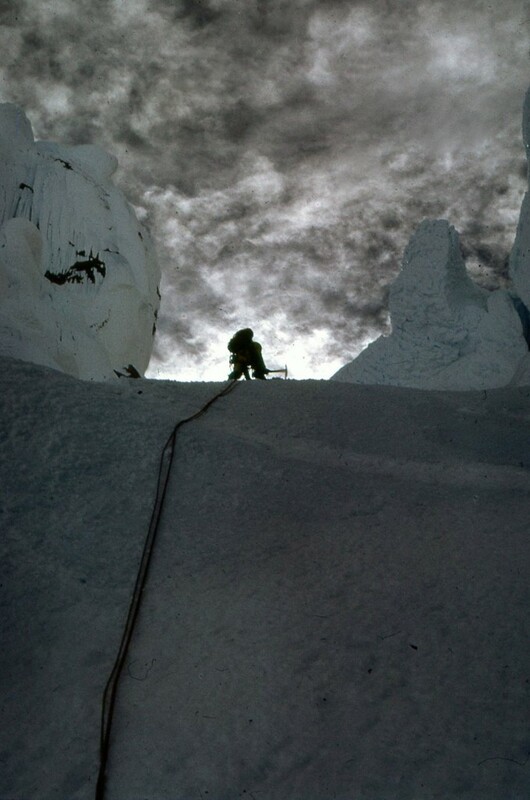 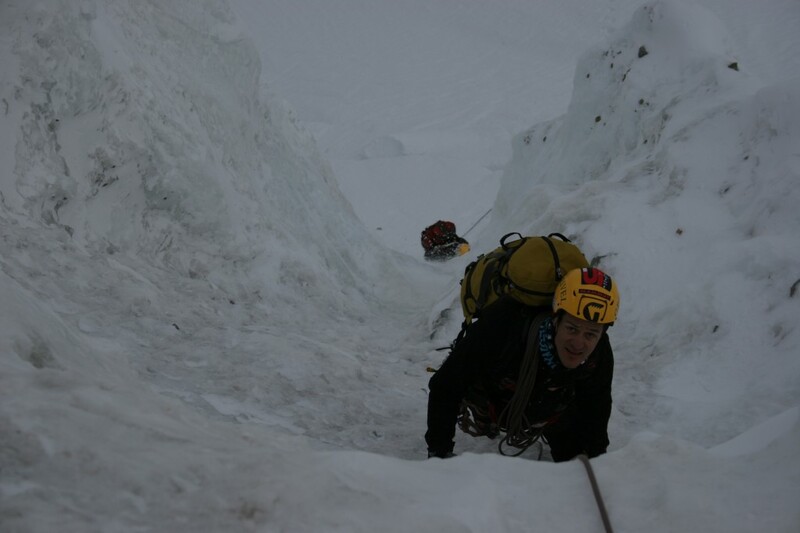 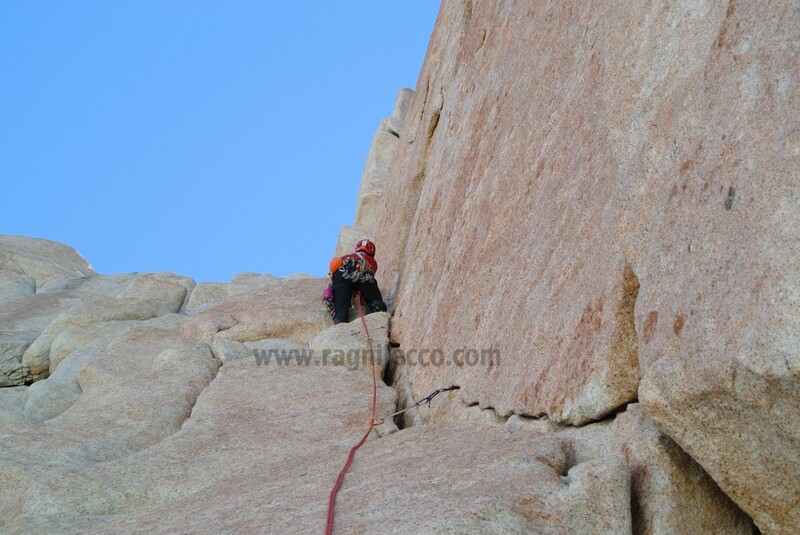 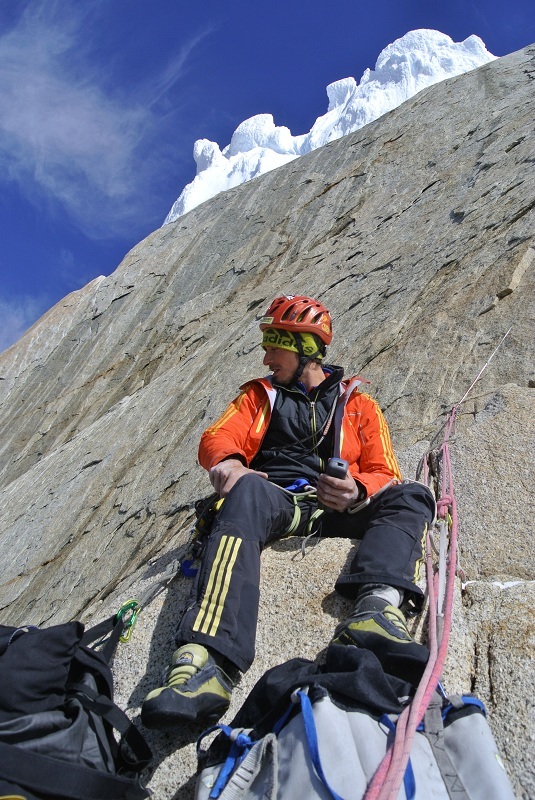 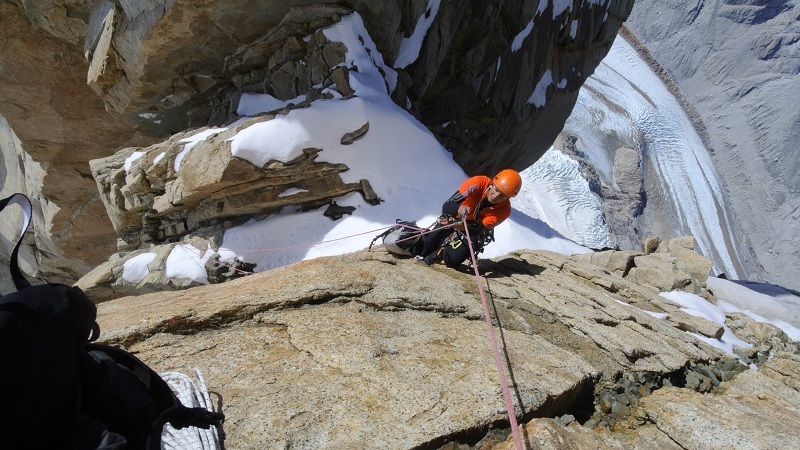 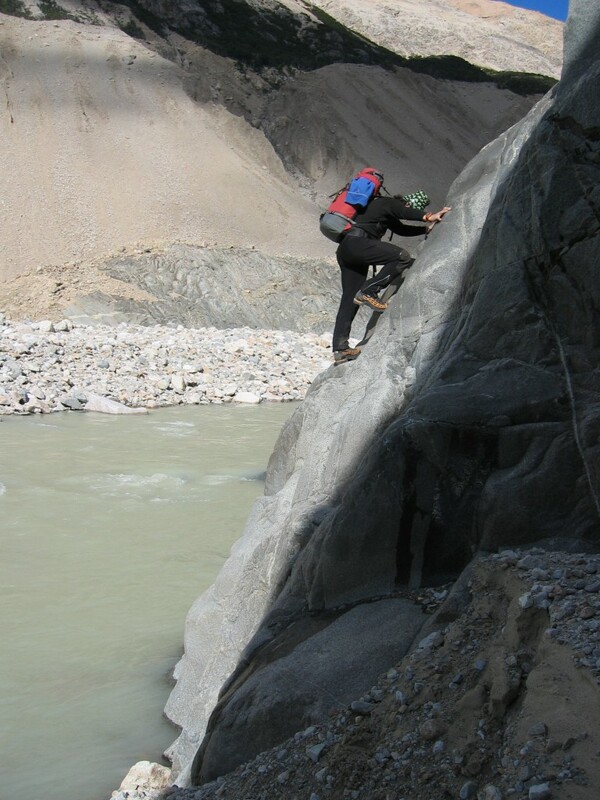 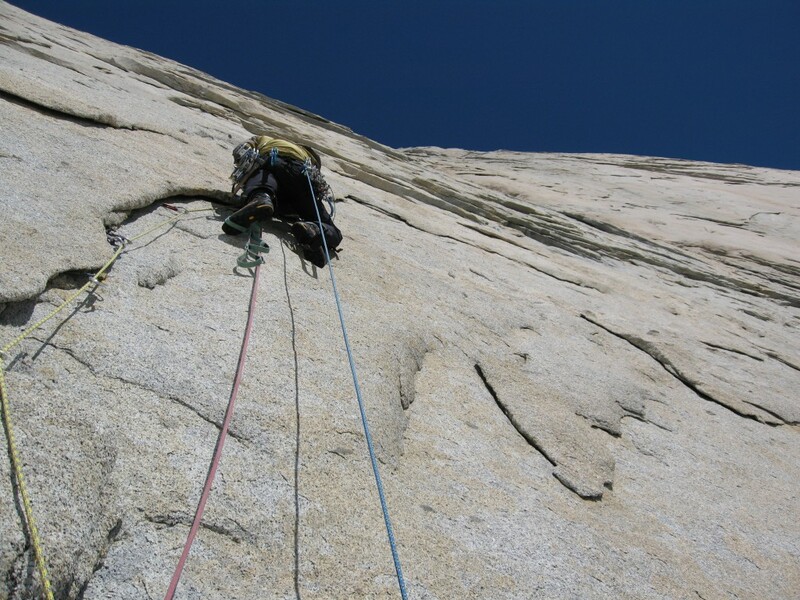 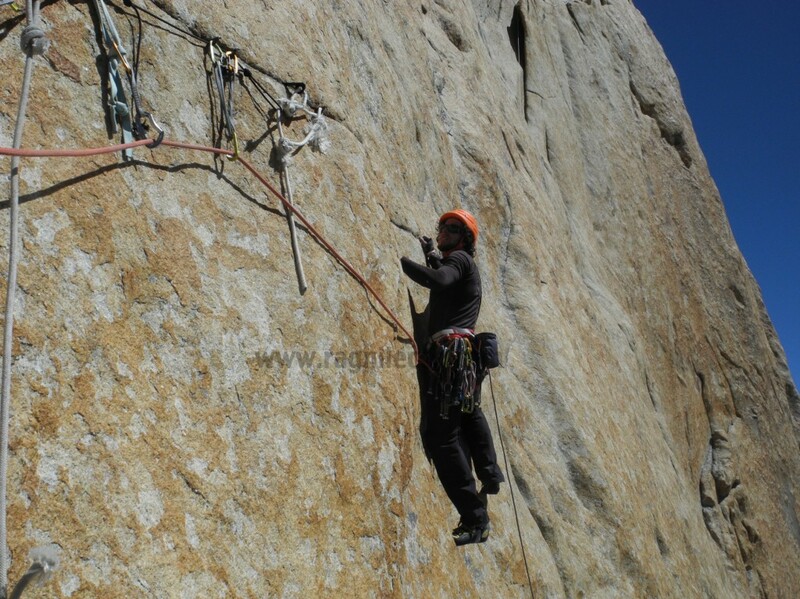 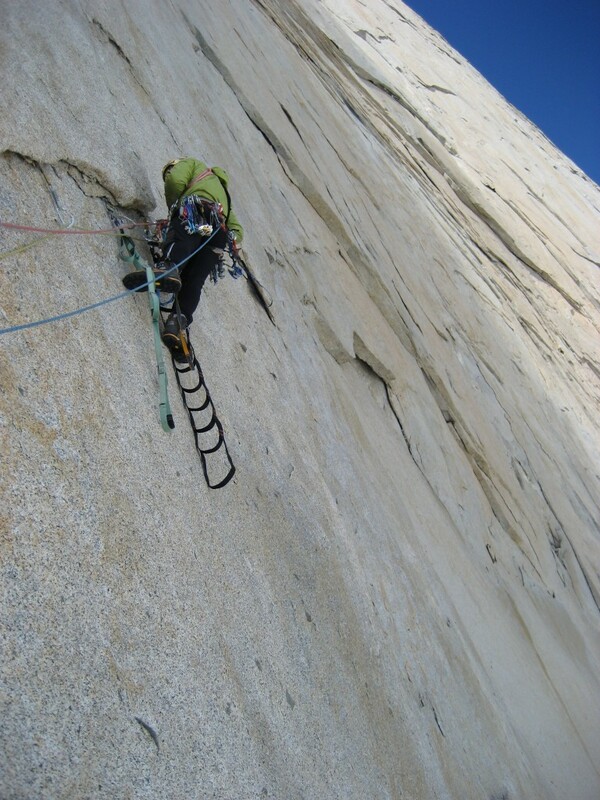 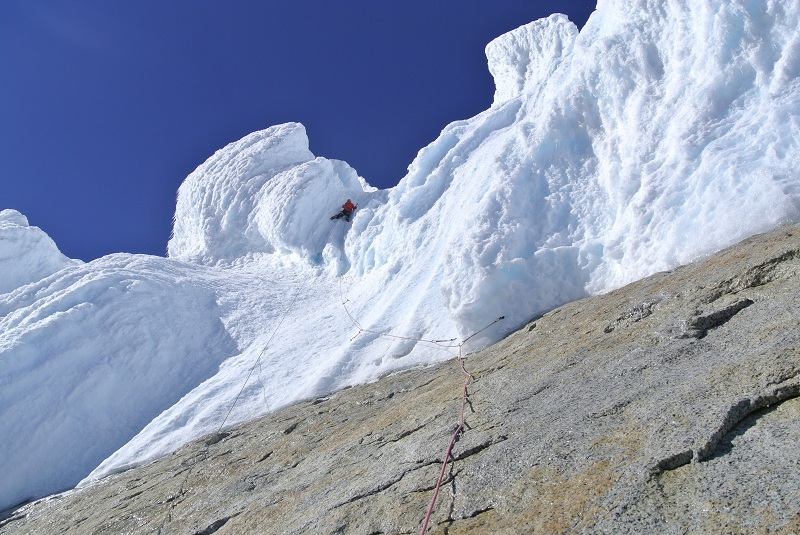 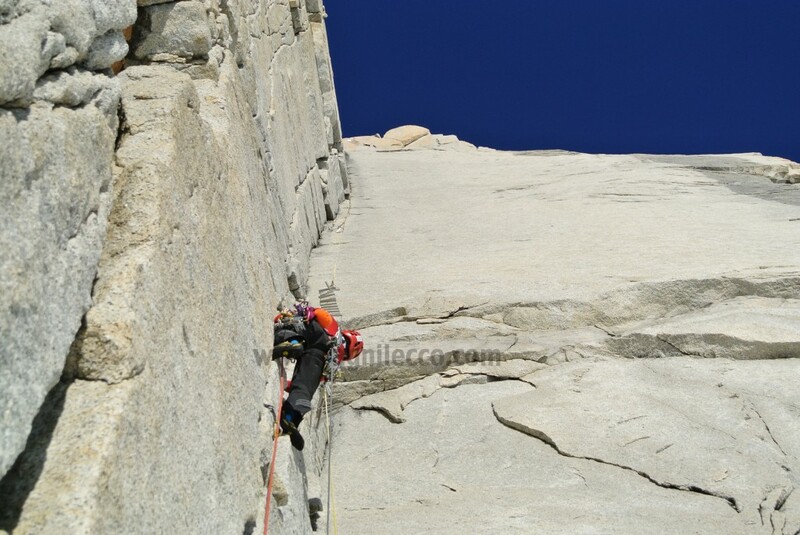 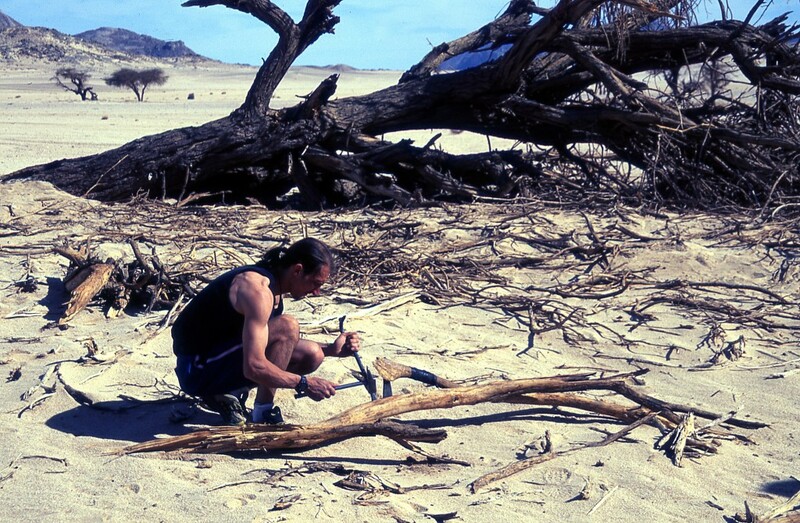 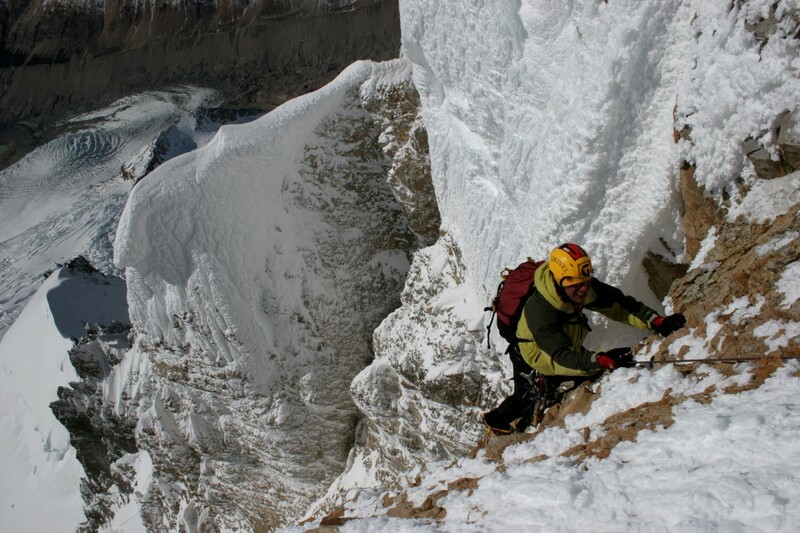 Schiera added a new route, solo, to the buttress beneath the Pyramid. 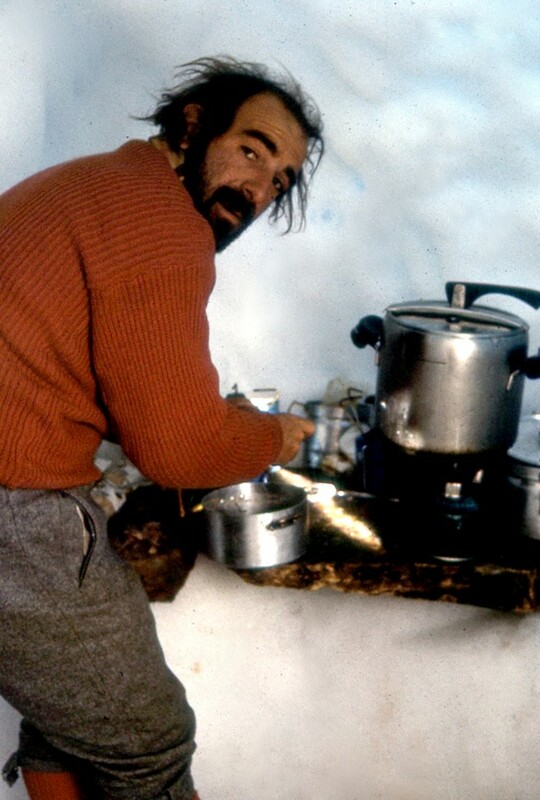 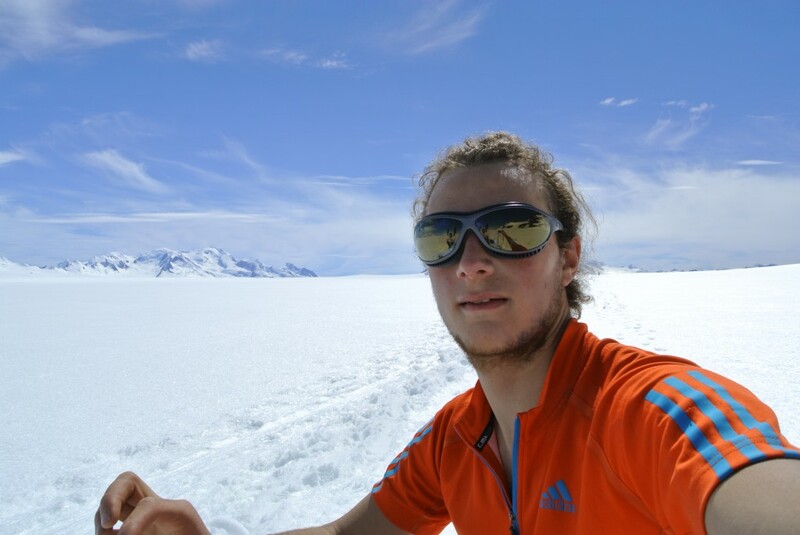 And, moreover, Matteo Della Bordella, with his swiss friends, went to Greenland doing one of the greatest adventure of this era. 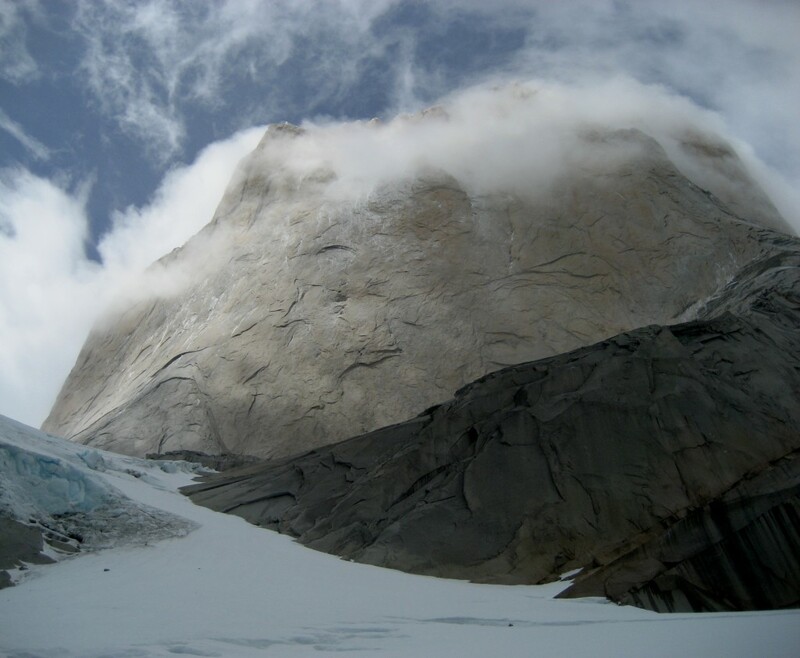 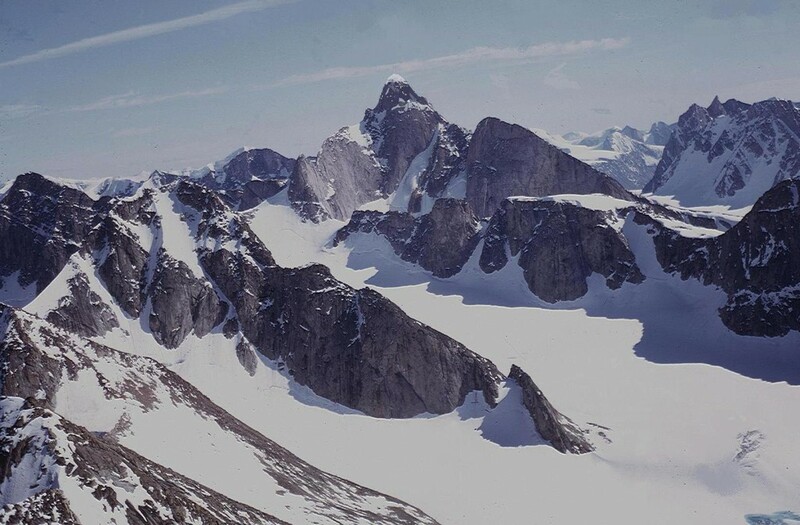 They have summited a 900m granite spire on the remote Renland peninsula of the eastern coast of Greenland called the Shark’s Tooth. 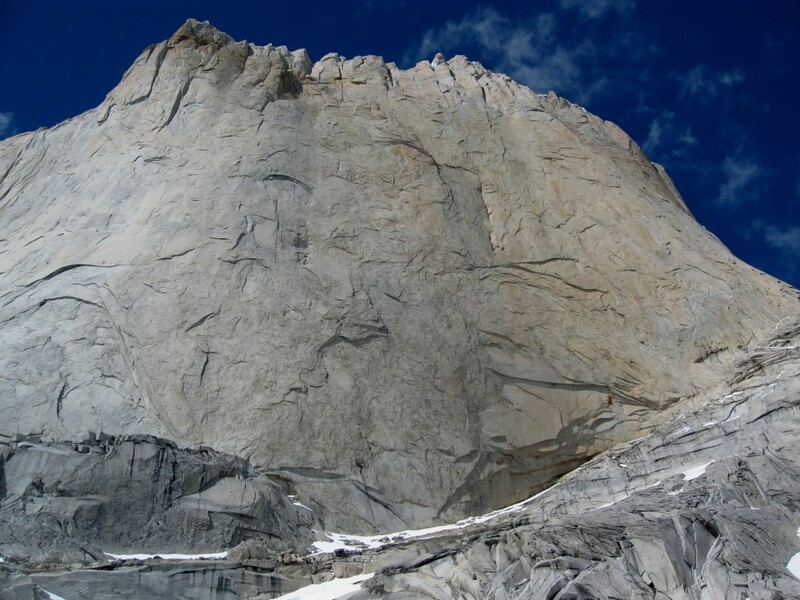 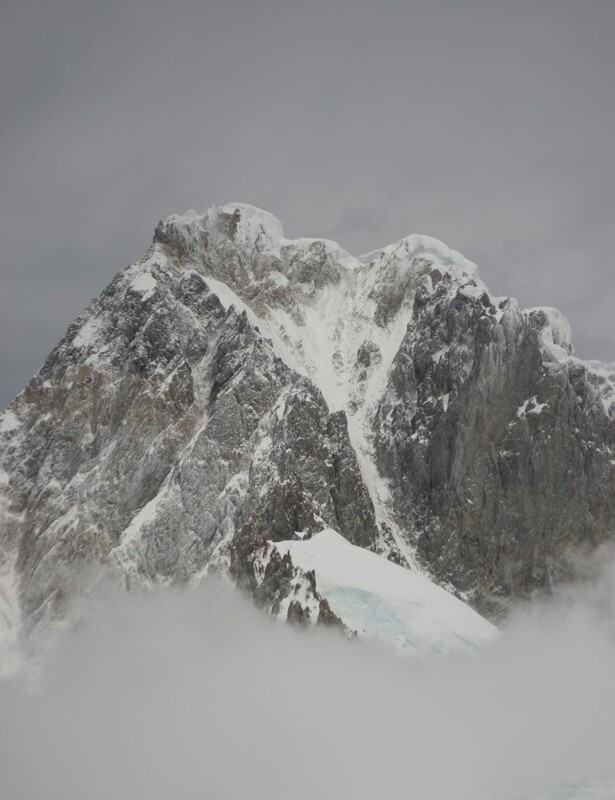 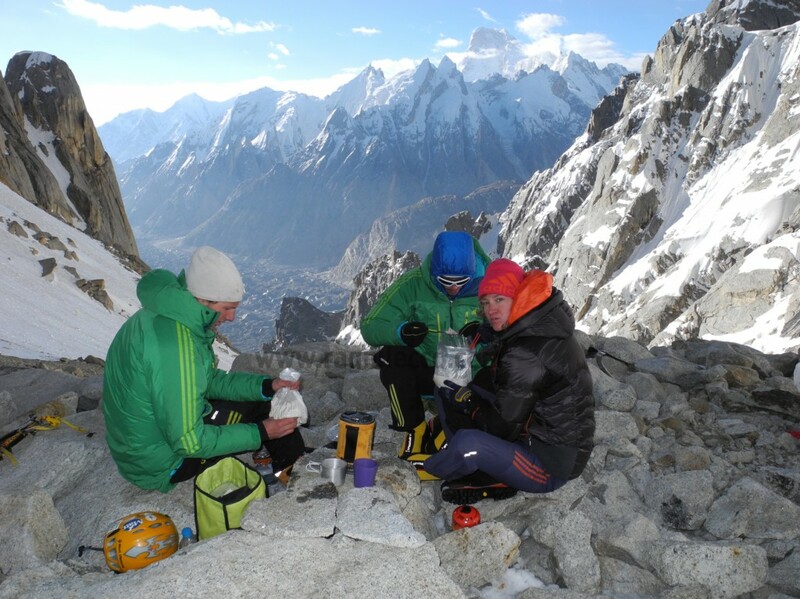 The peak was first ascended in 2011 by Mikhail Mikhaylov of Kyrgyzstan and Alexander Ruchkin of Russia, who climbed for 1200m in alpine style up the northwest ridge to establish Dance on Tiptoes (5.11 A2). 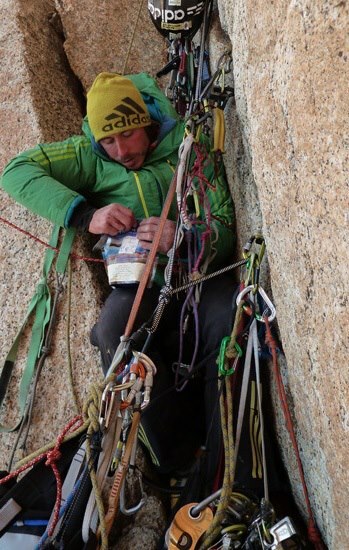 From the outset of the Europeans’ 32-day trip this year, the goal was to climb the first route up the northeast face in the best possible style, clean and climbing free, says Della Bordella. 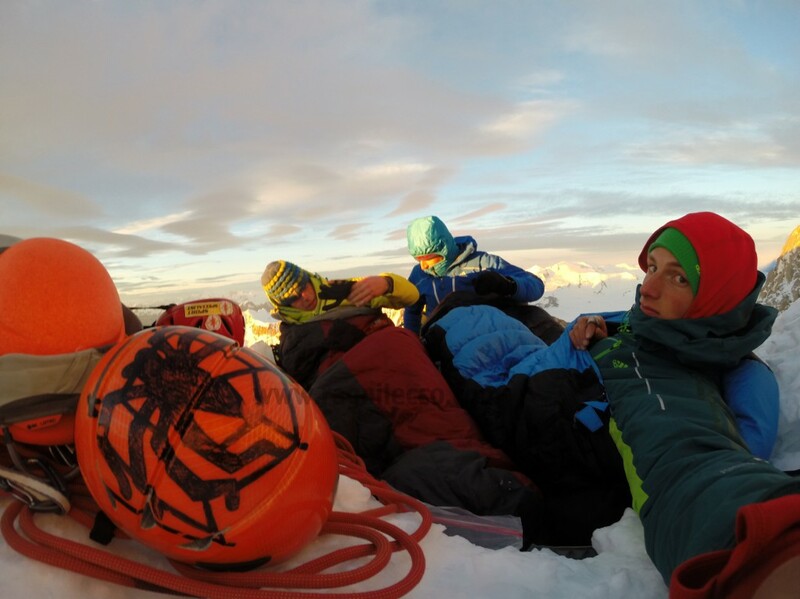 “We were all in for a committing, testing and very exposed adventure.” In all, they traveled 420 km by kayak and 50 km by foot; they free climbed some 3000 meters of new terrain on various peaks. 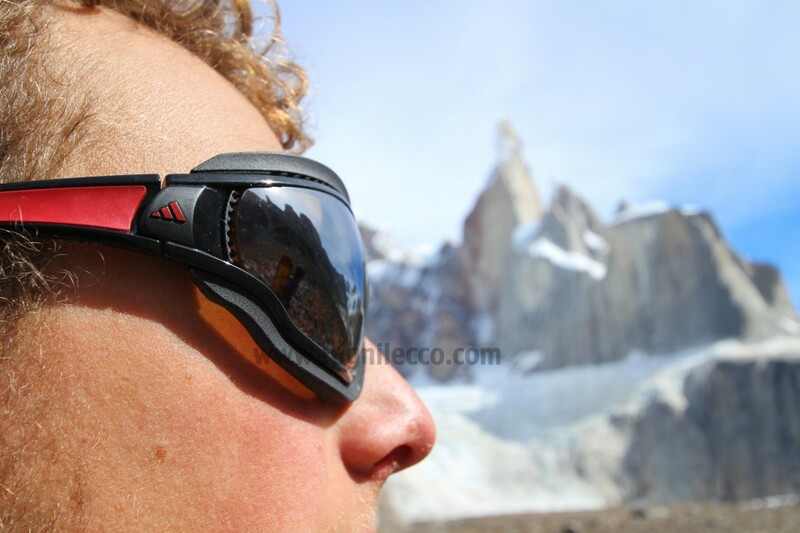 What about future? 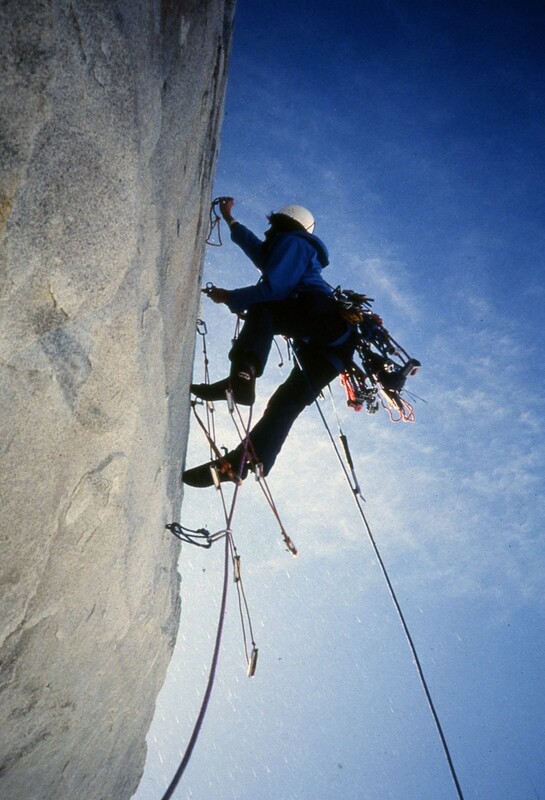 Spiders have so many projects and walls and mountains to climb that they simply hope to go on with their dreams. 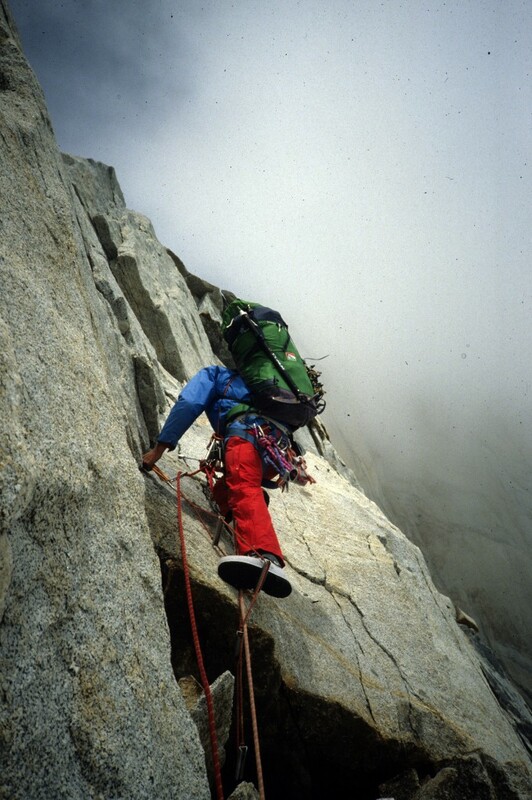 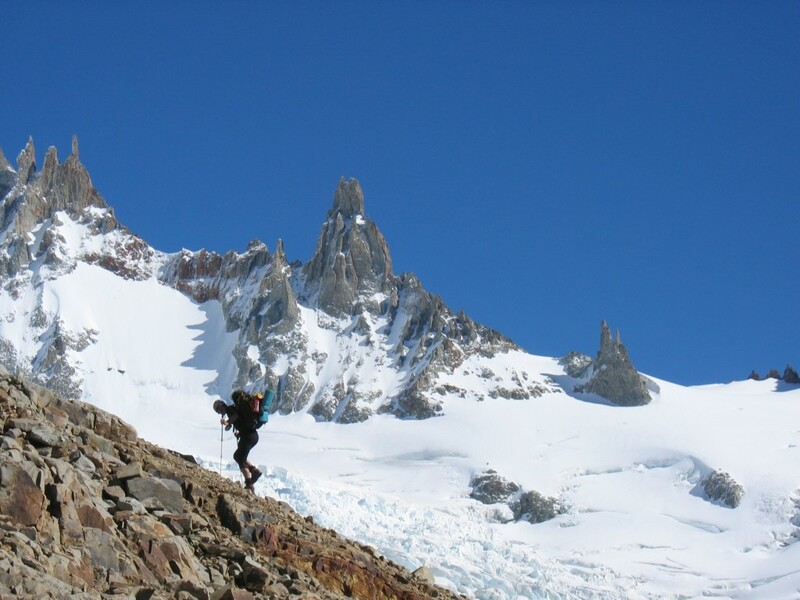 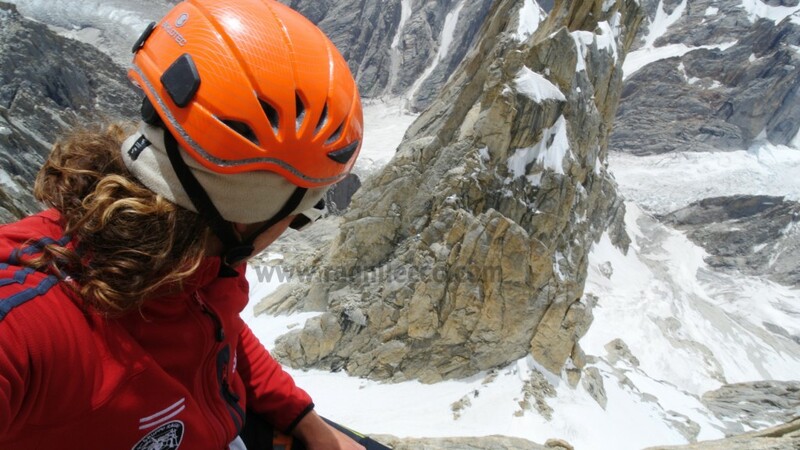 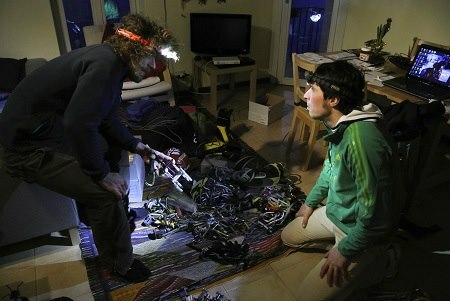 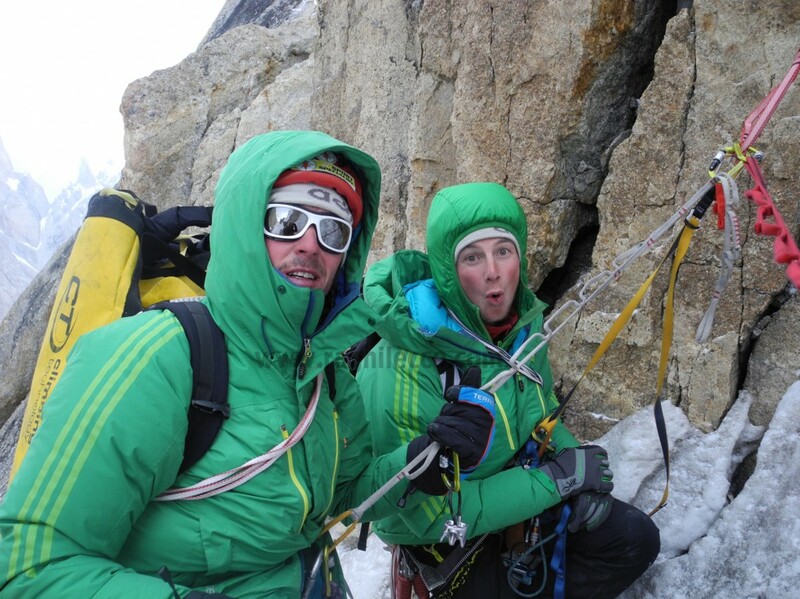 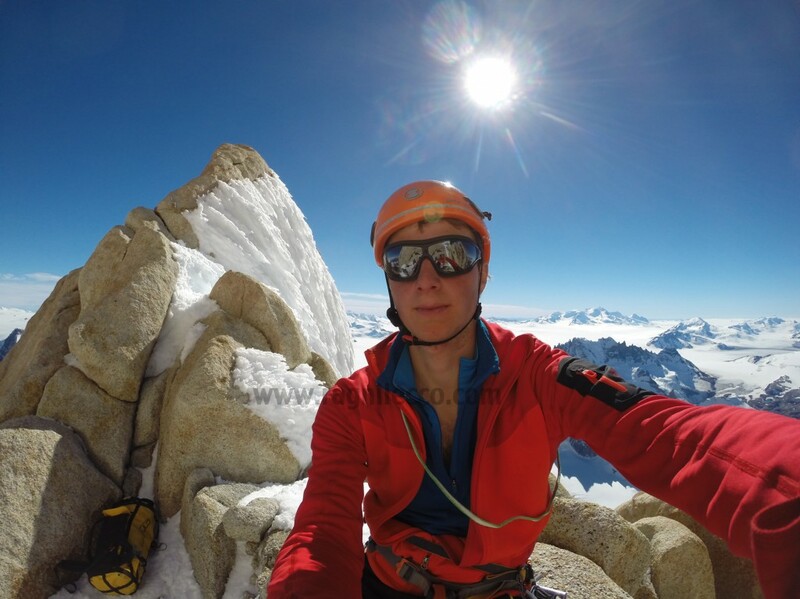 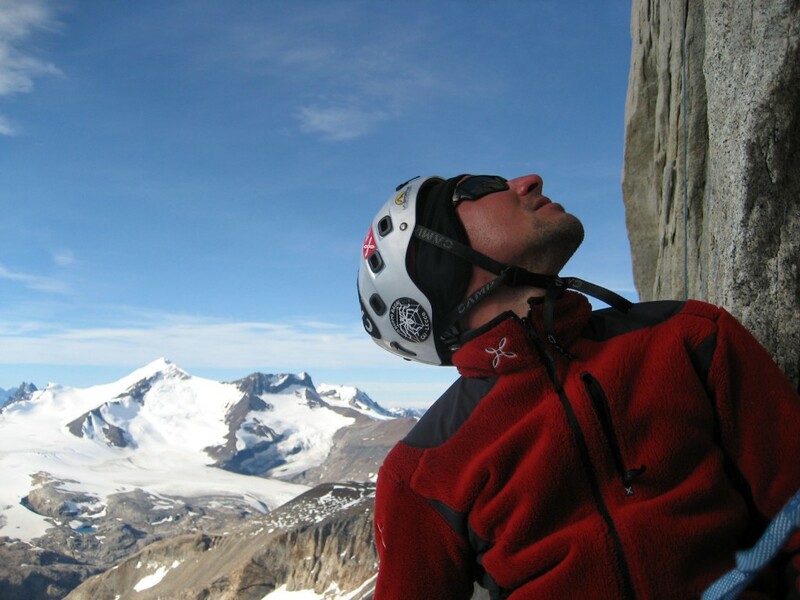 Each success or failure is just only a way to love alpinism. 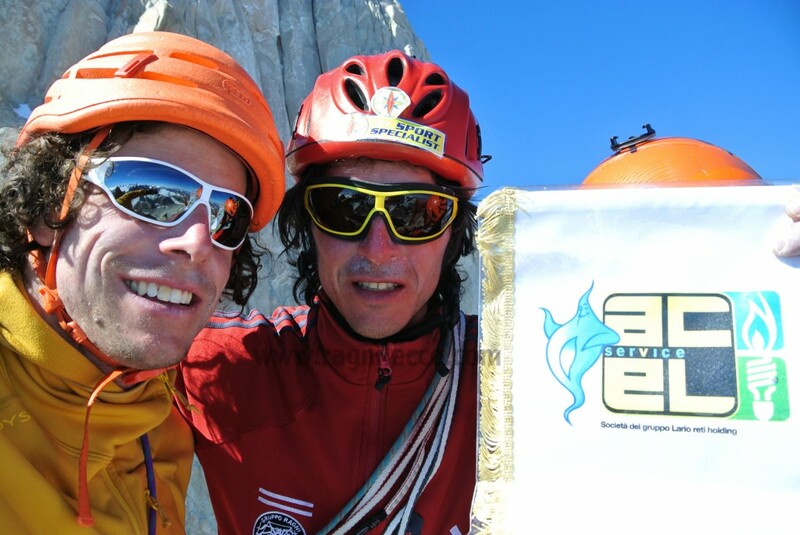 The style by Matteo and Luca tested on Uli Biaho, Silla, Kirzighistan and Greenland, and the same by Simone in Chile and Greenland 2009, combined with difficult approach, terrible logistic environment ( Uli Biaho and Kirzighistan) and even altitude ( Uli Biaho ) or whatever push the limits of an adventure, is a style that makes report to say: alpinism is well living, with unlimited targets!